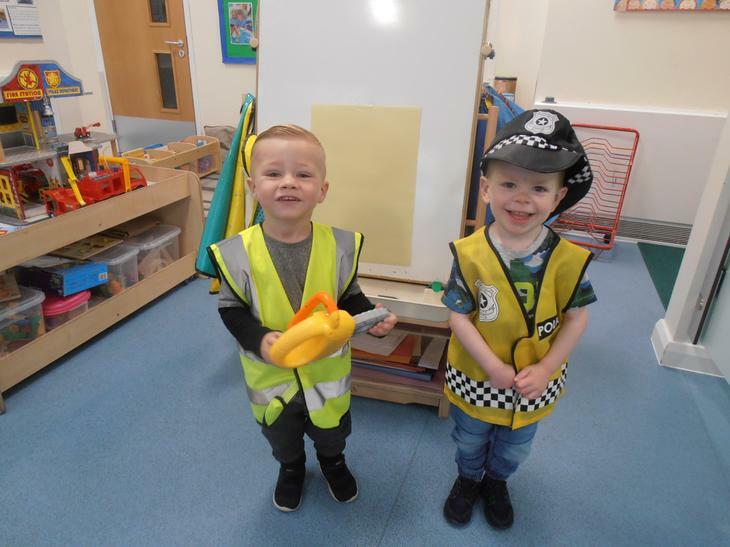 We are the unit for 2 year olds at Stanhope! 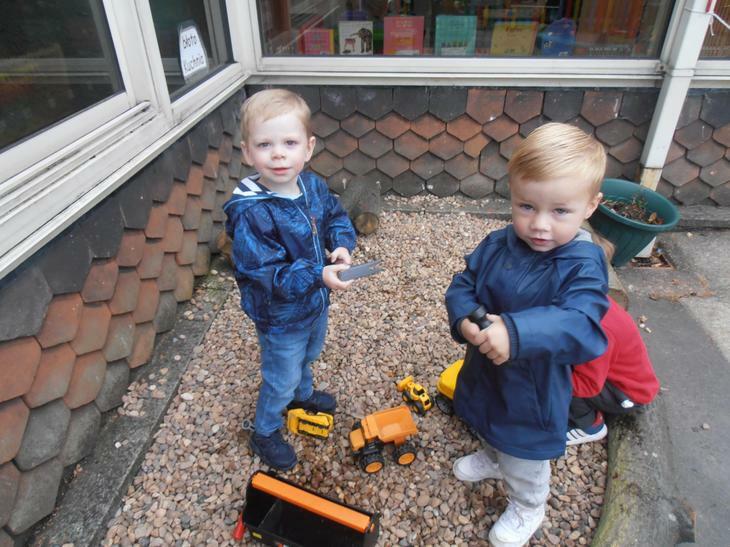 Elaine and Charlotte run the Pre-school and there are currently 8 children in our class. 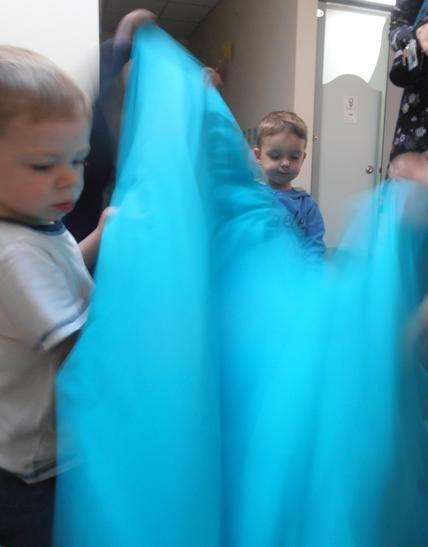 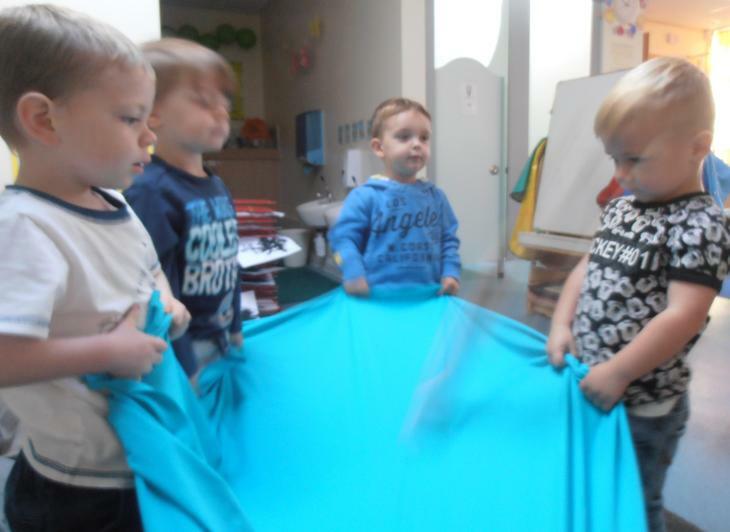 Pre-school is a play based learning environment. 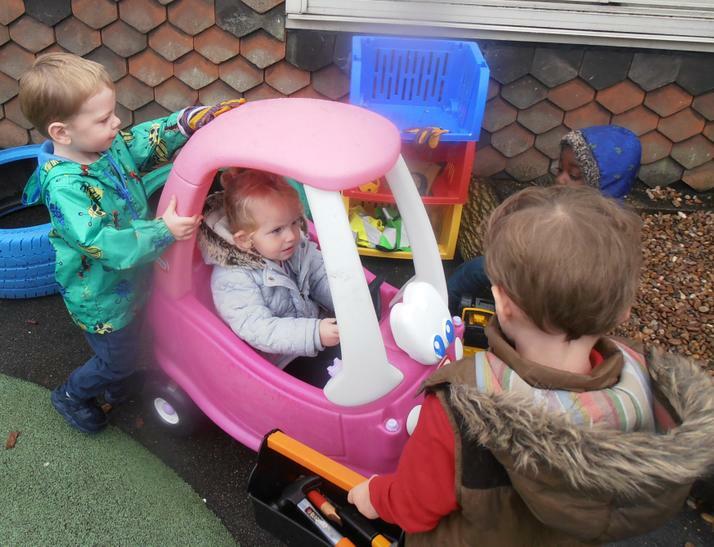 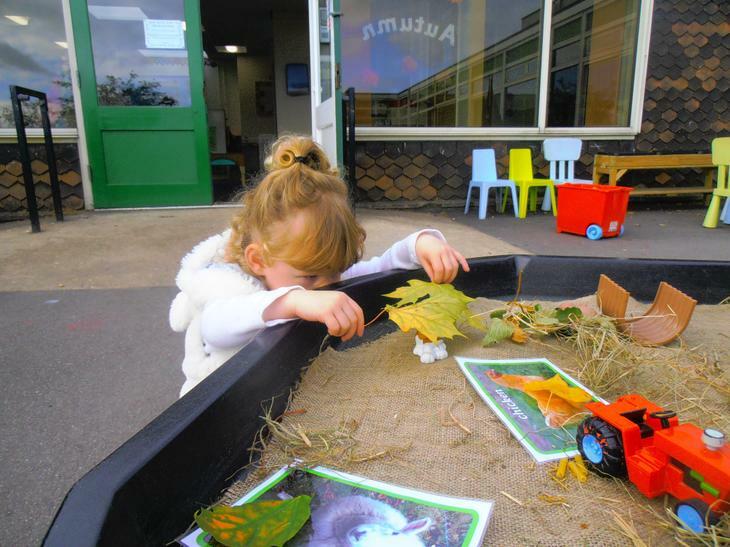 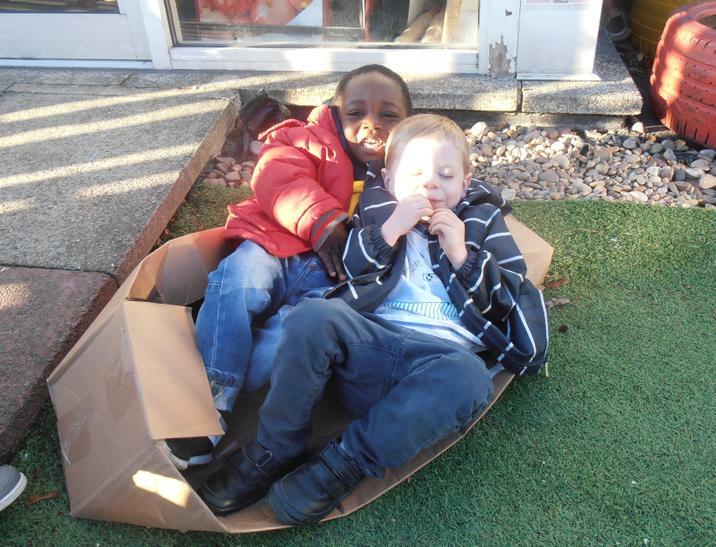 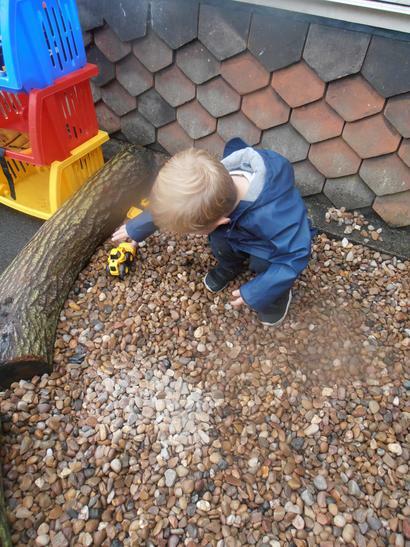 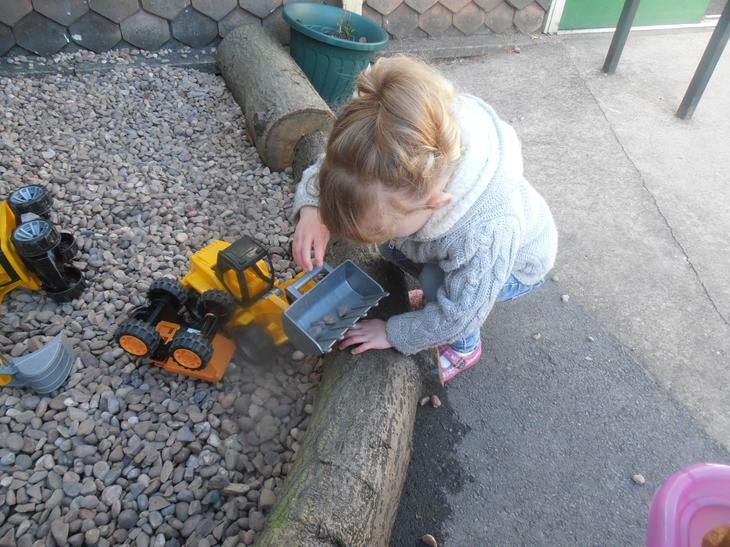 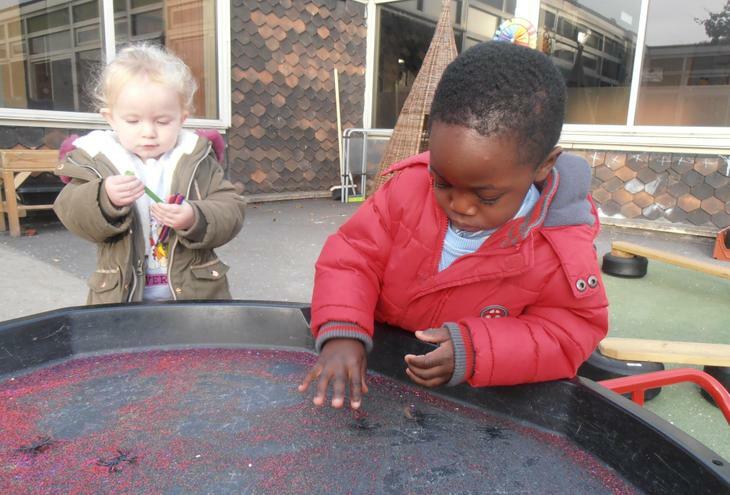 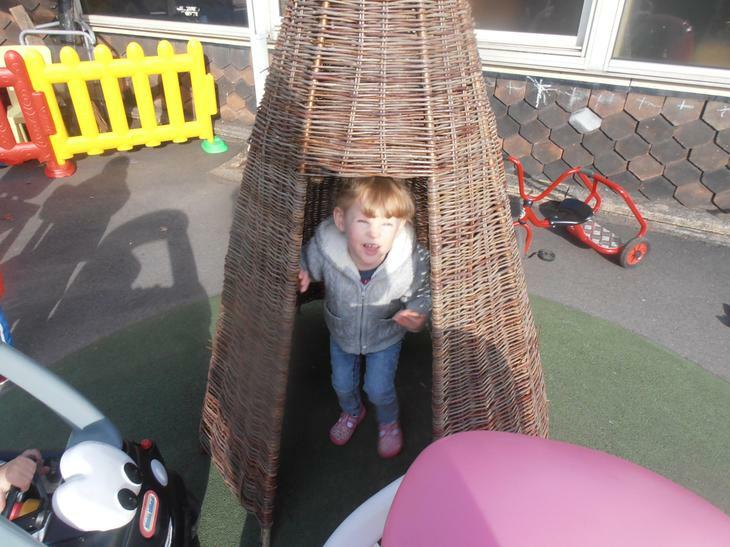 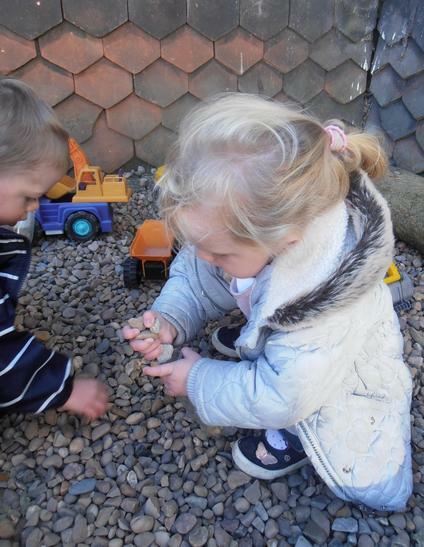 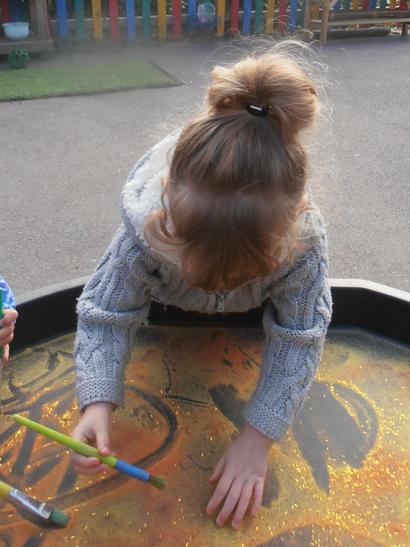 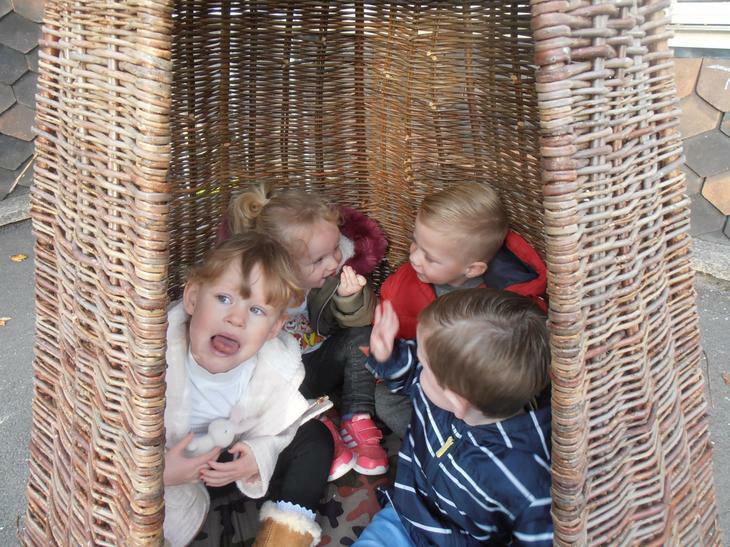 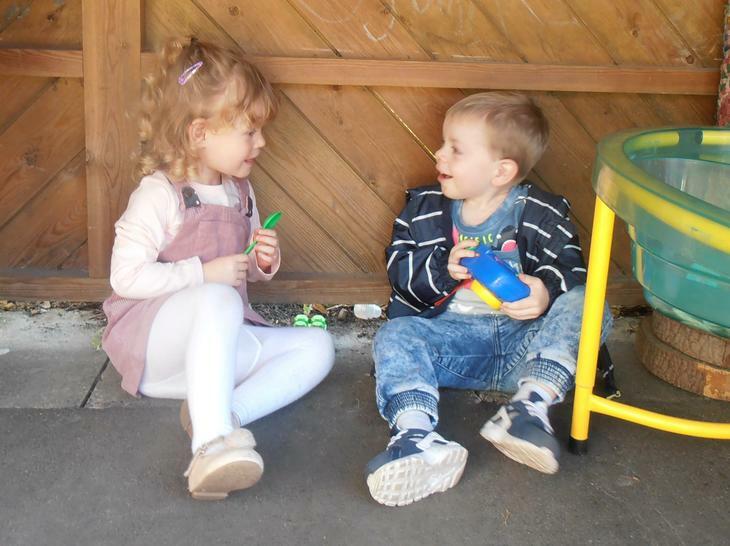 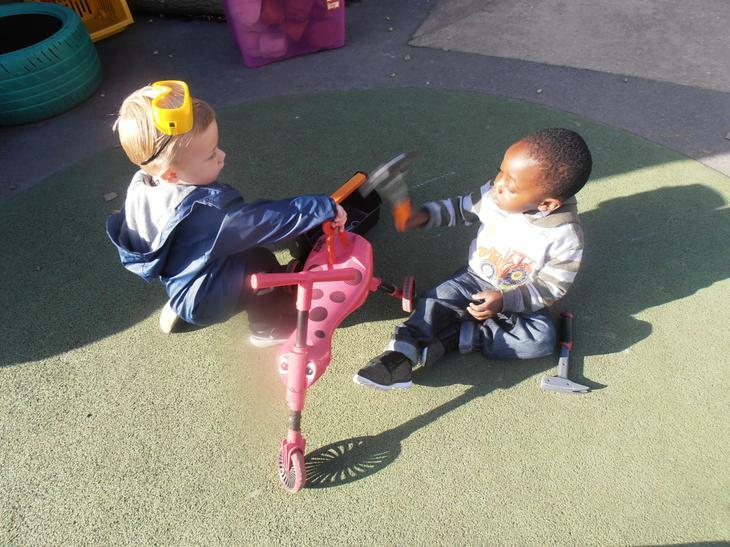 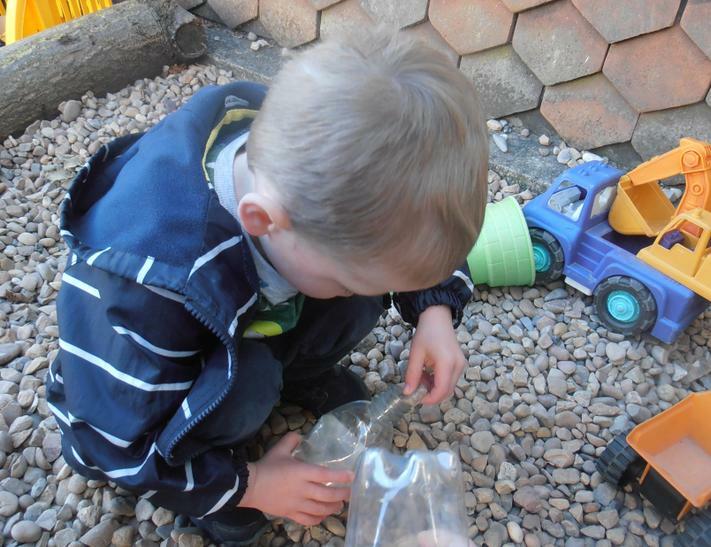 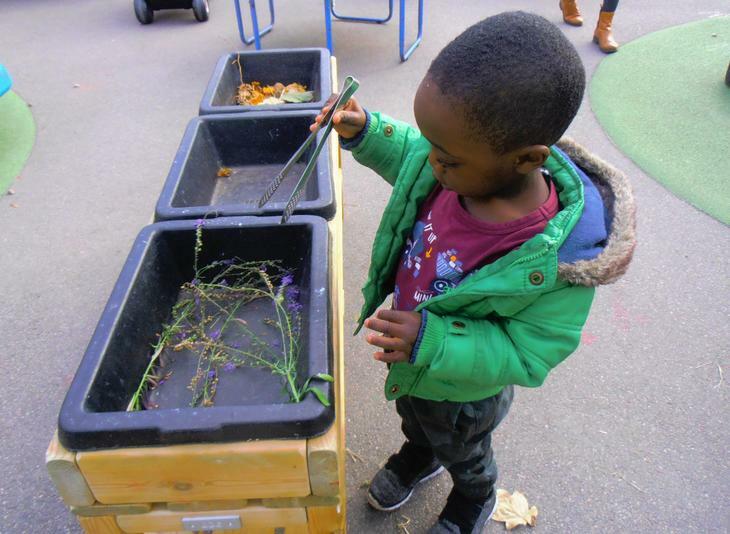 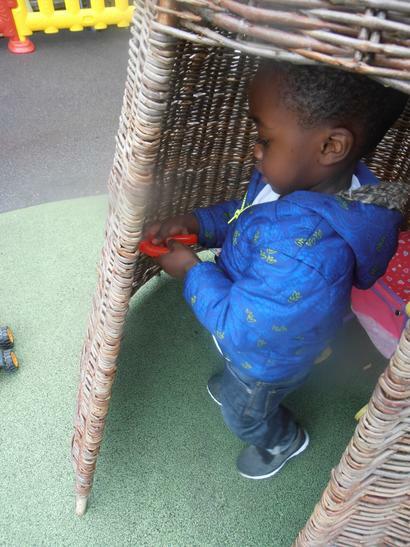 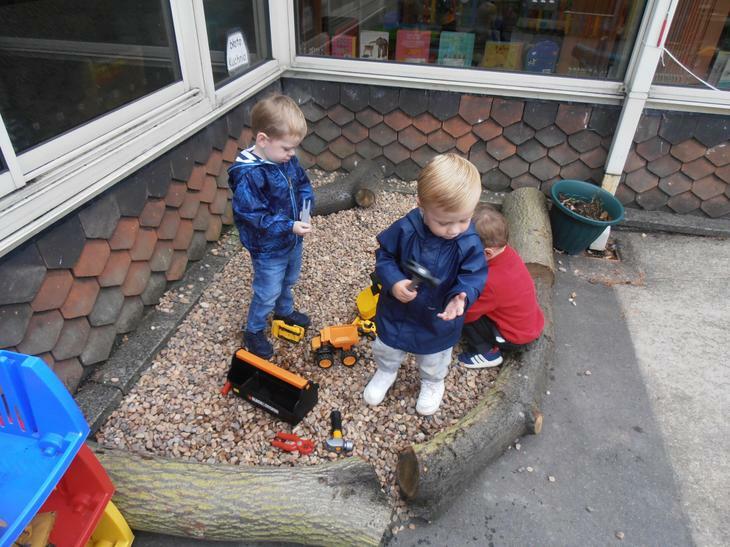 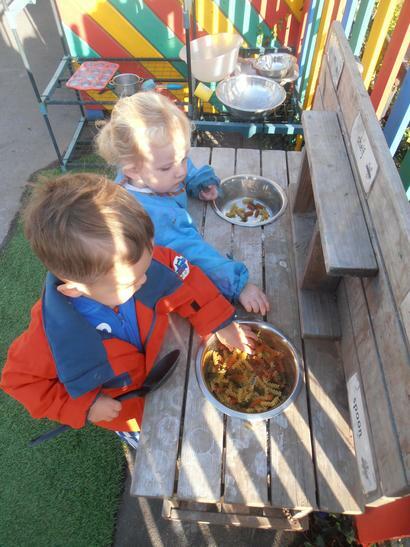 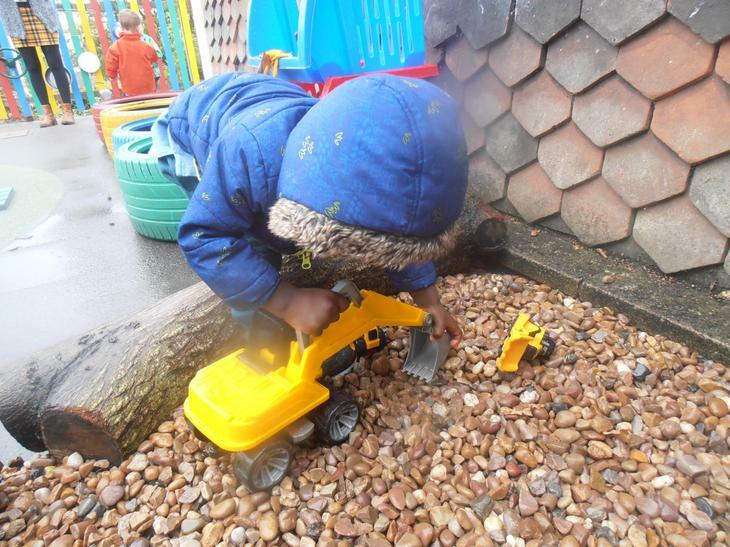 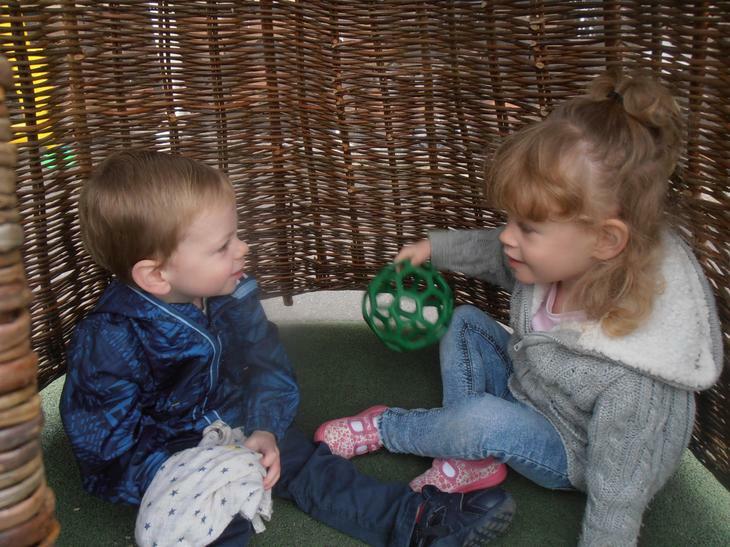 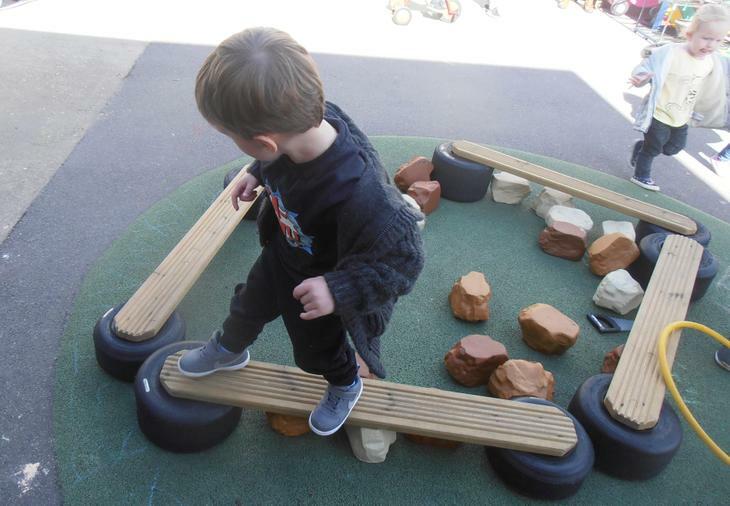 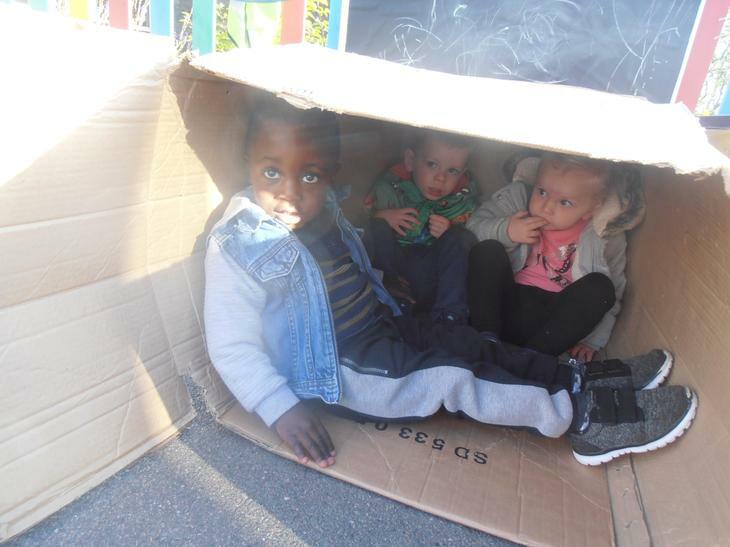 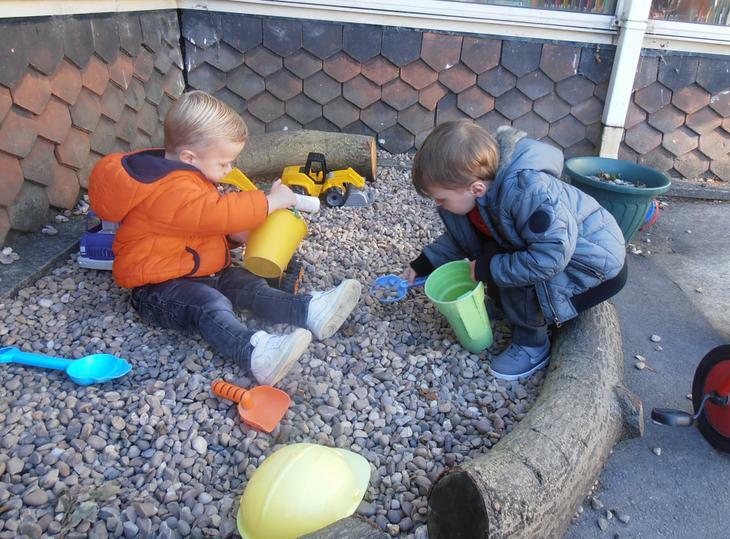 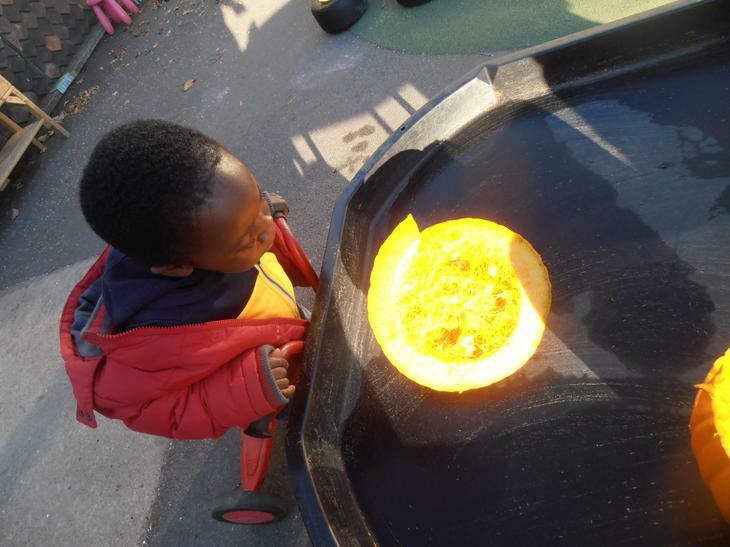 We love exploring both inside and outside as we develop our social skills. 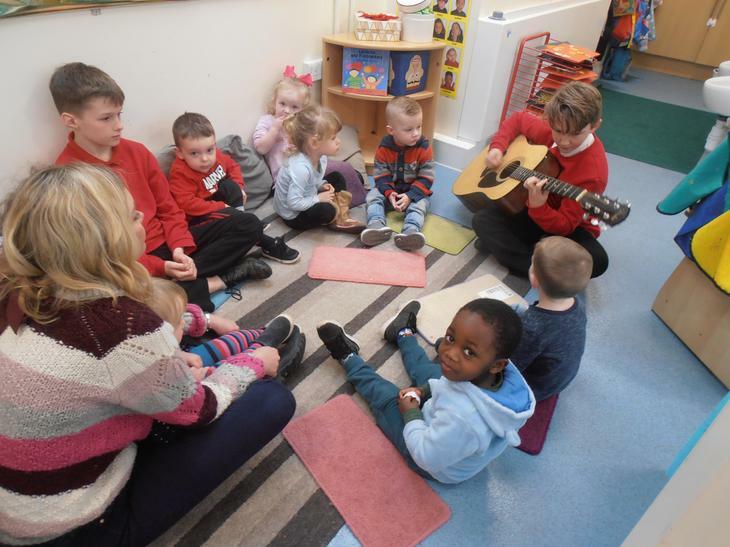 Every morning we have a carpet time, which includes singing and listening to stories. 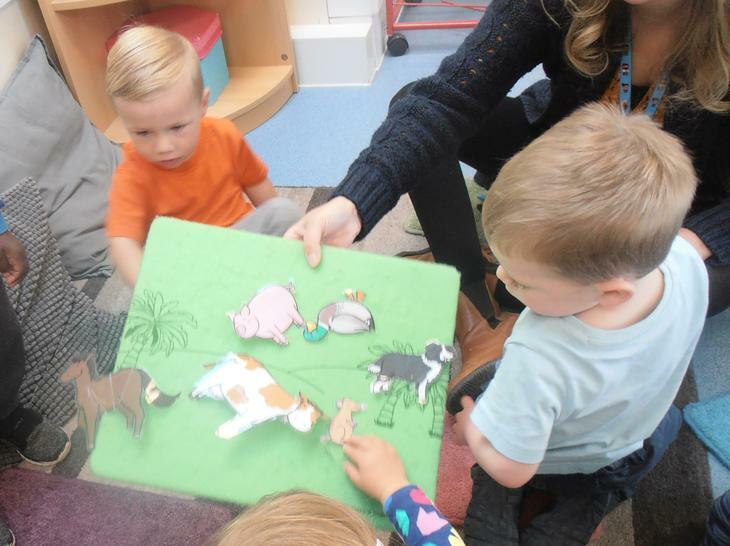 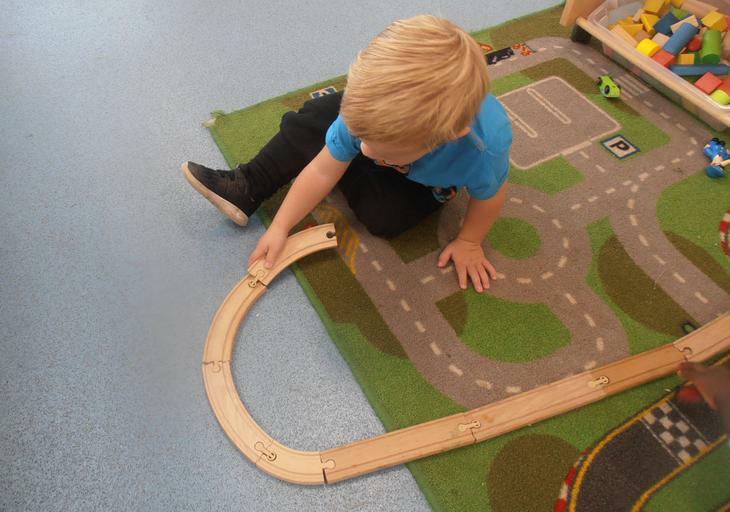 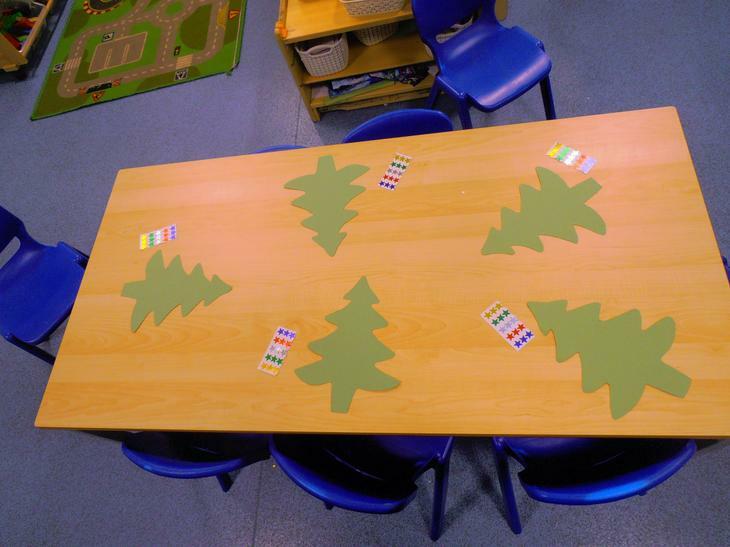 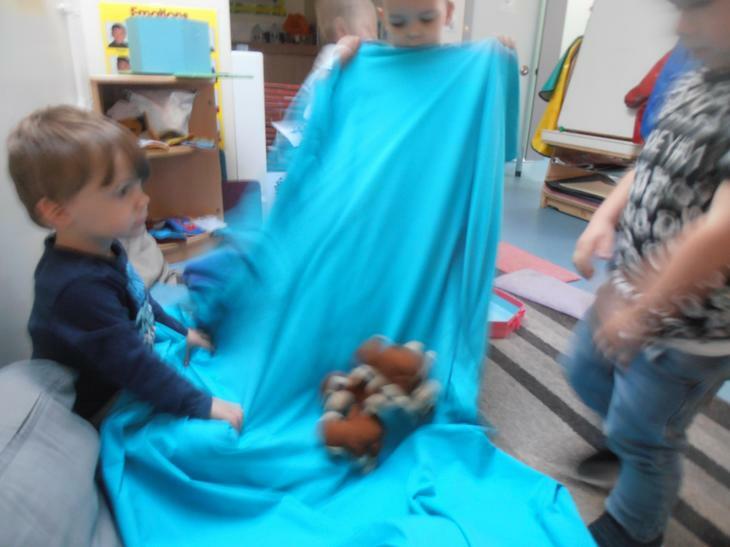 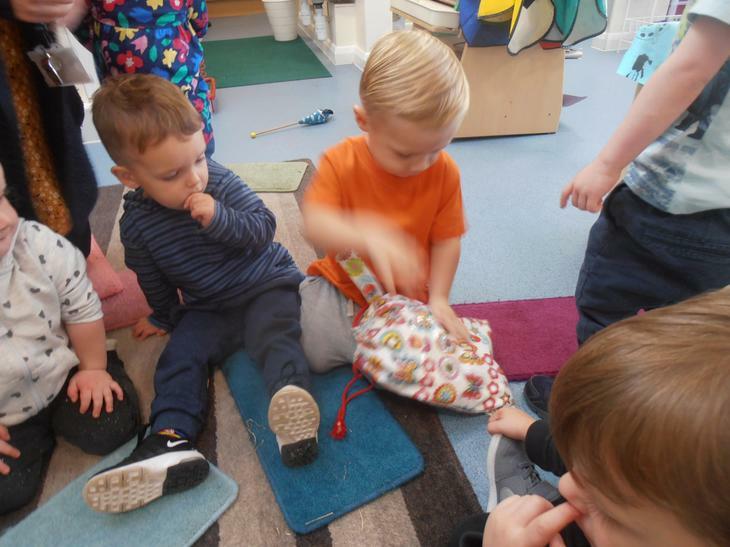 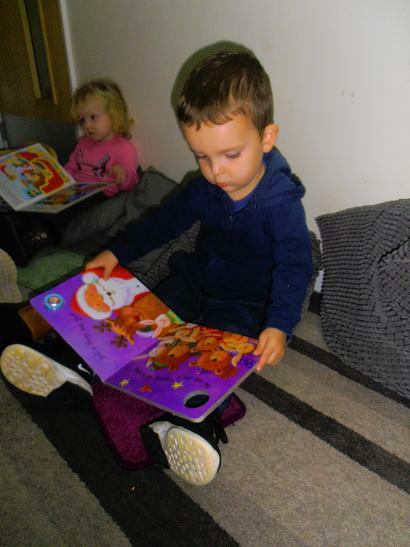 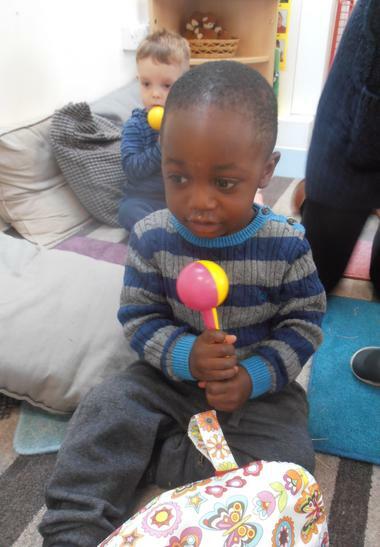 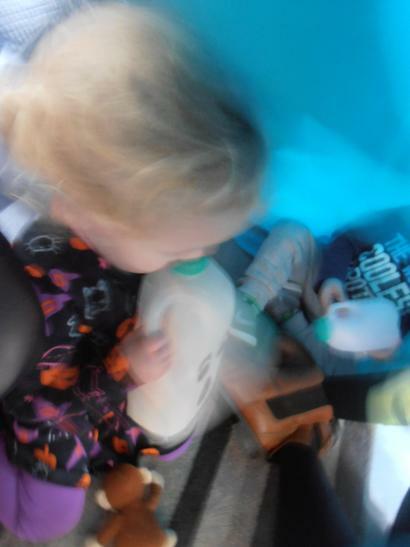 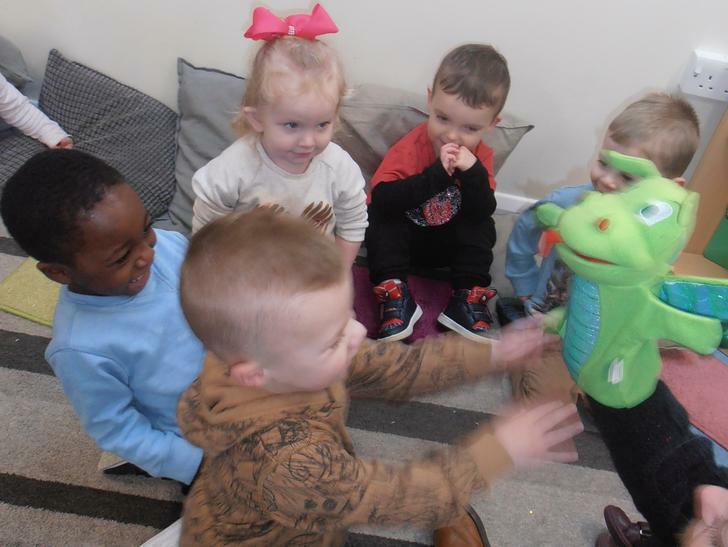 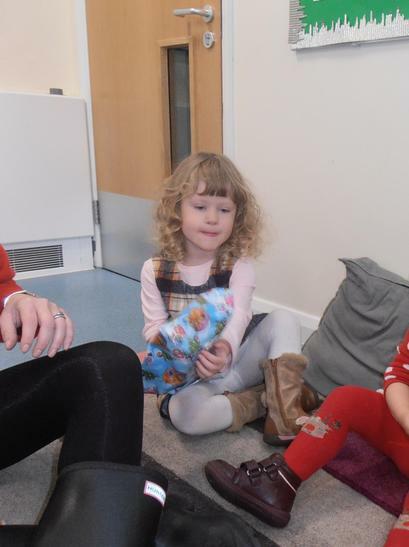 We use lots of props to help the children join in and each carpet time focuses on speech and language development and sharing! 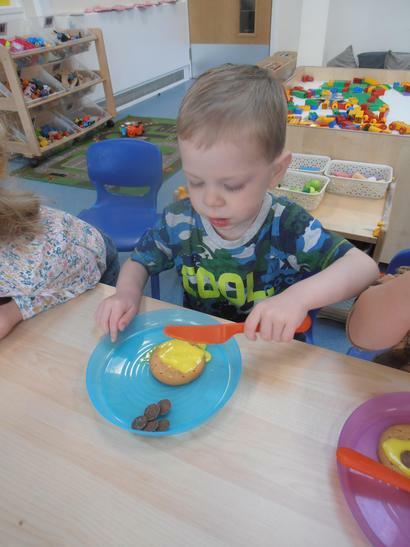 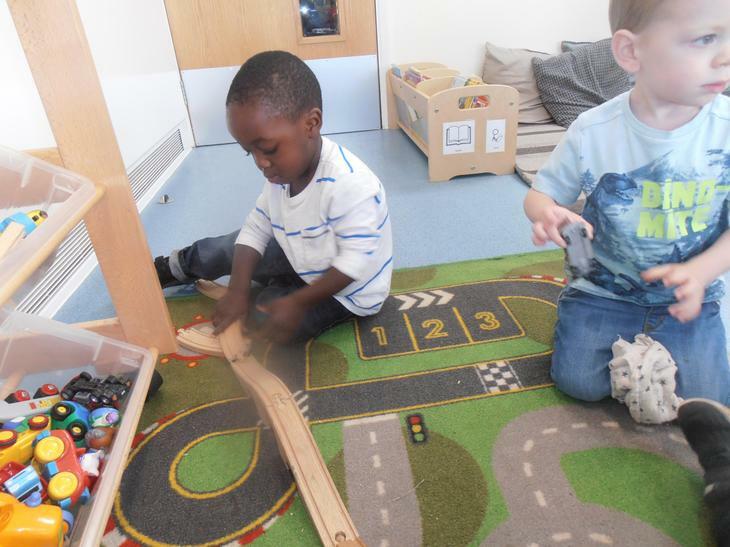 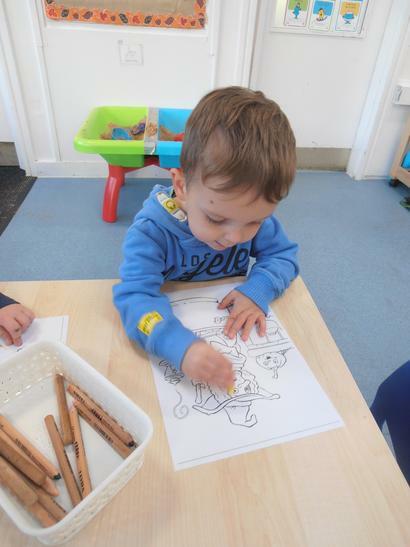 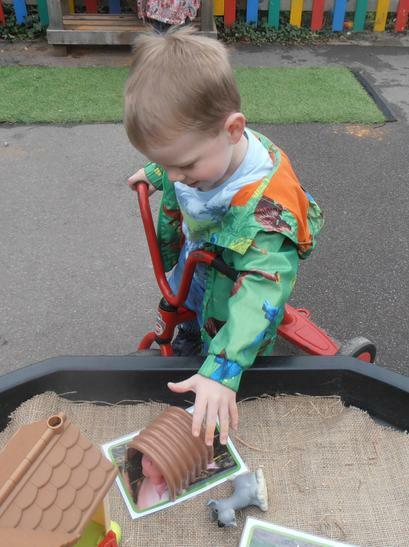 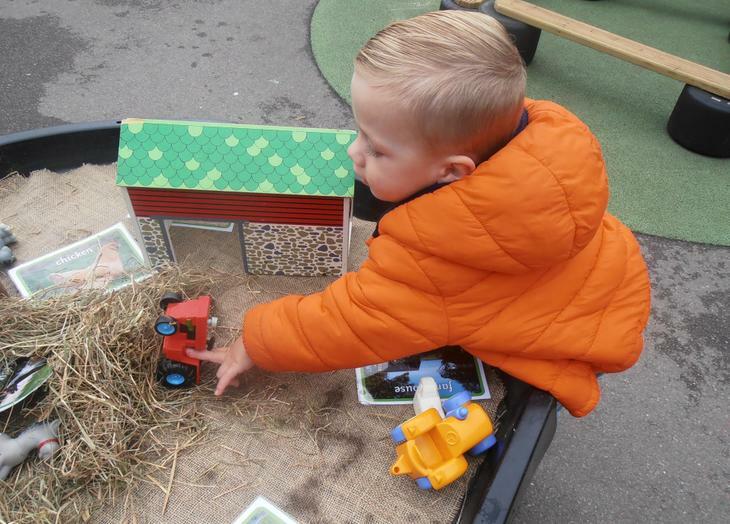 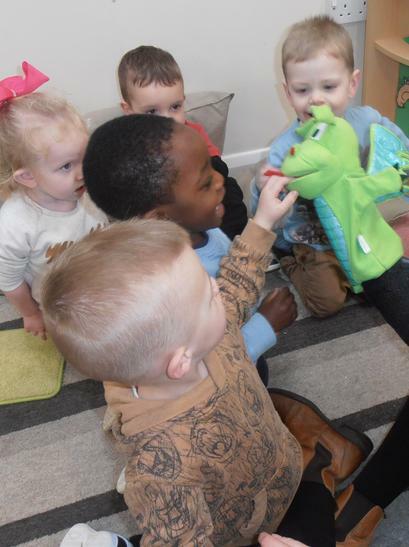 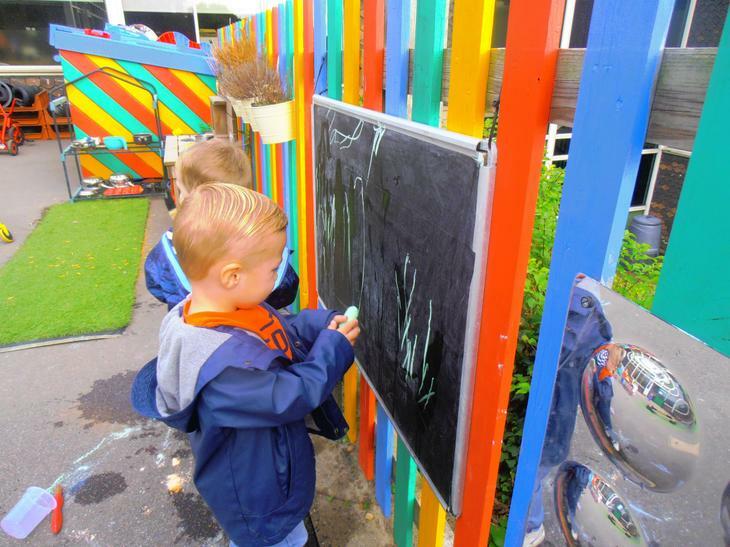 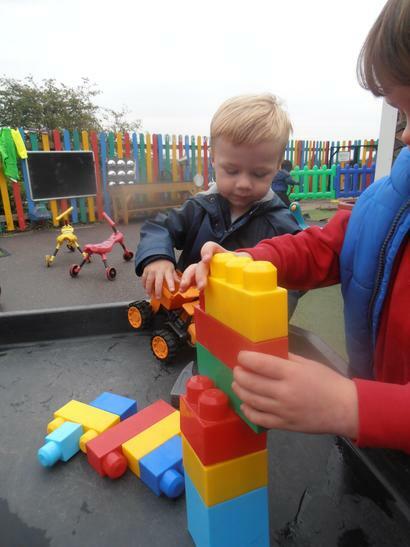 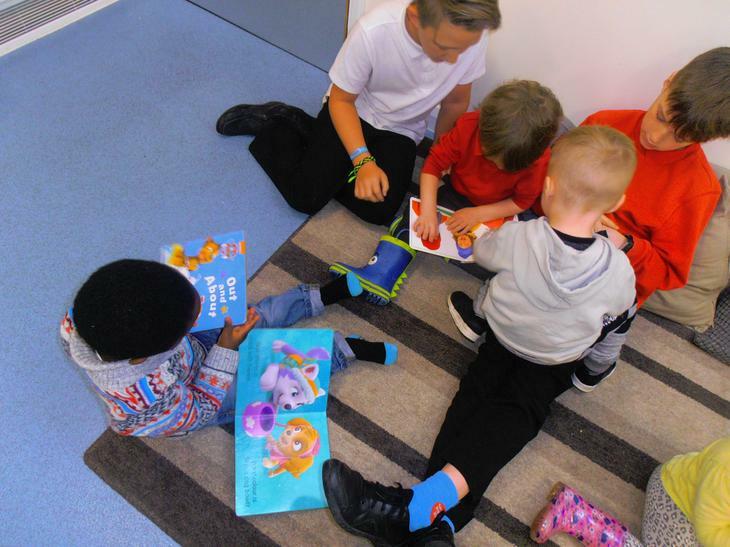 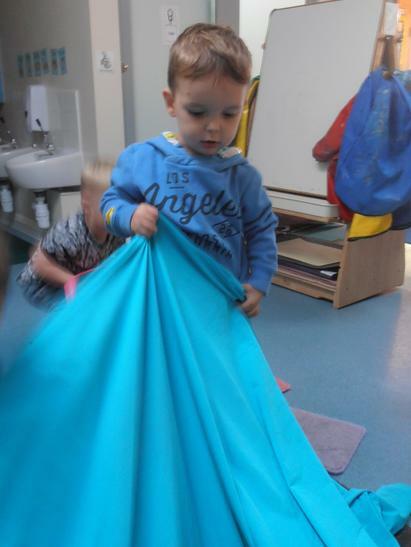 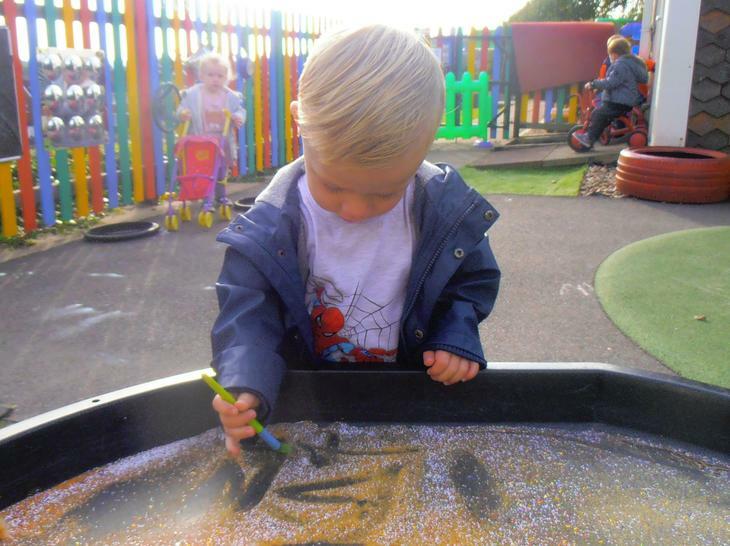 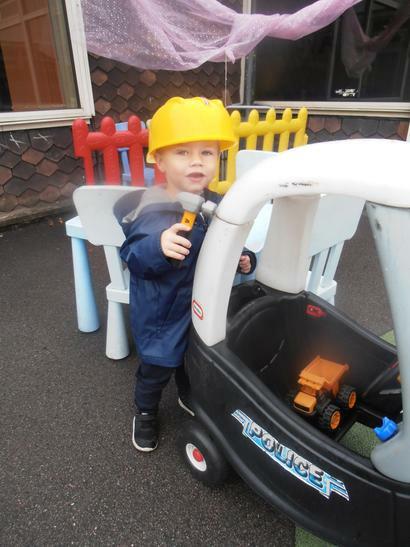 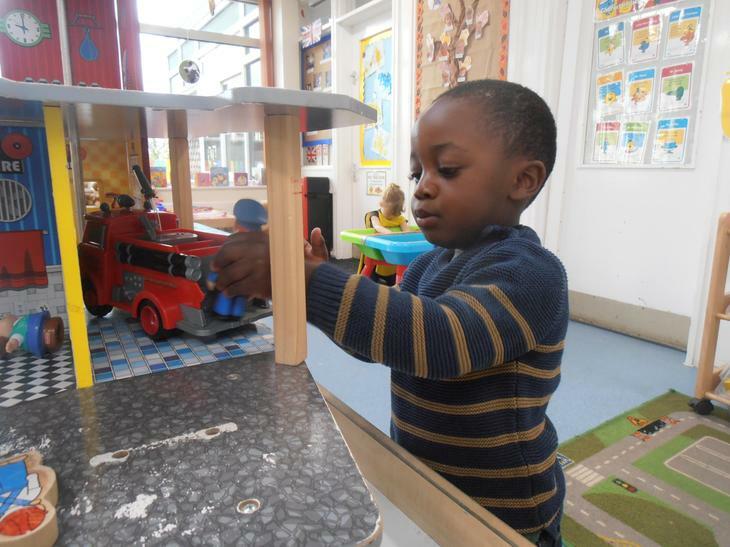 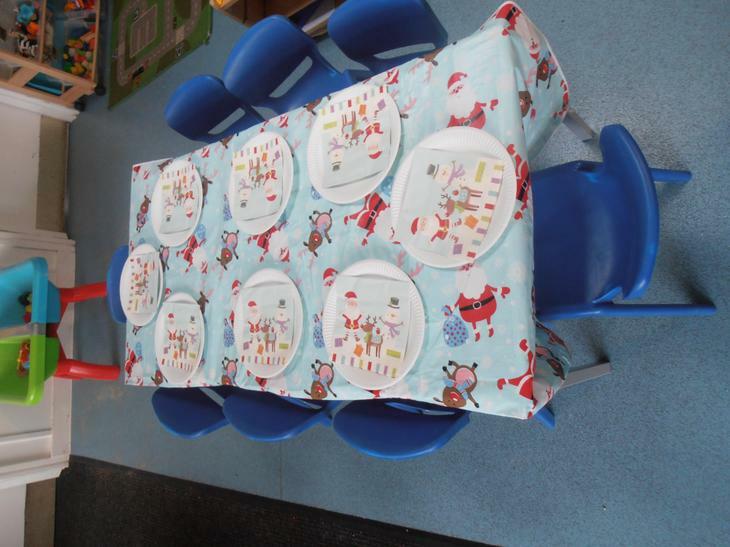 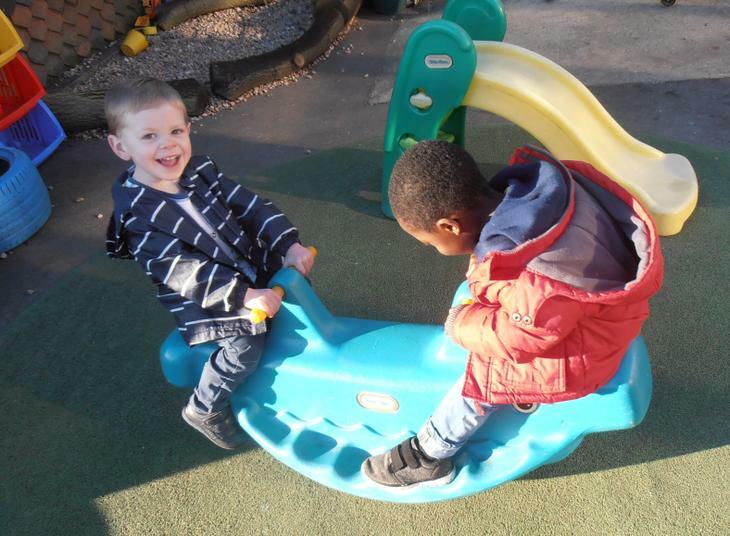 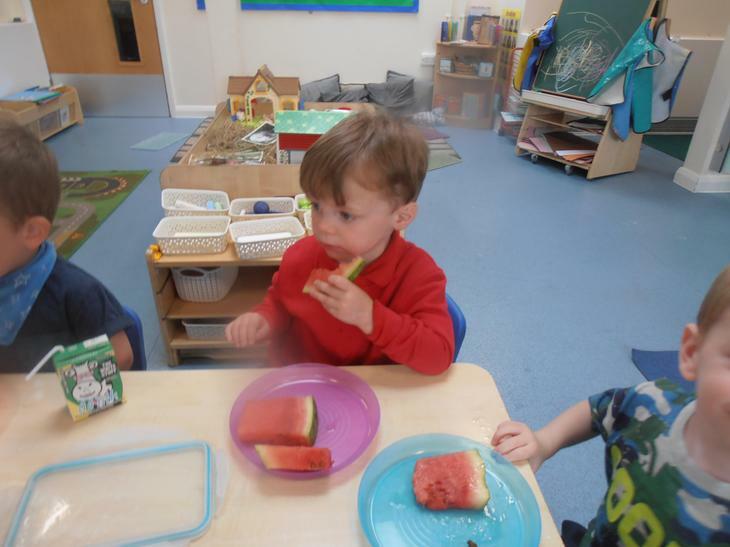 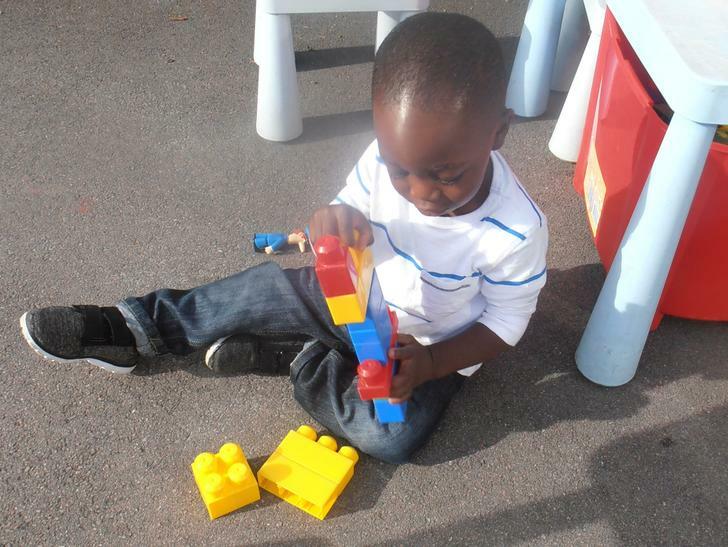 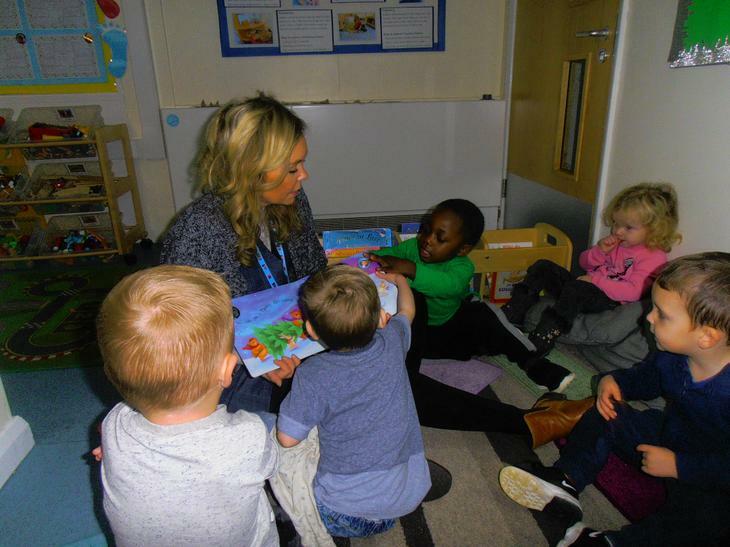 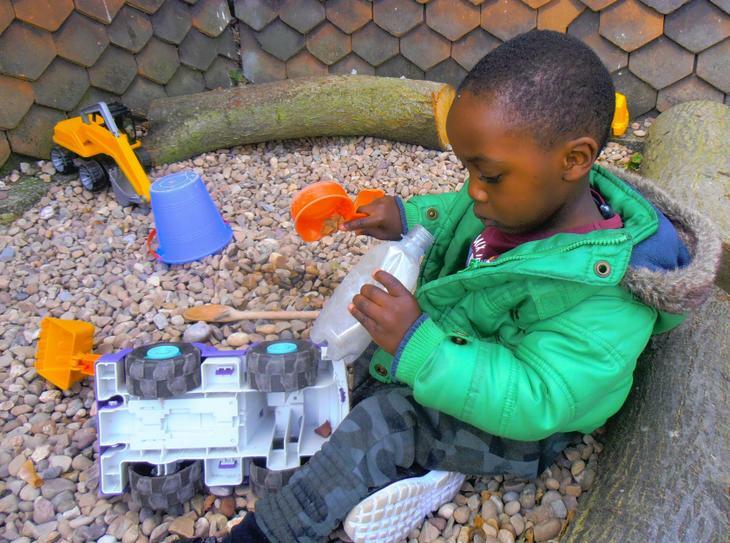 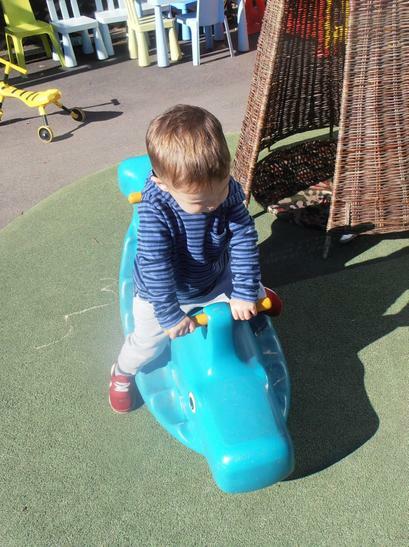 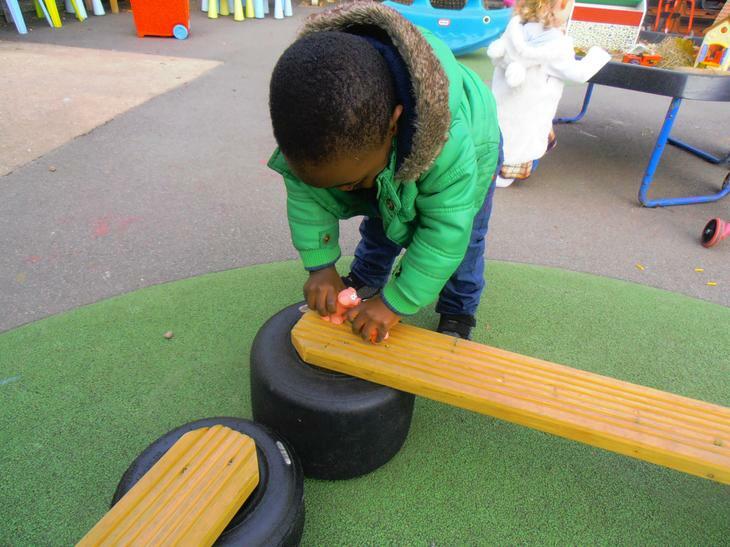 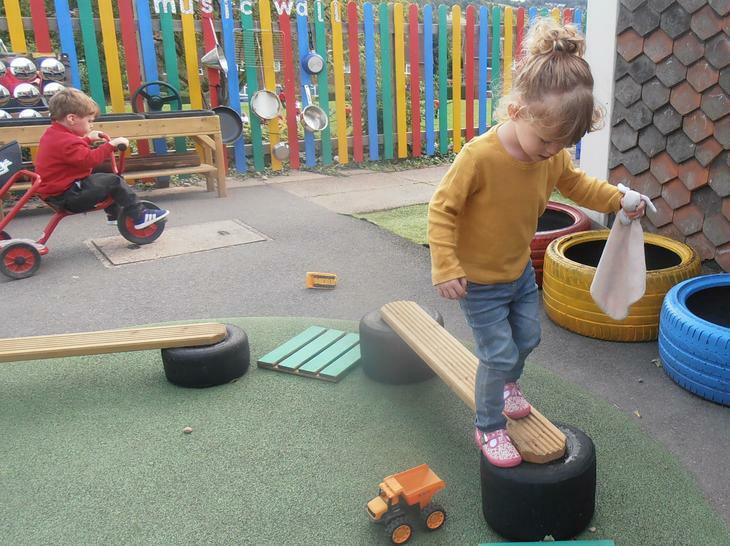 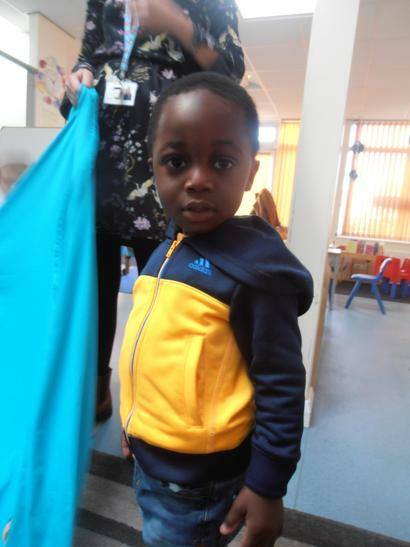 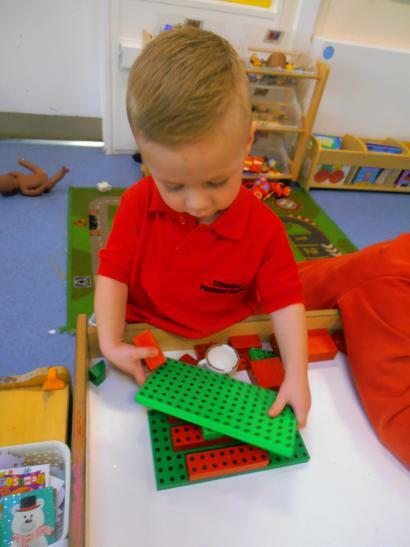 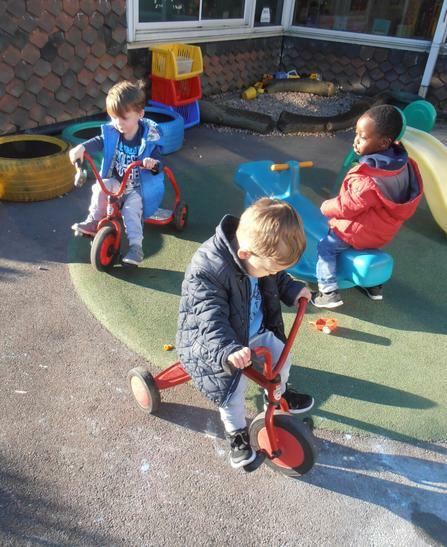 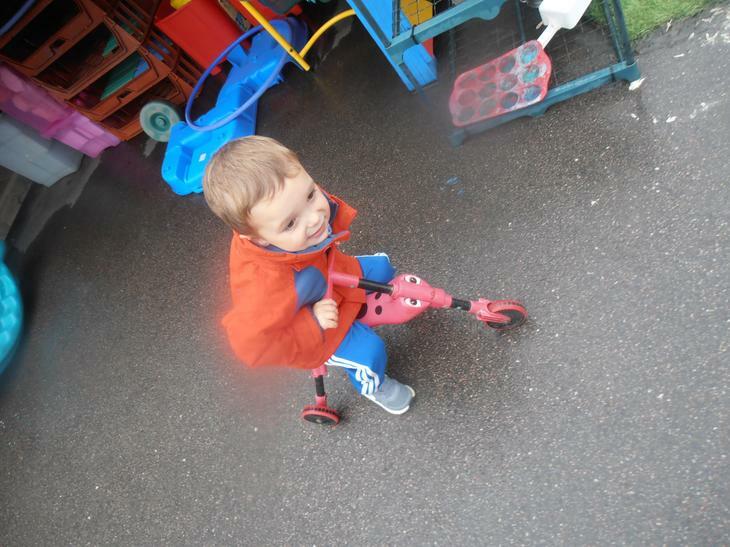 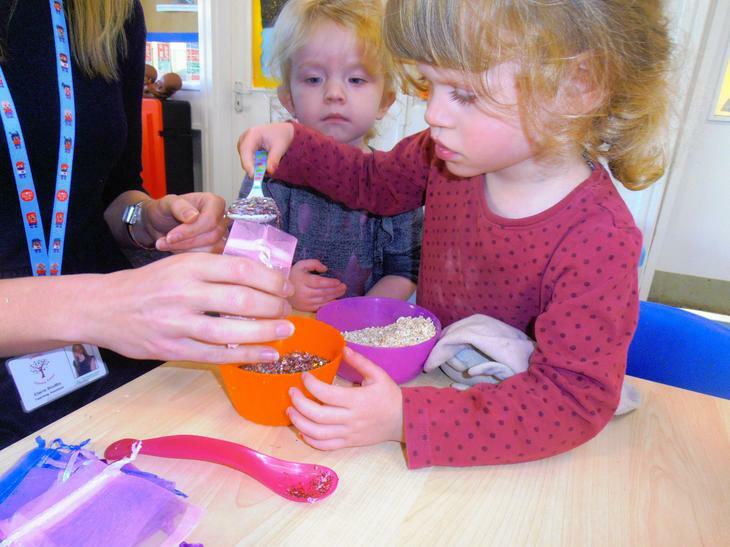 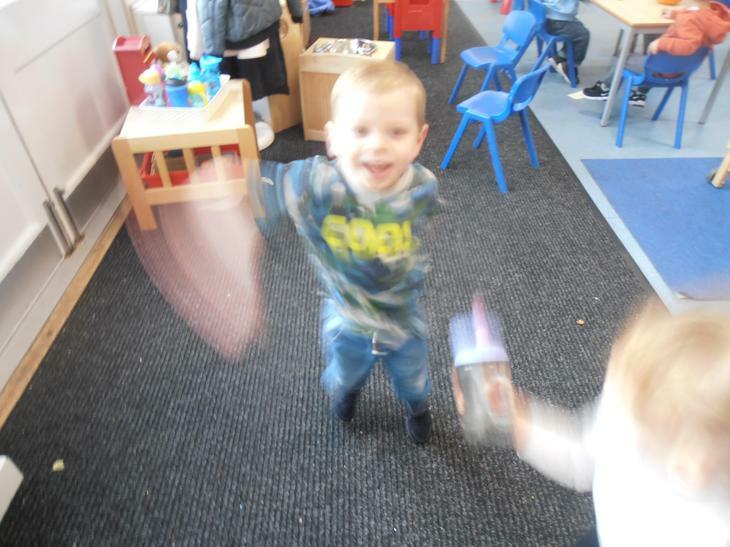 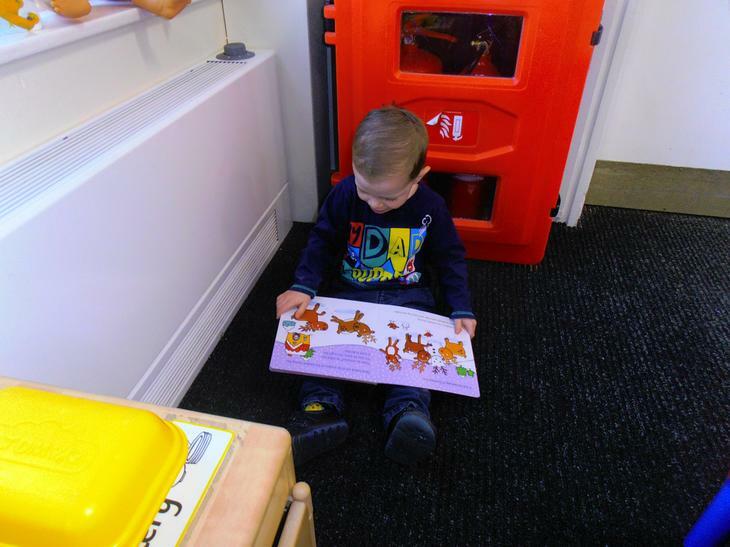 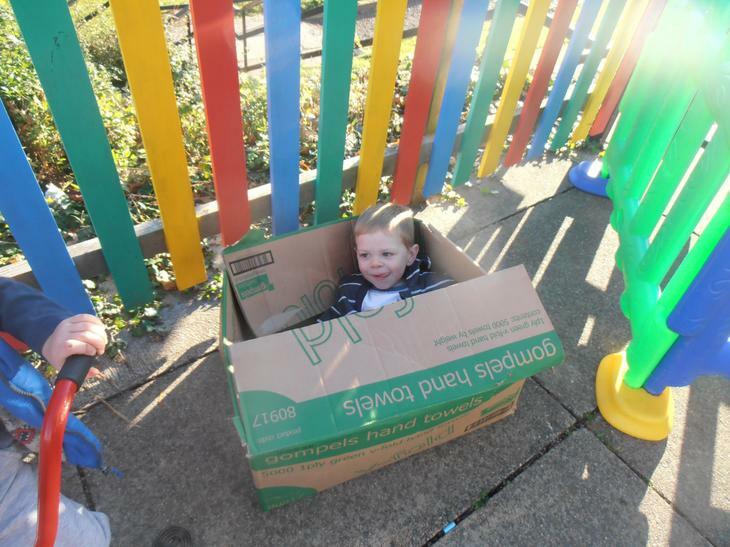 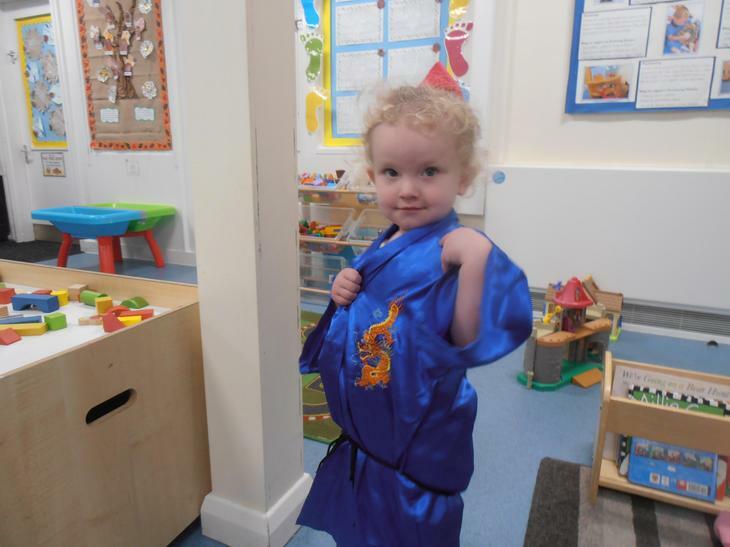 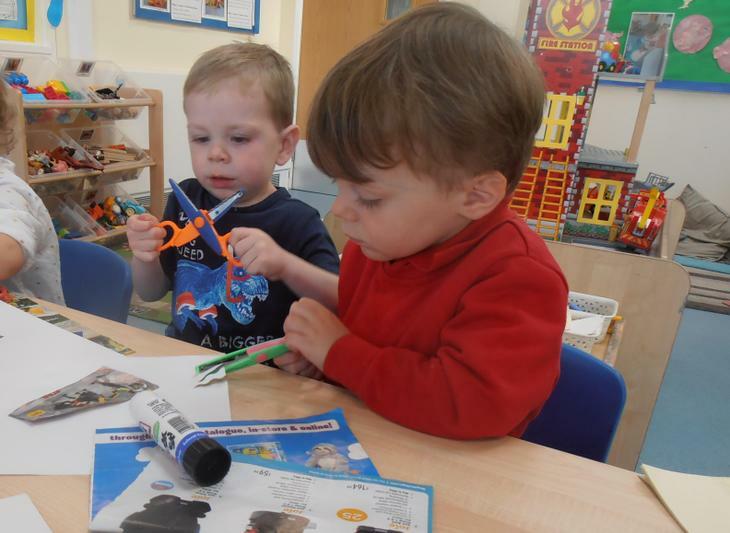 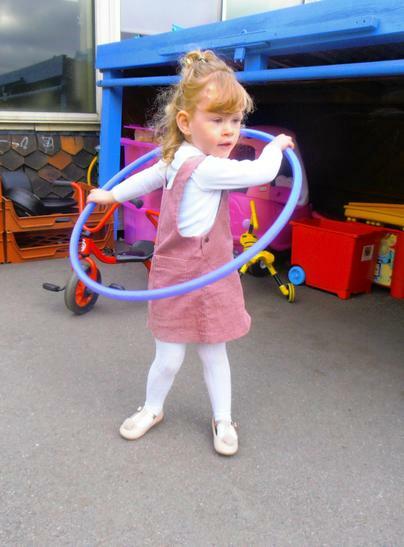 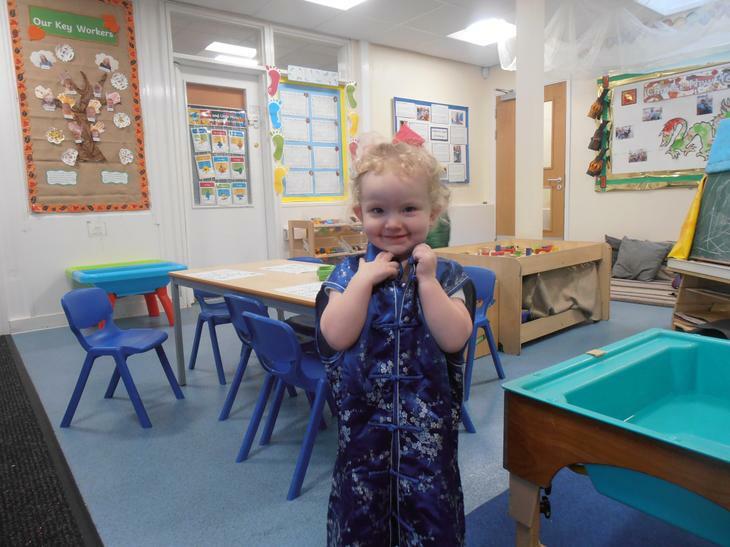 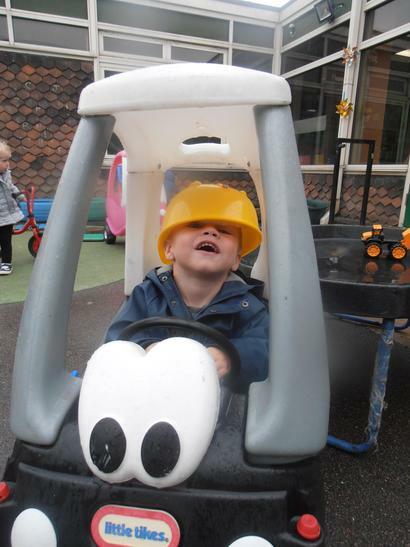 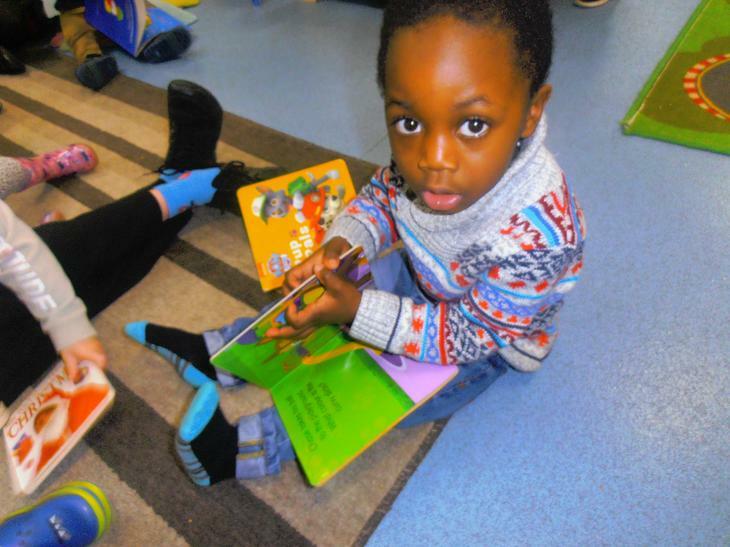 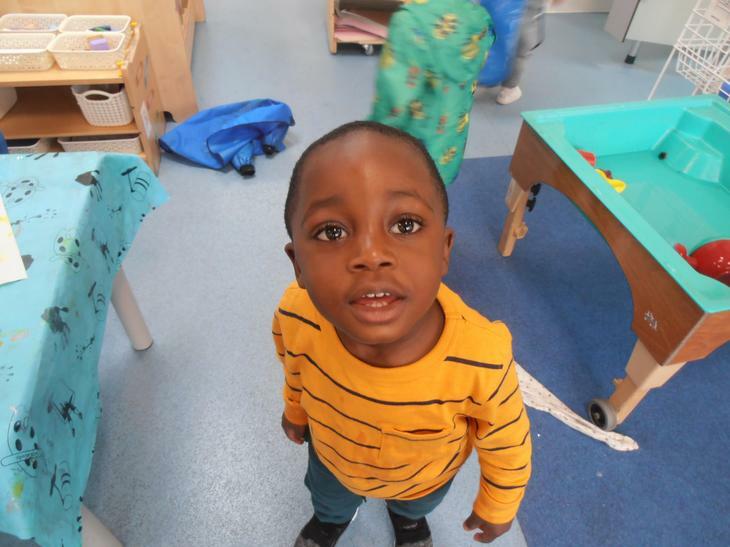 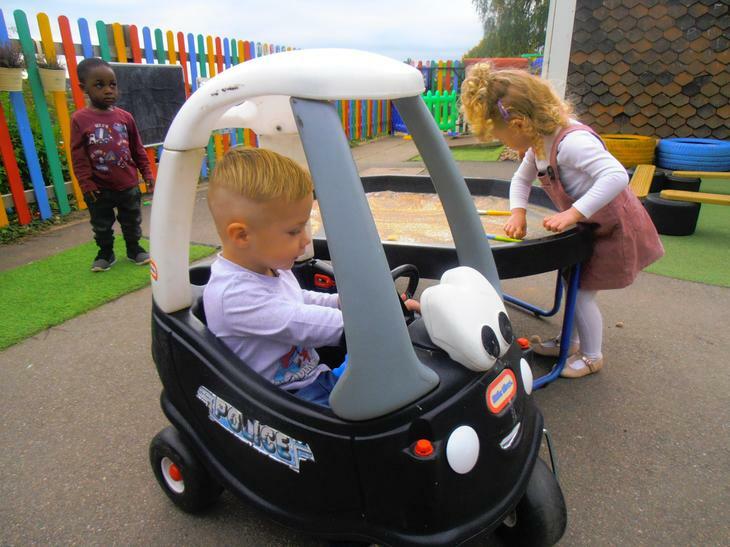 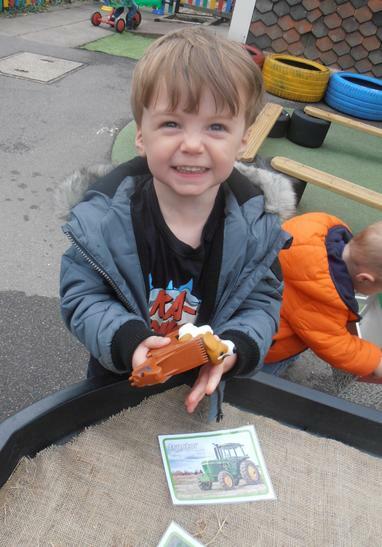 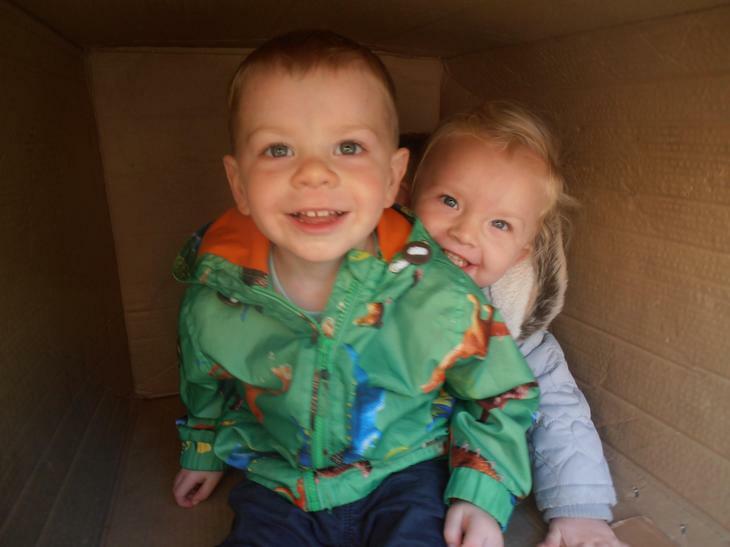 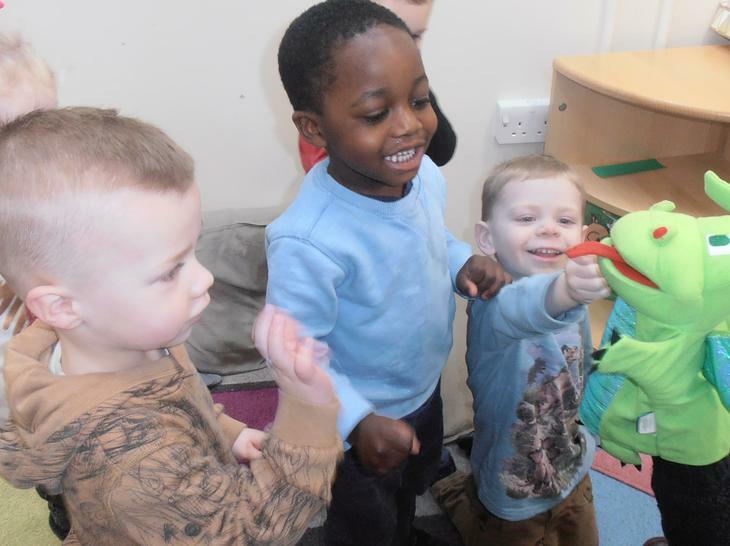 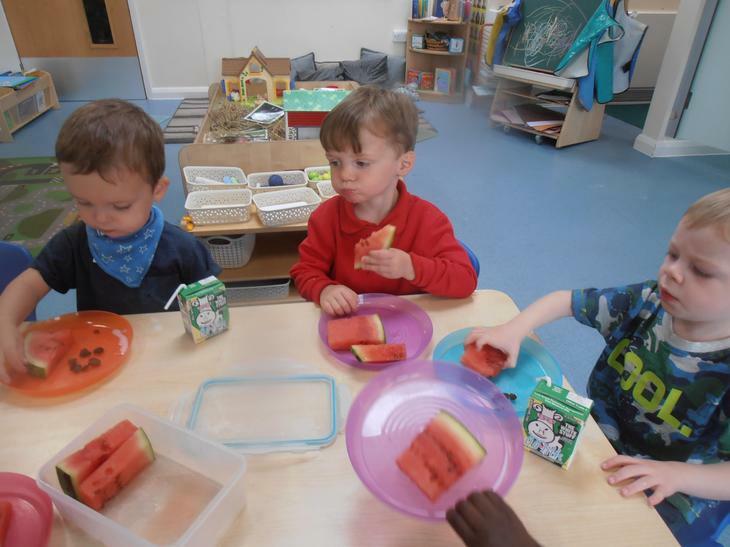 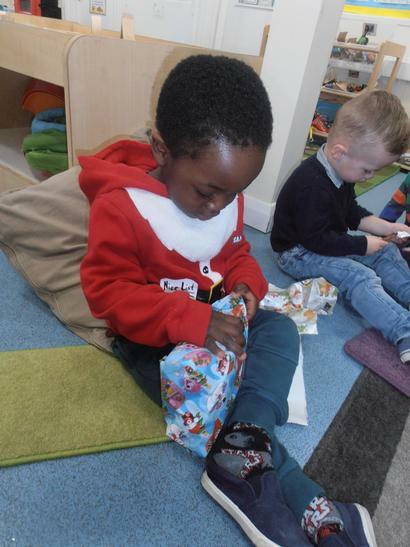 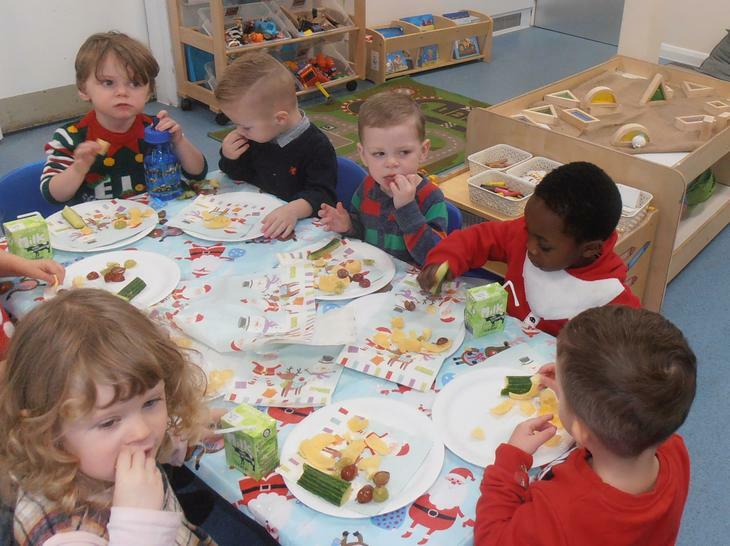 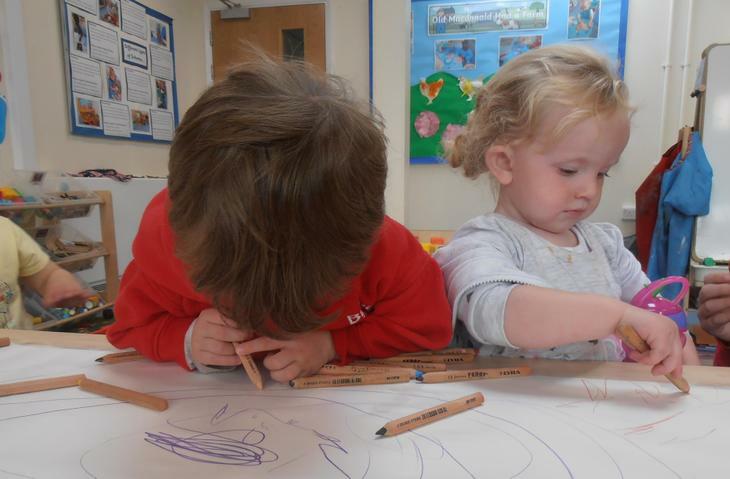 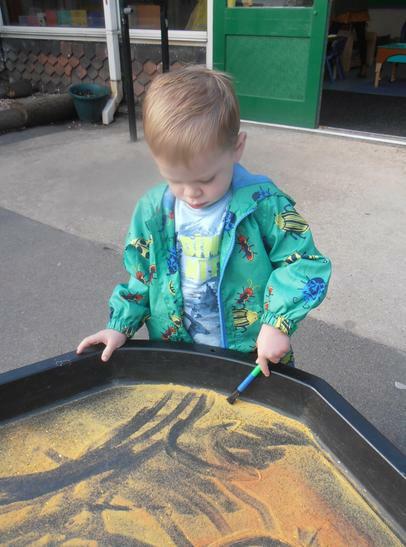 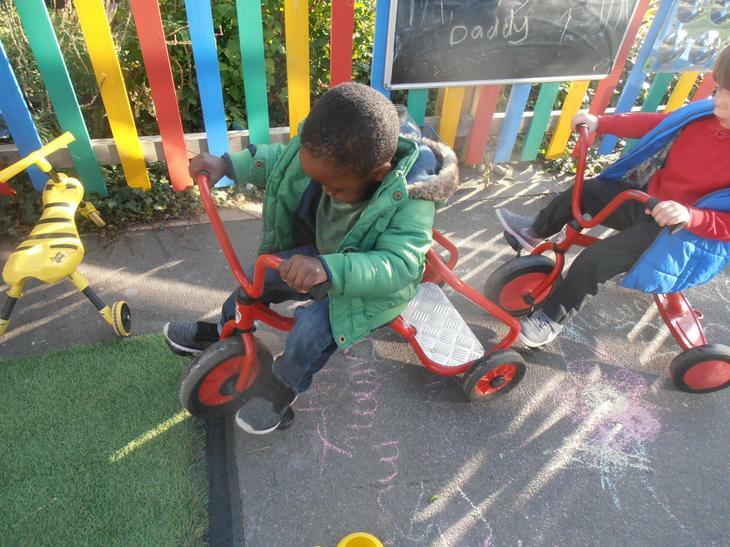 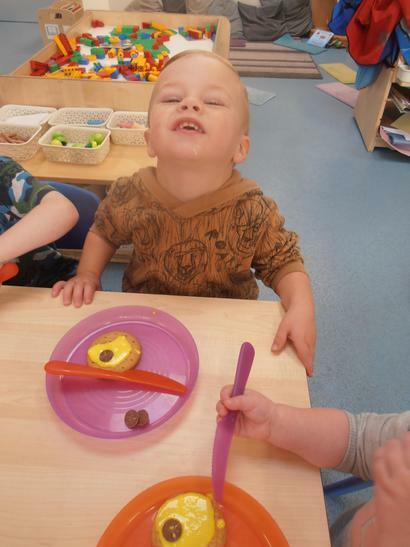 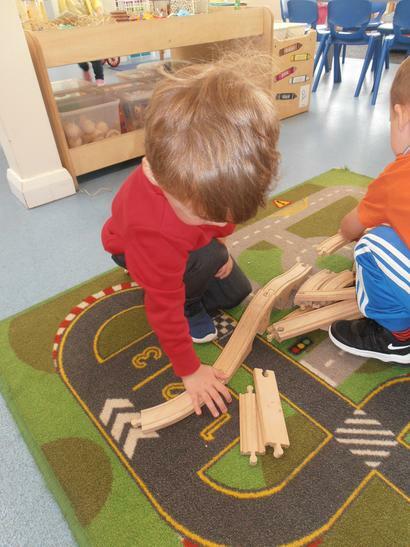 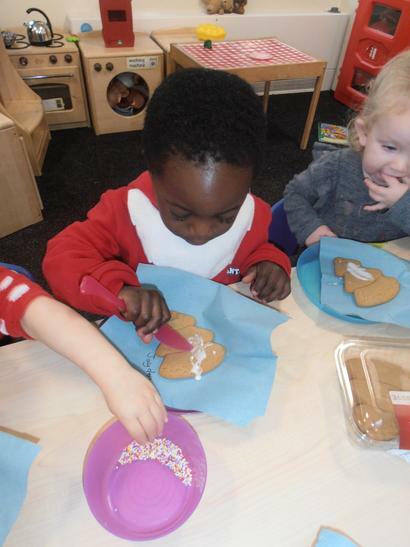 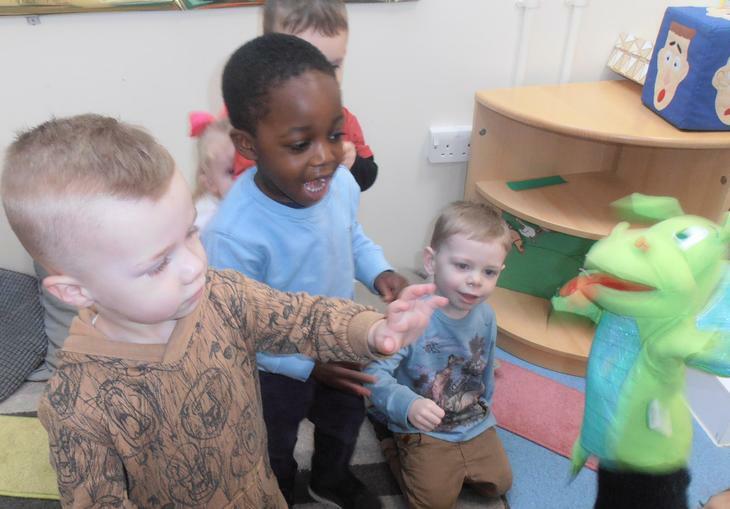 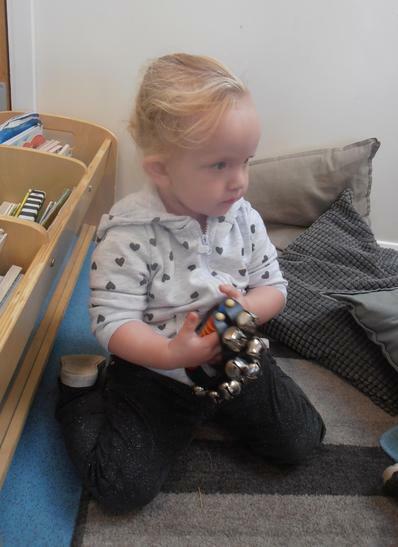 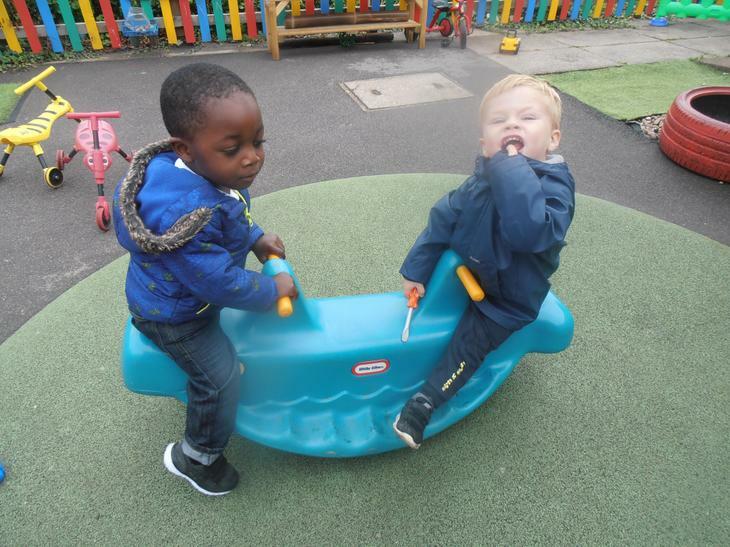 In Pre-school we follow the Early Years Foundation Stage to support each child's individual development. 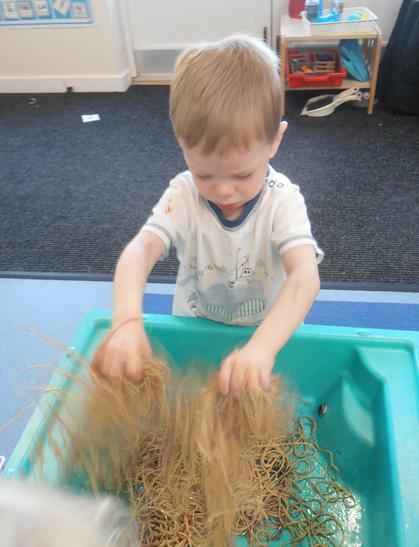 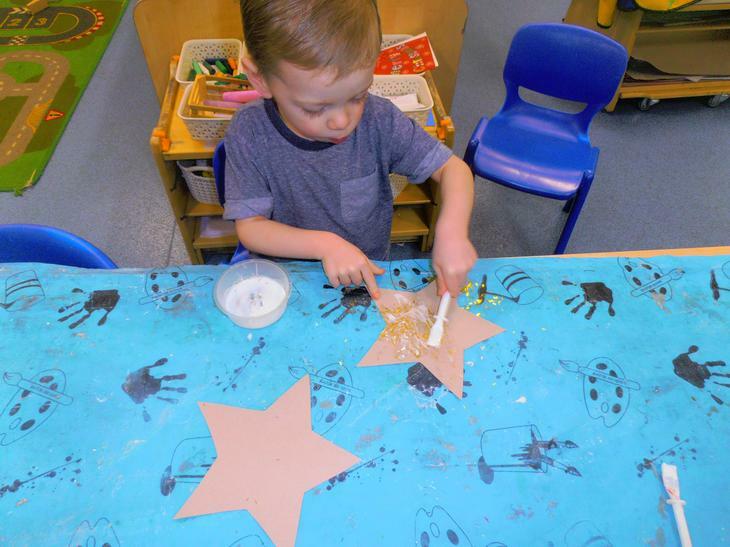 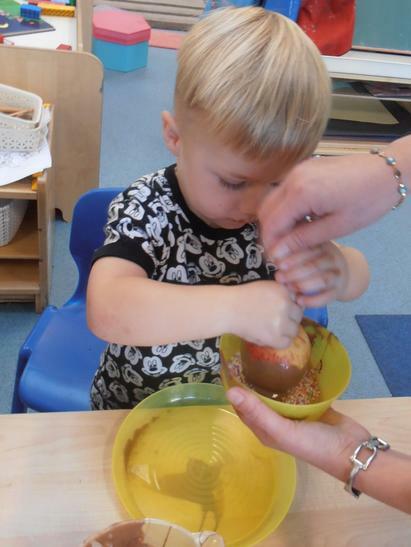 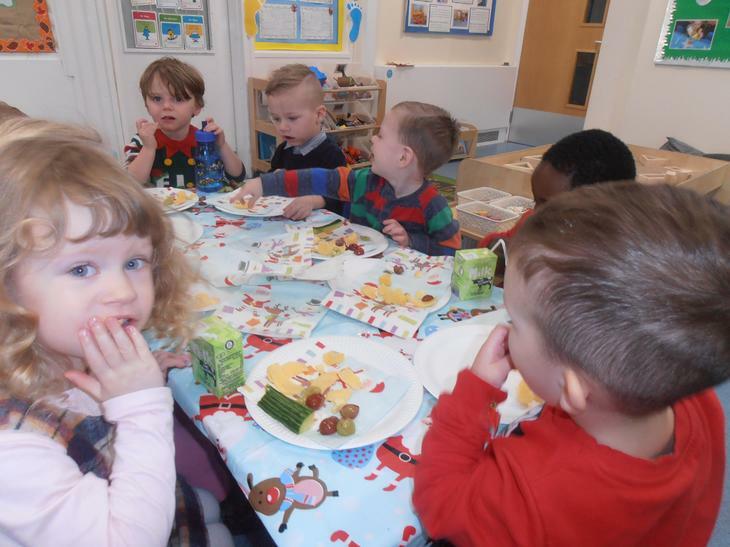 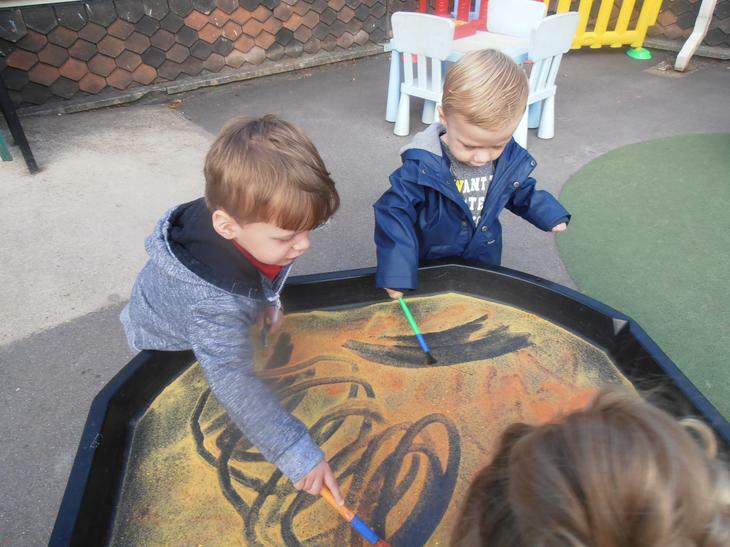 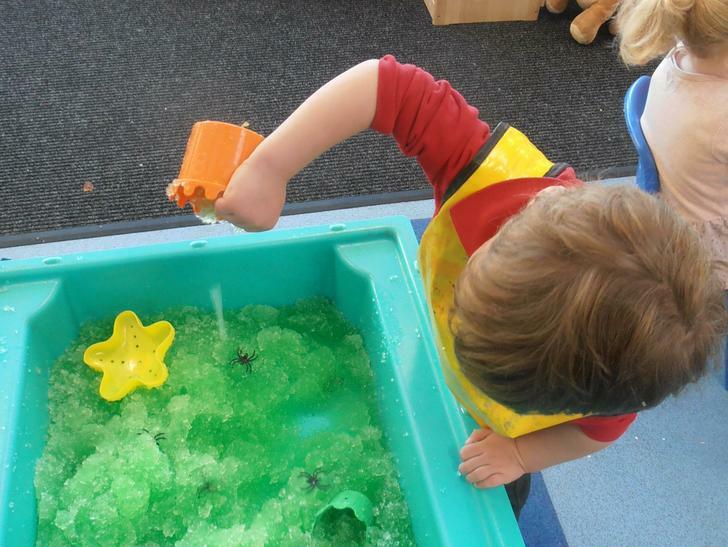 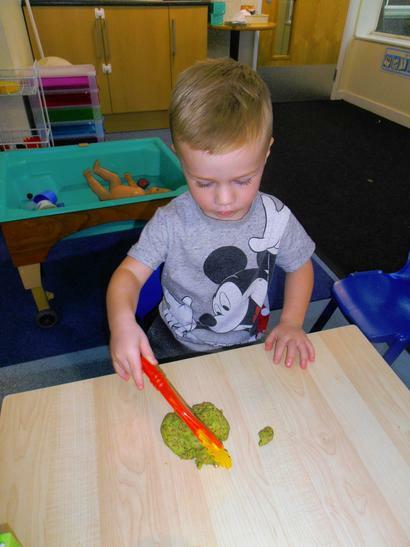 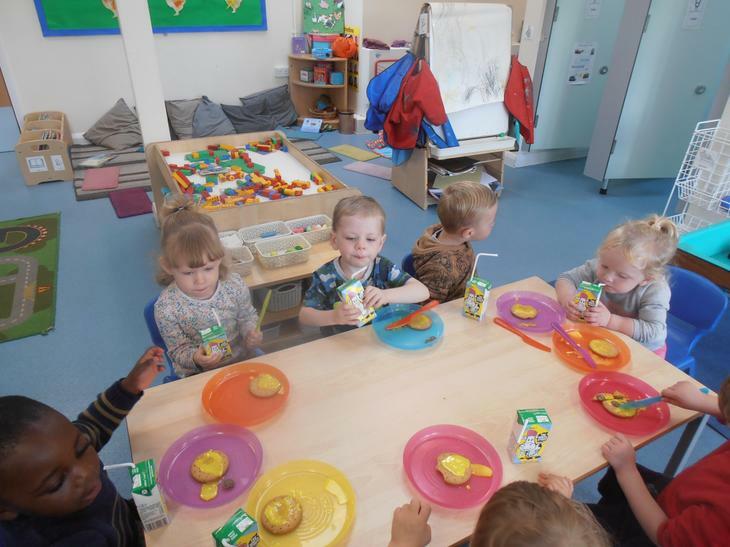 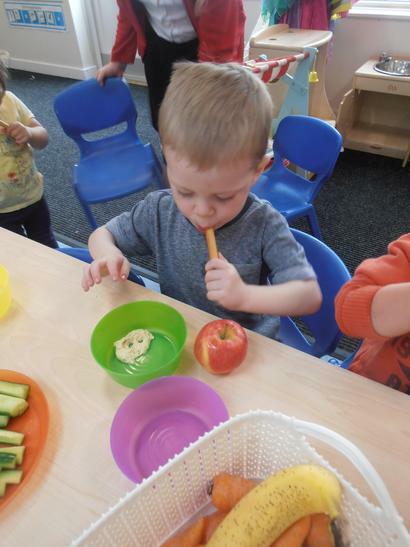 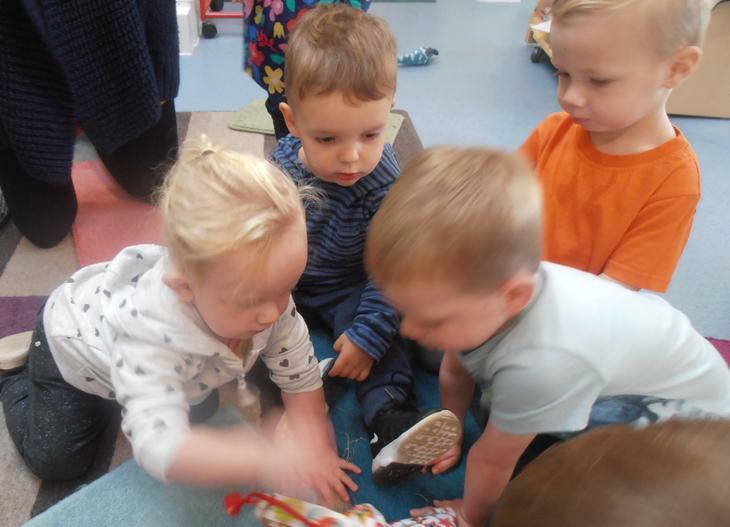 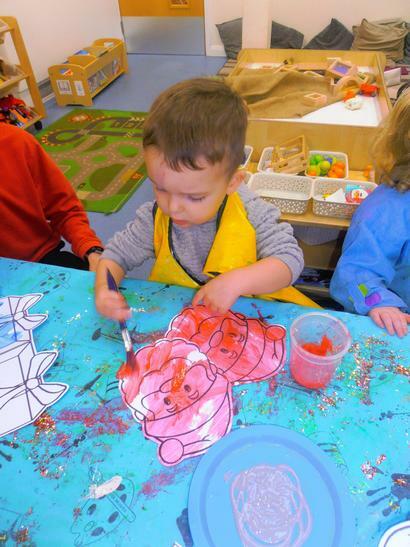 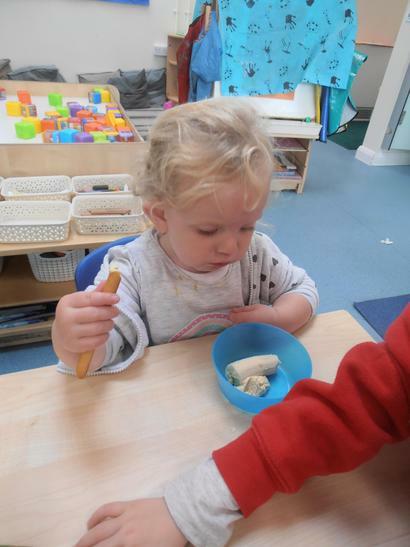 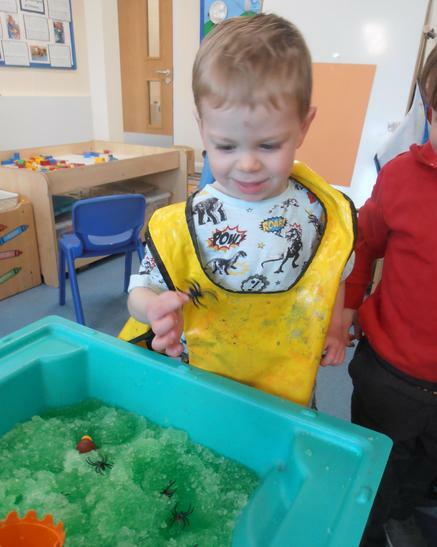 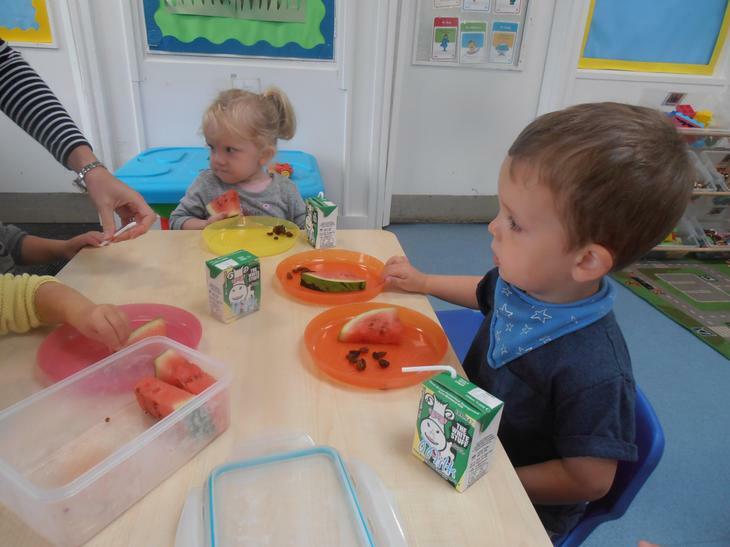 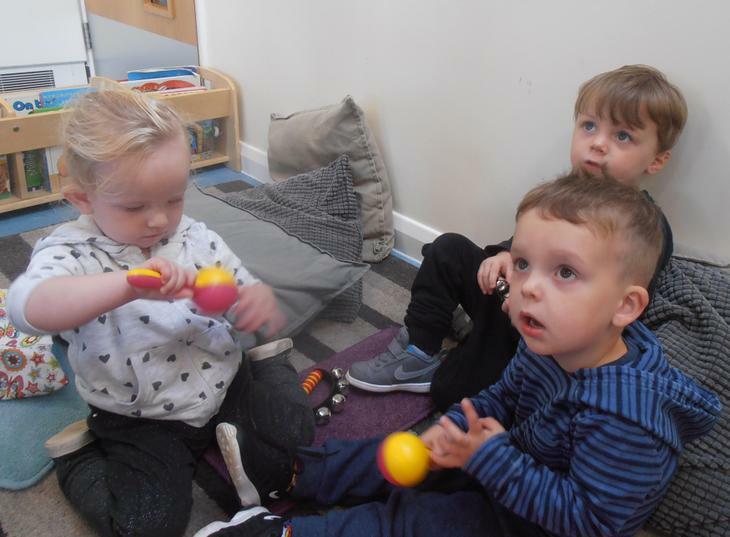 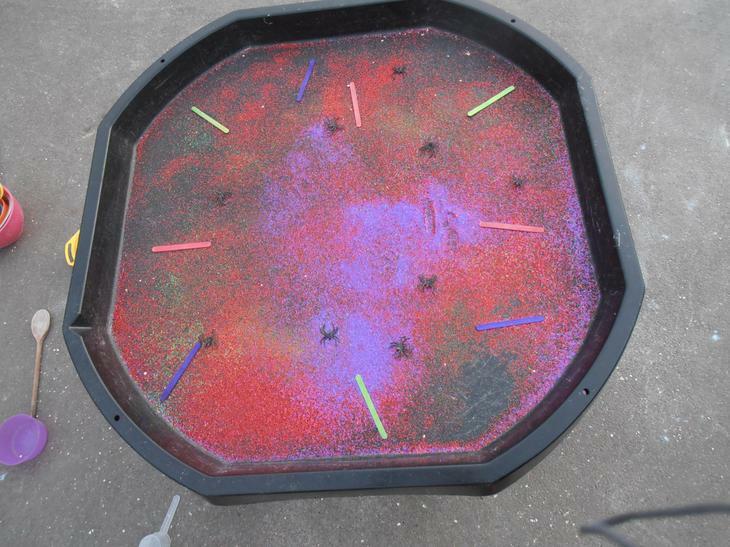 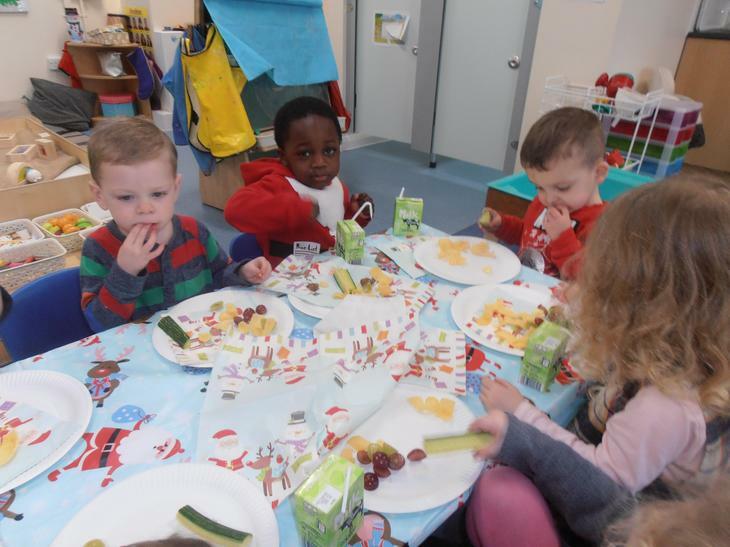 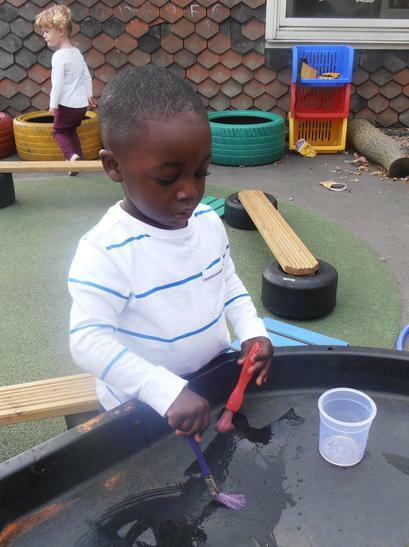 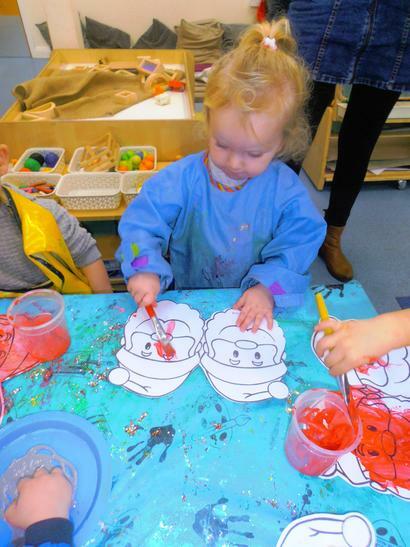 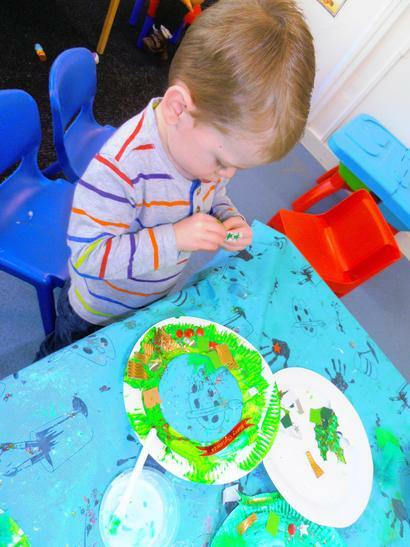 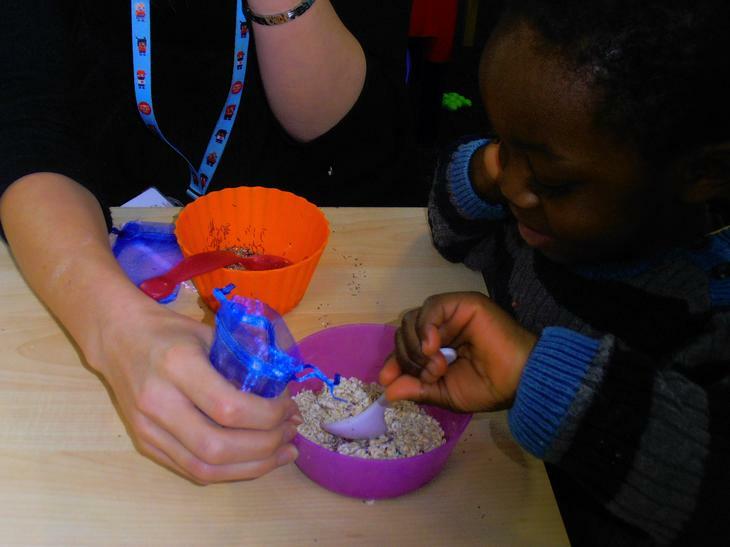 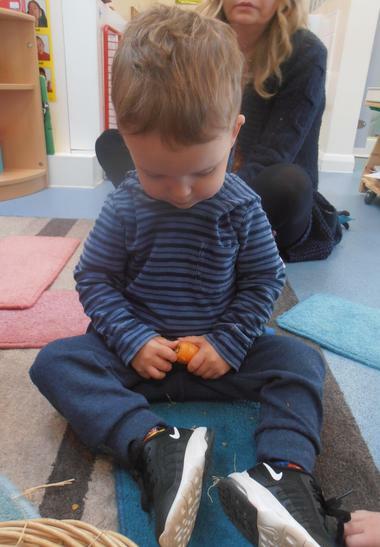 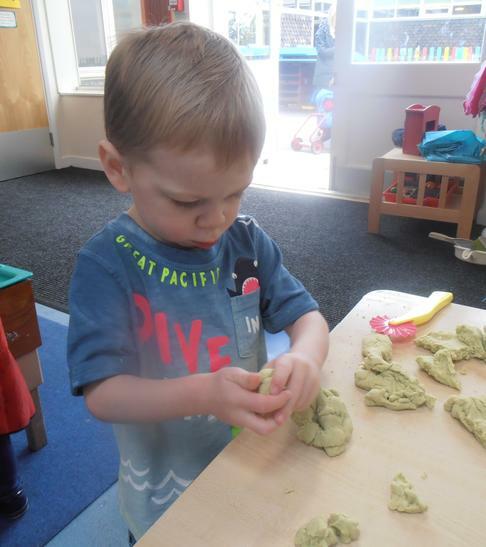 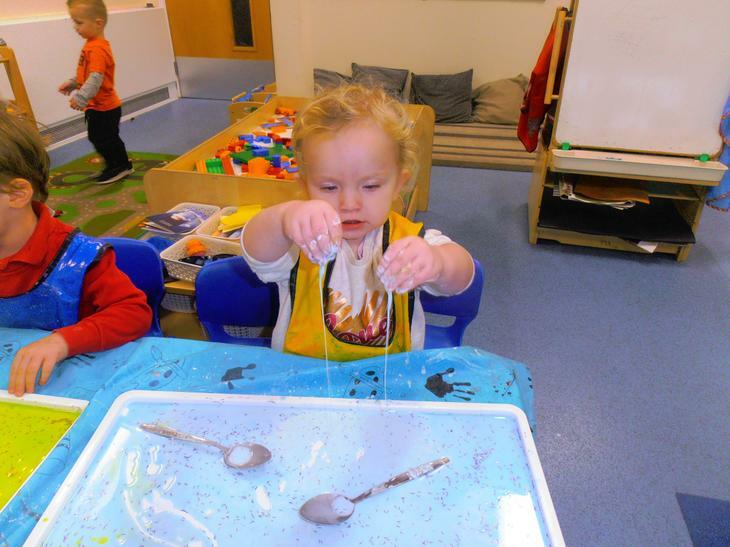 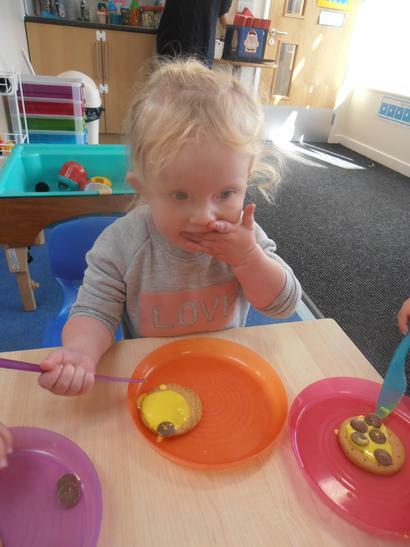 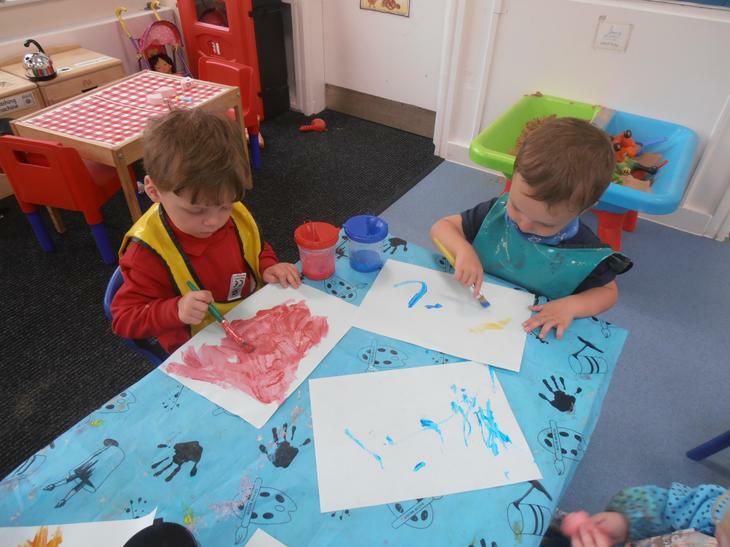 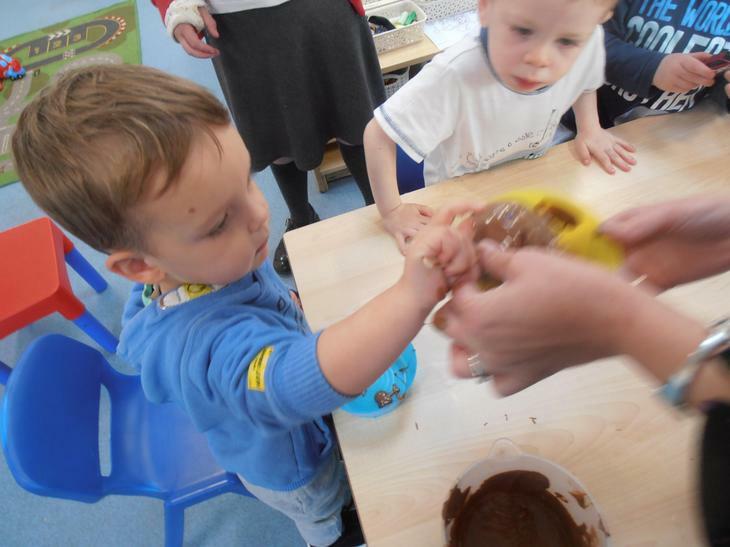 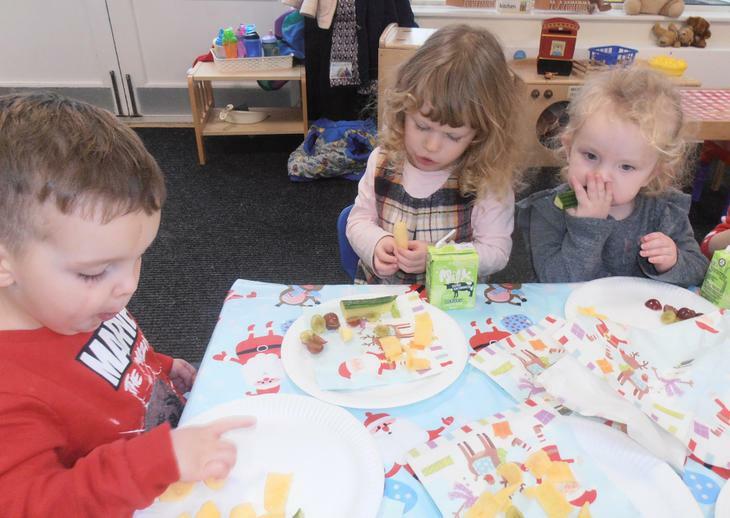 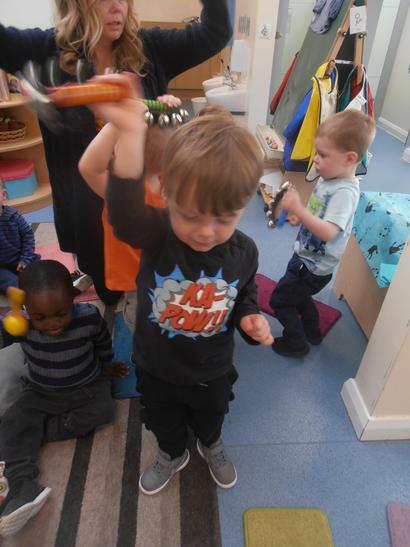 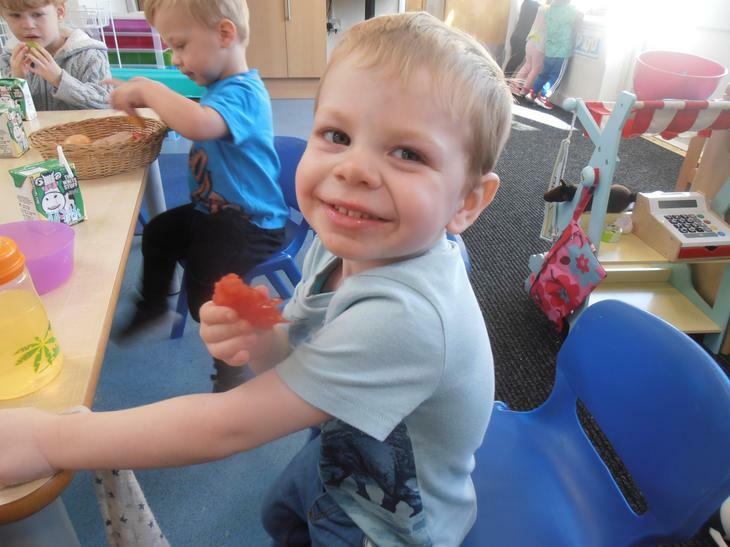 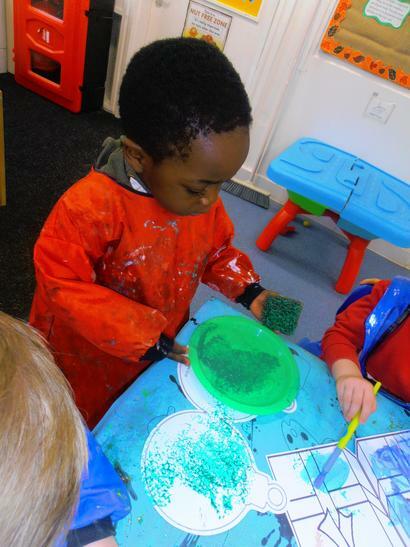 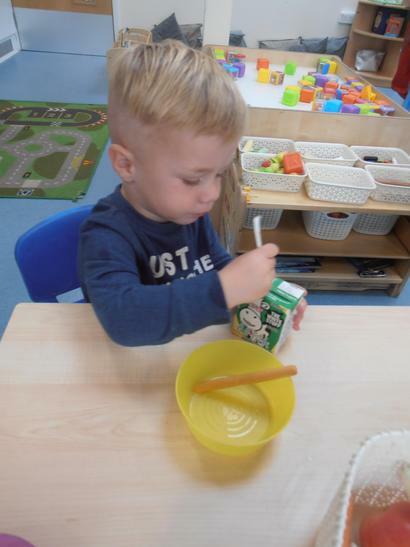 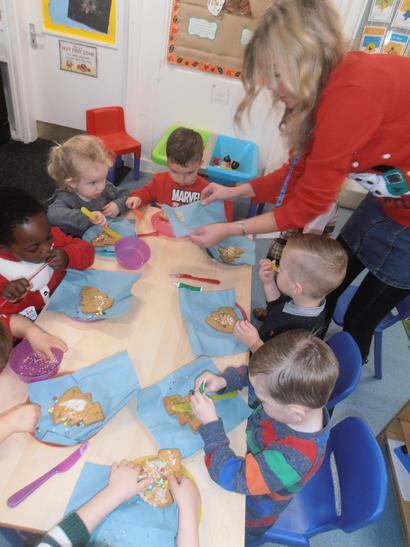 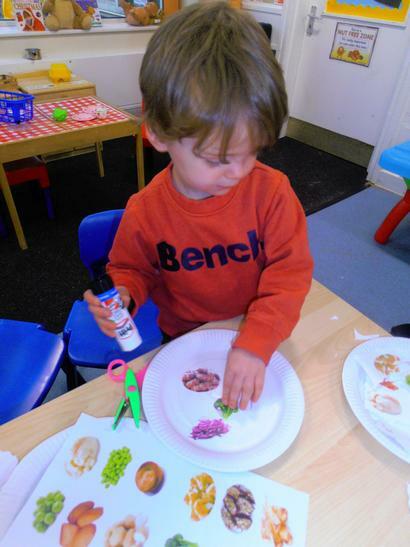 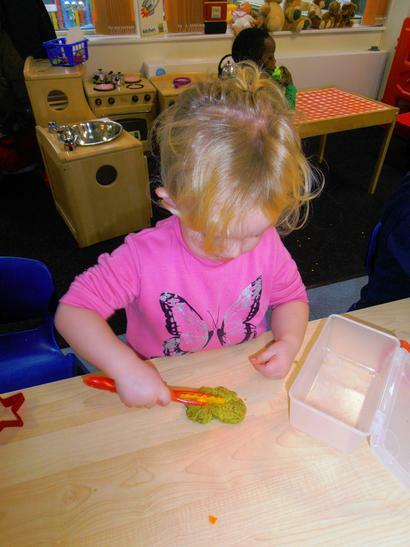 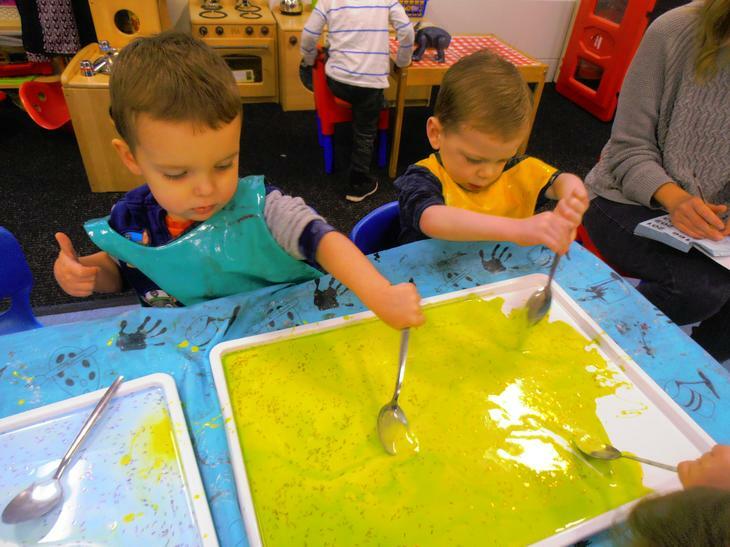 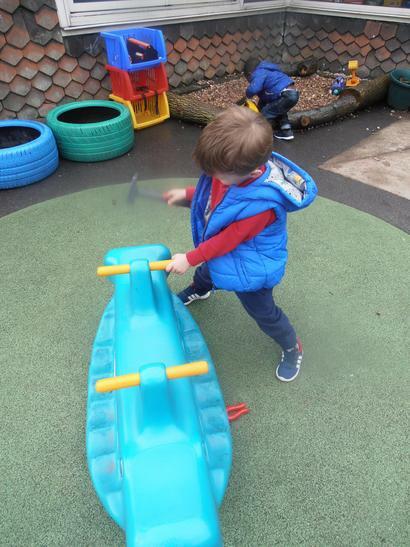 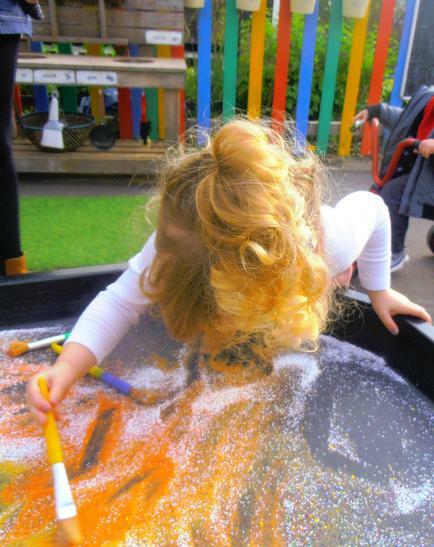 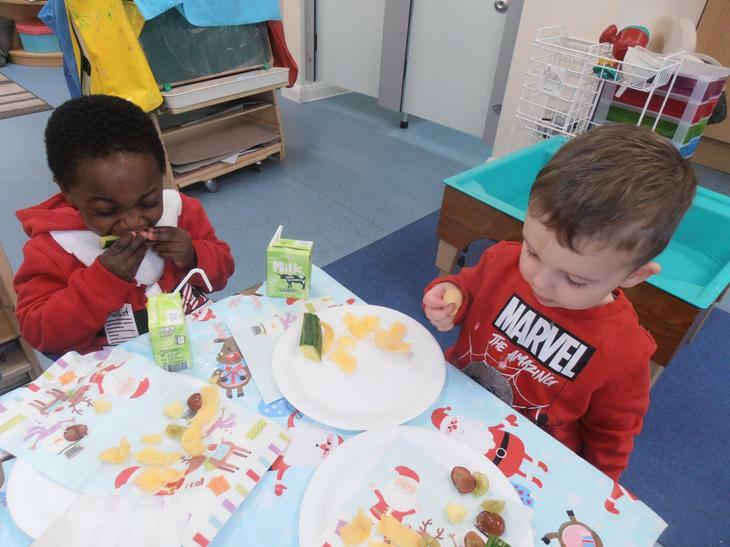 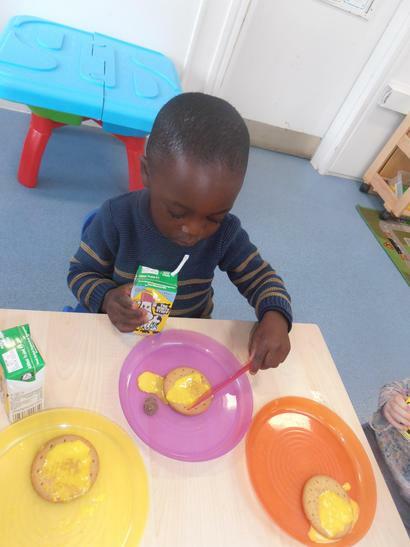 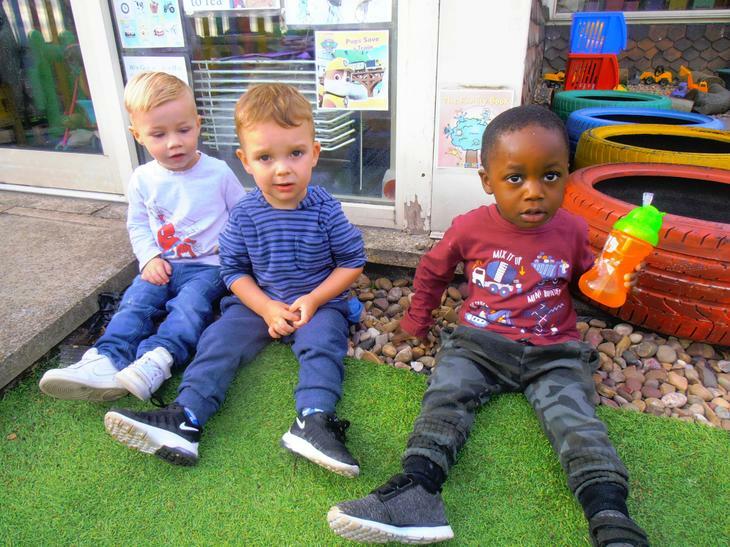 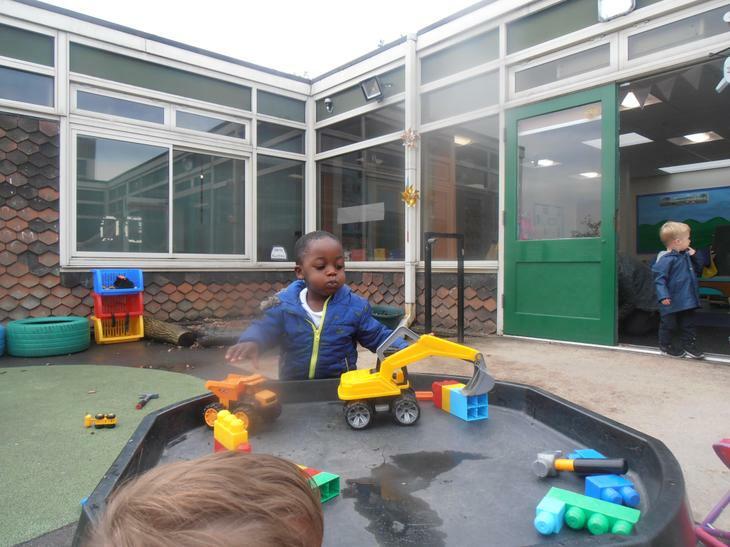 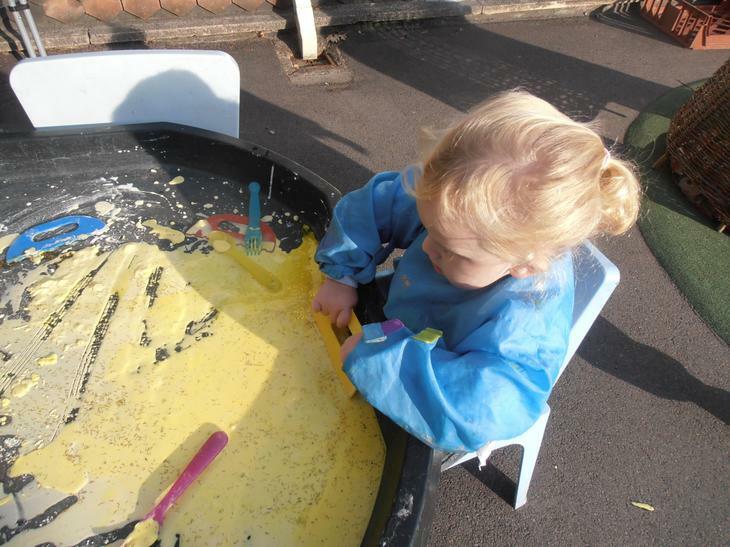 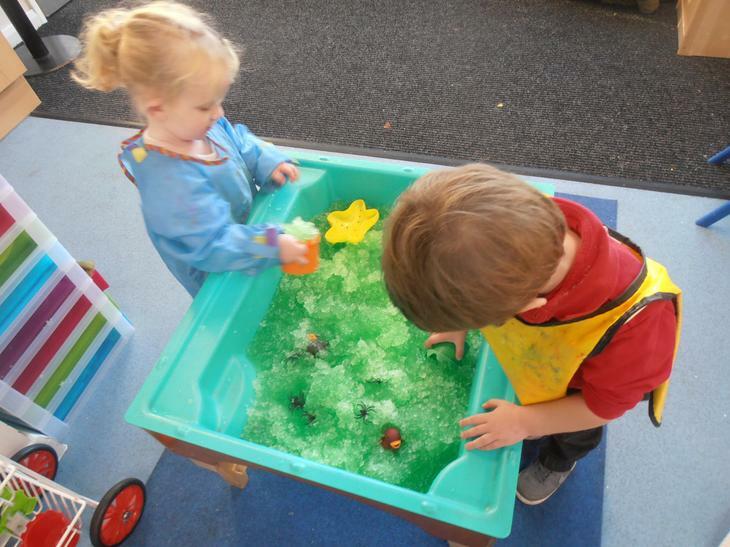 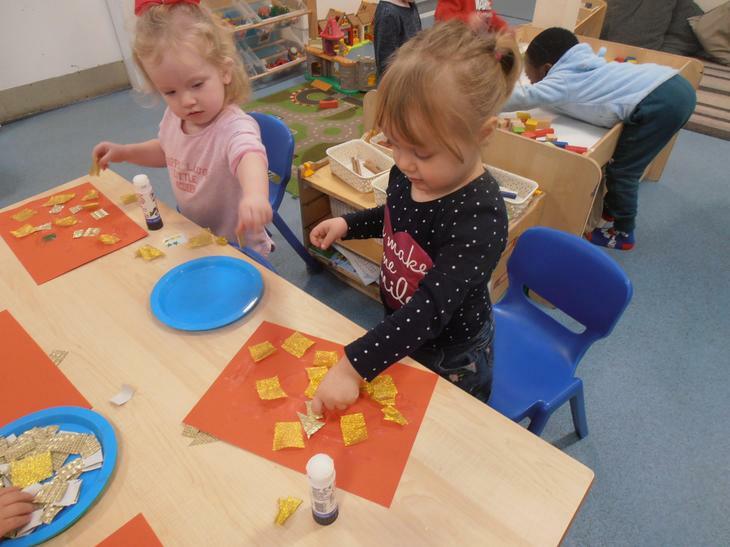 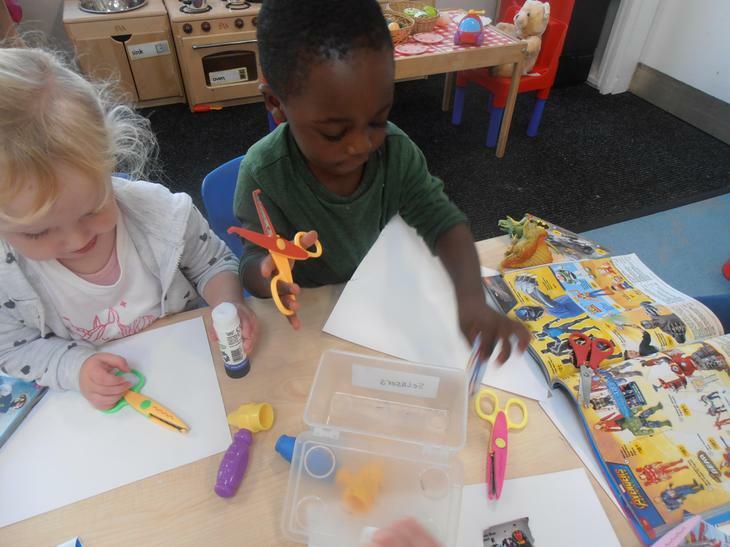 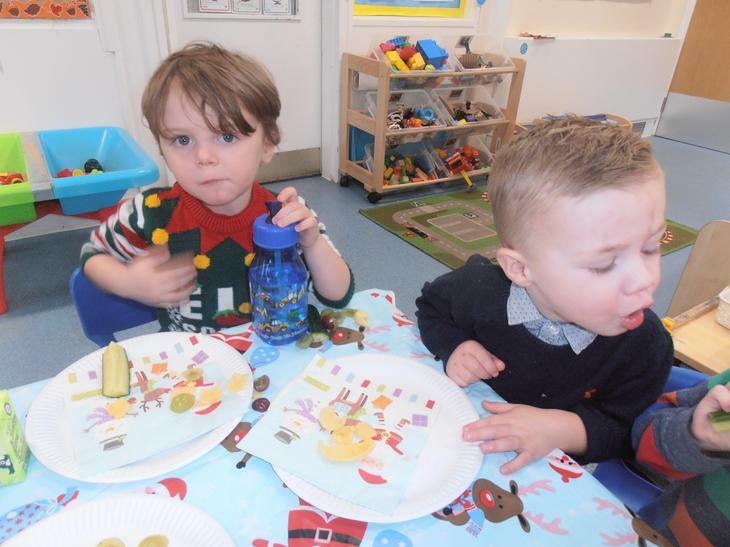 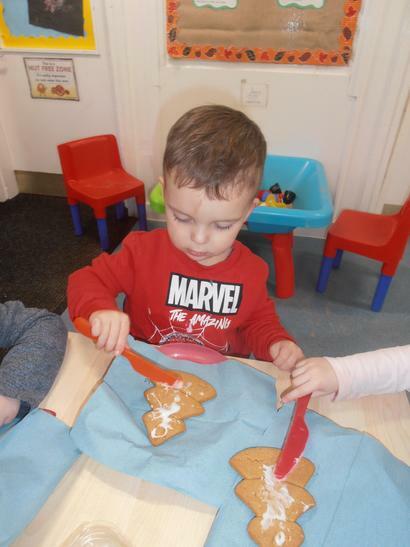 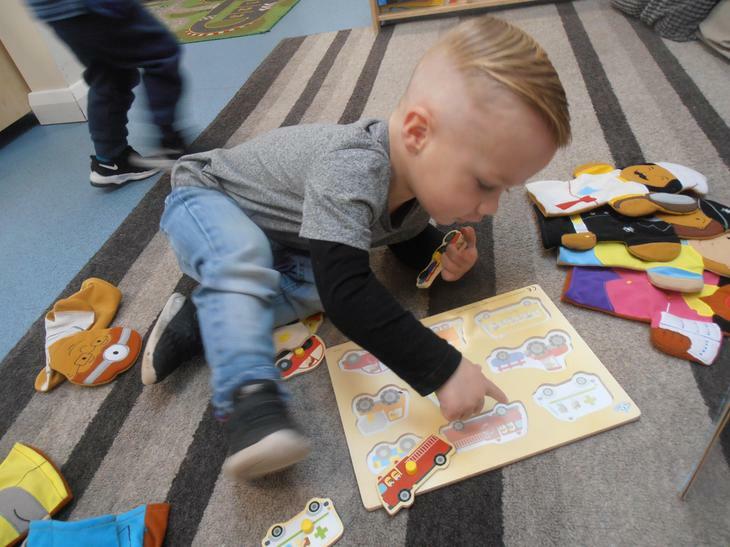 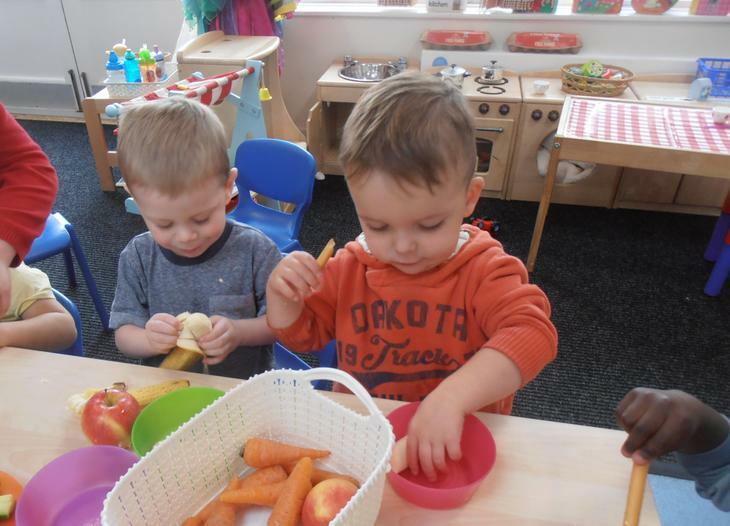 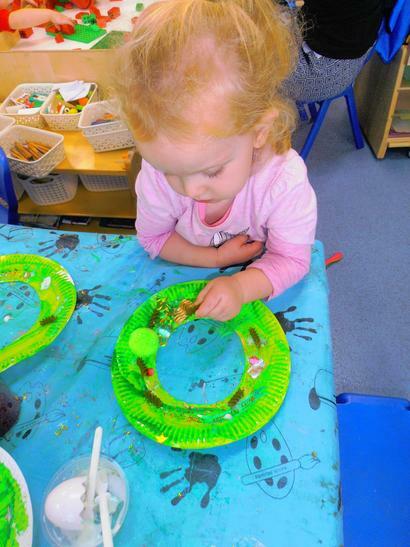 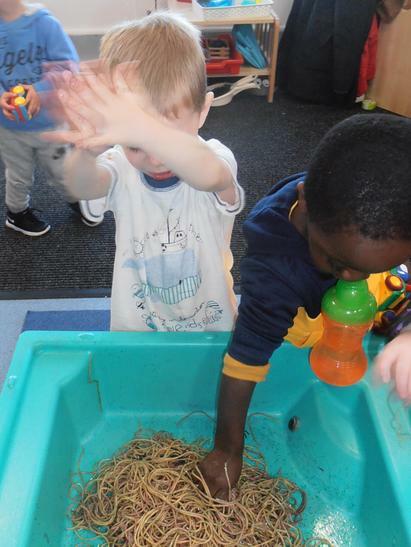 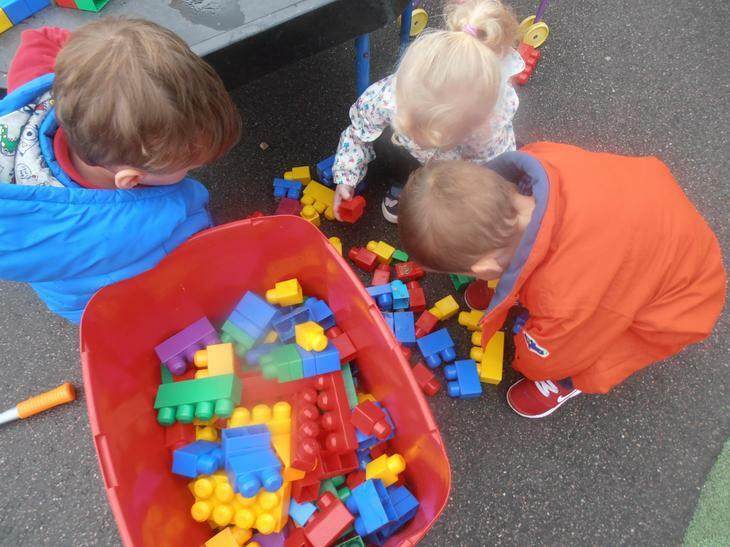 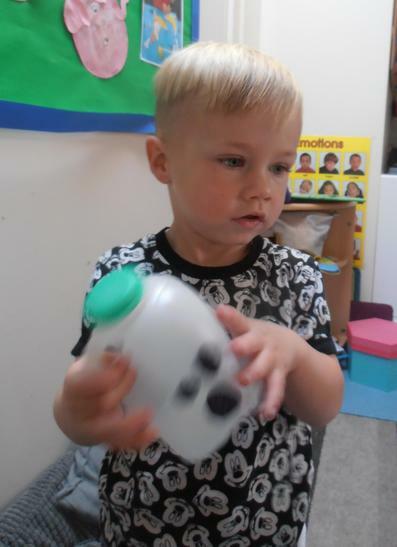 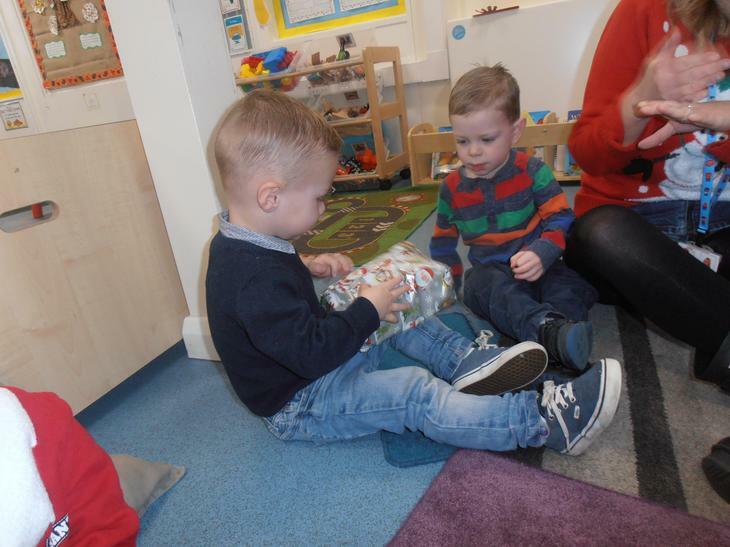 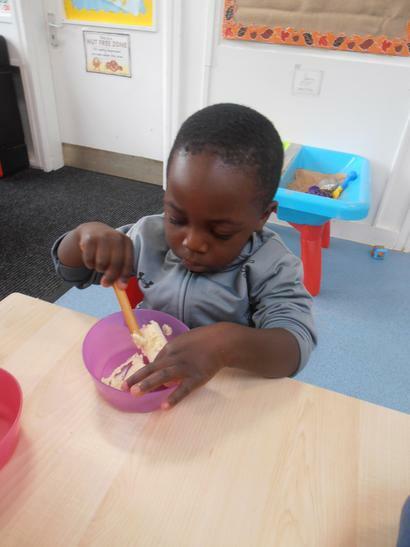 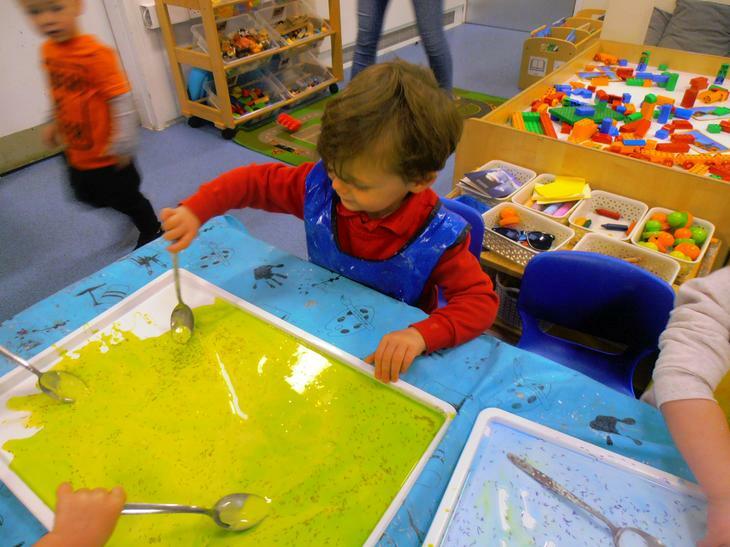 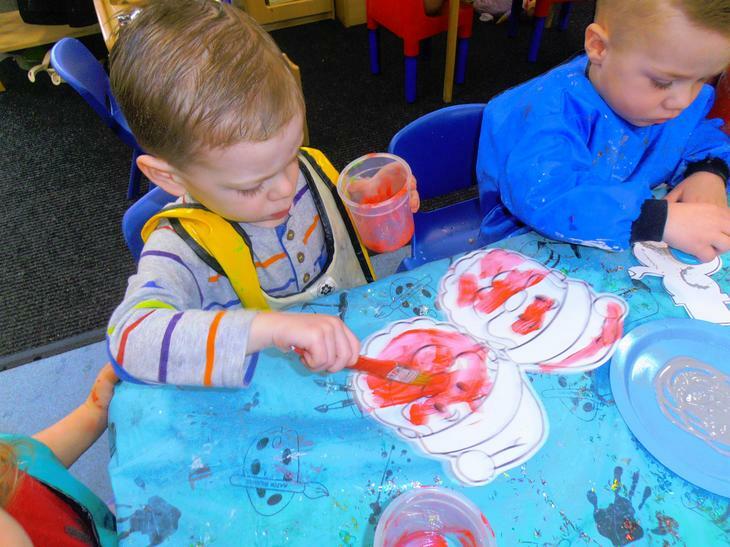 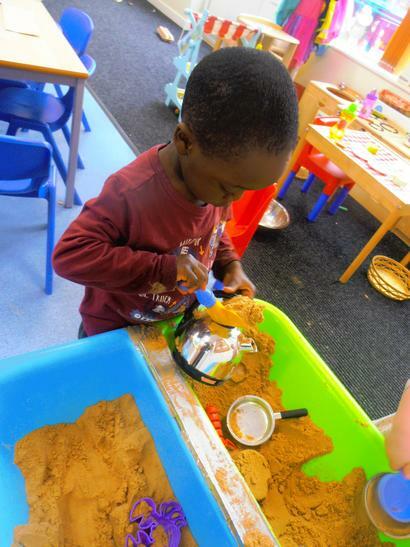 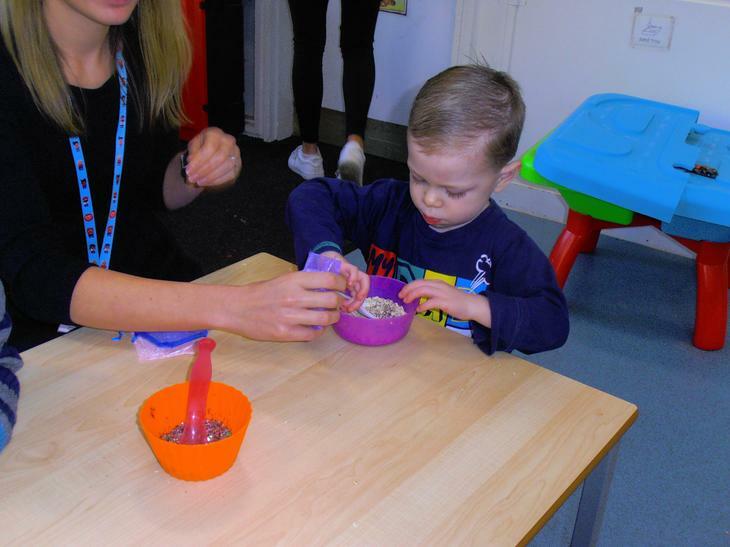 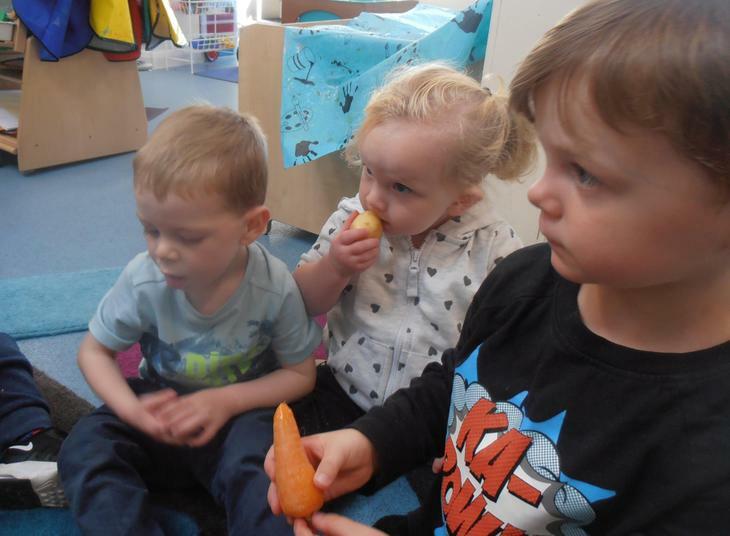 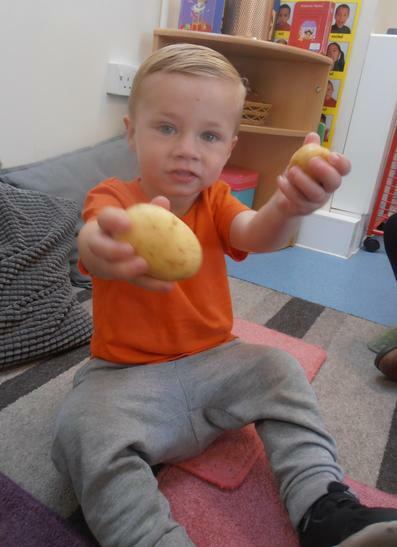 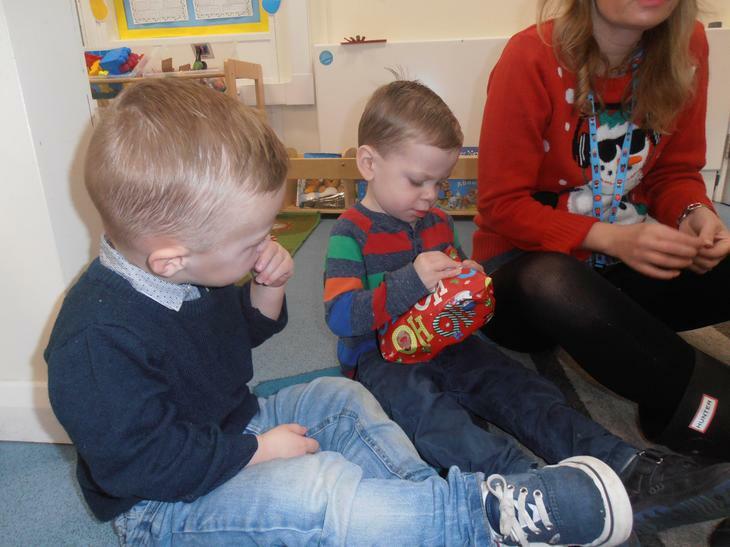 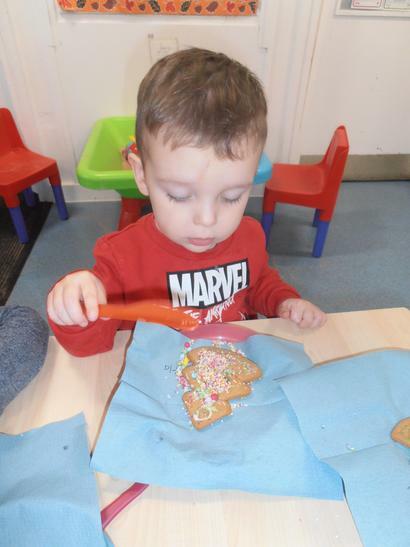 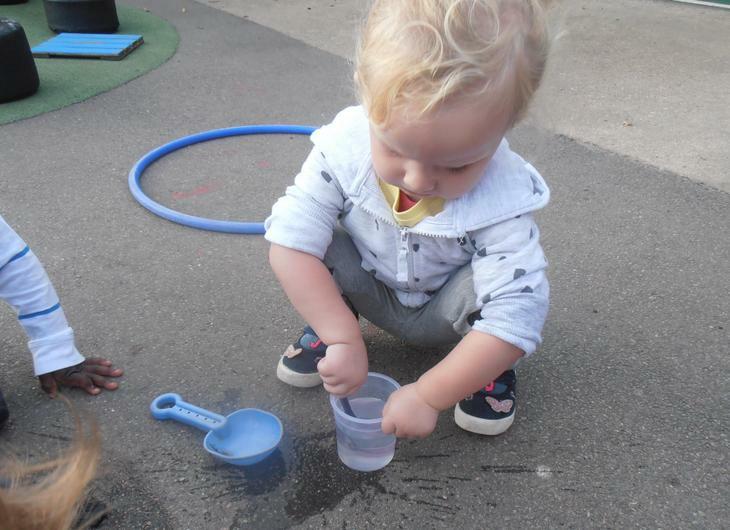 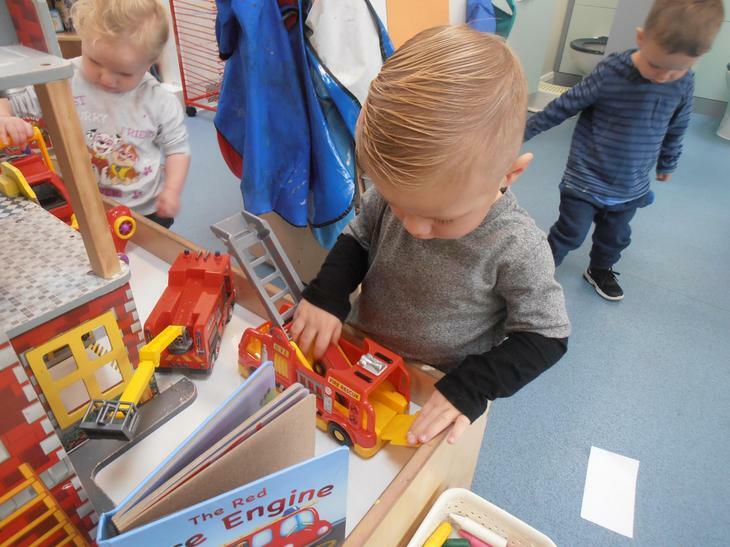 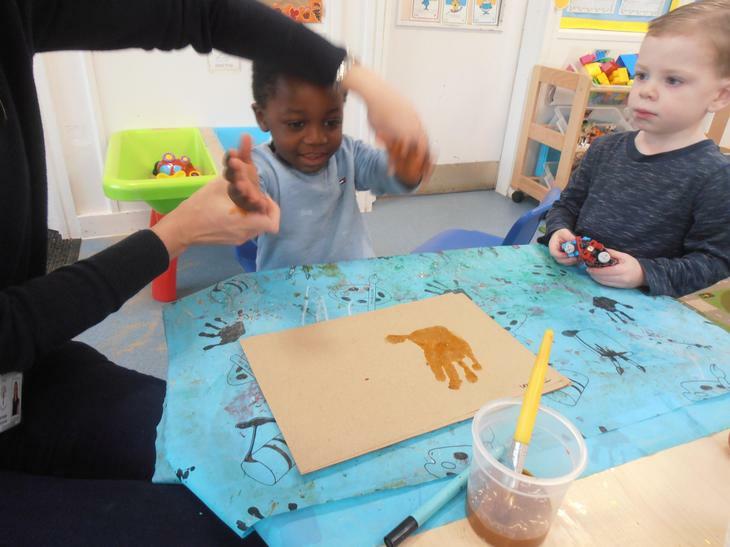 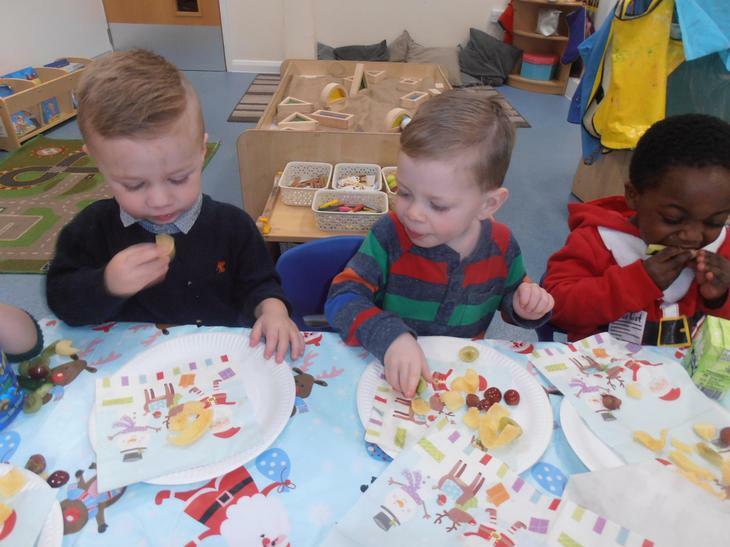 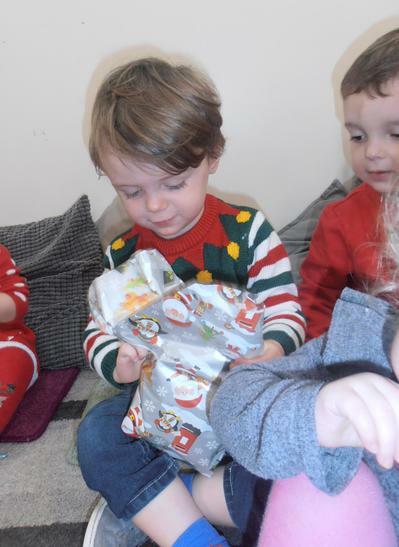 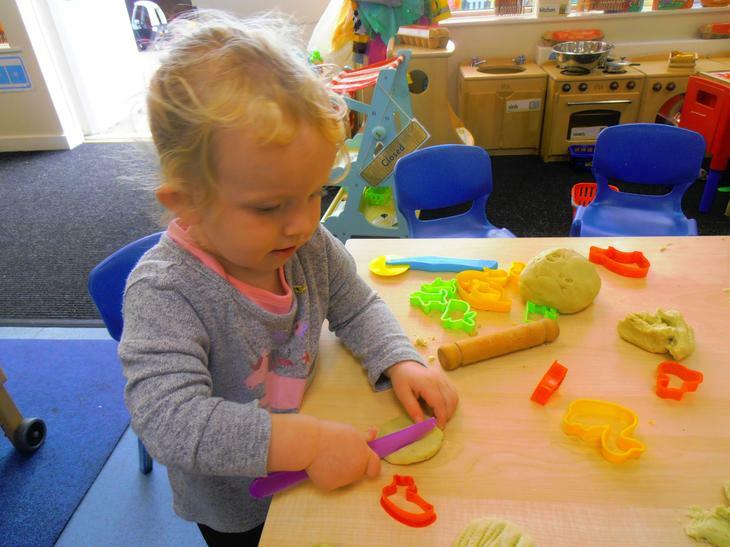 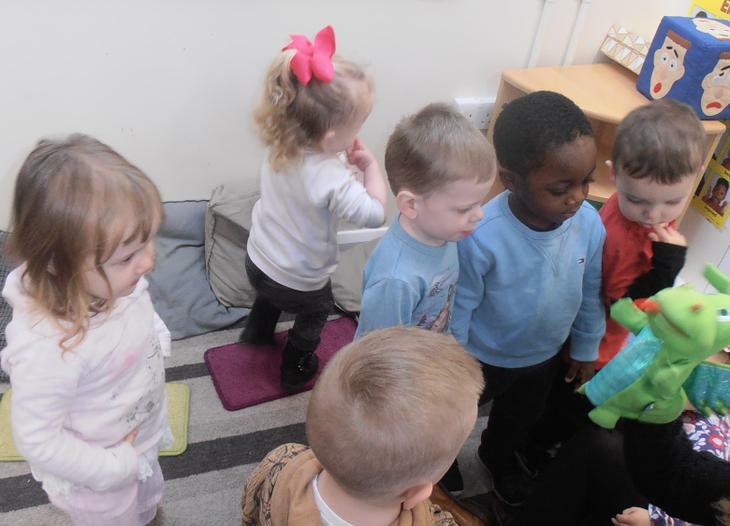 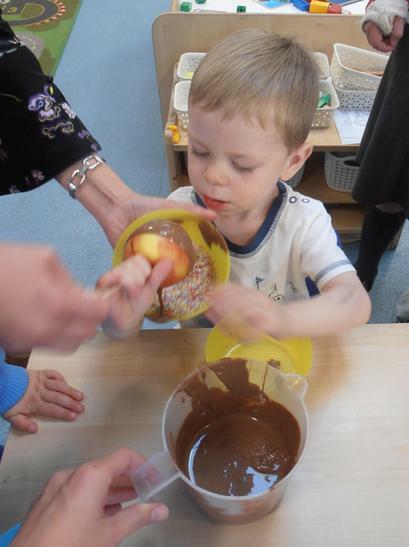 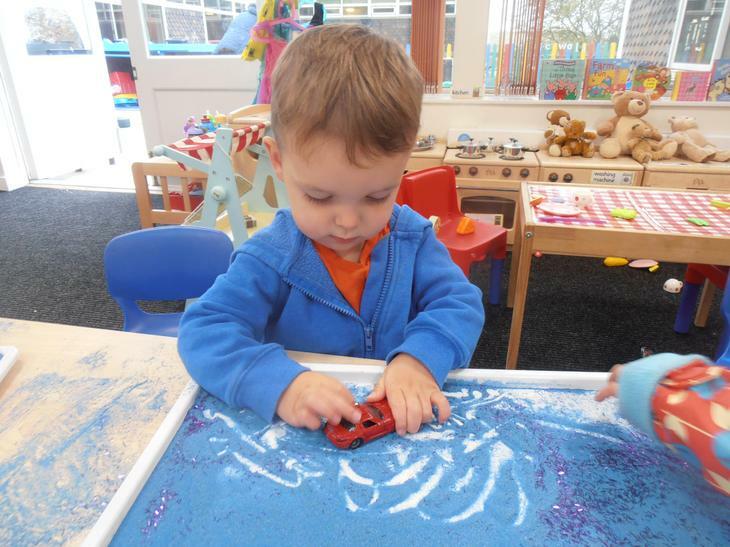 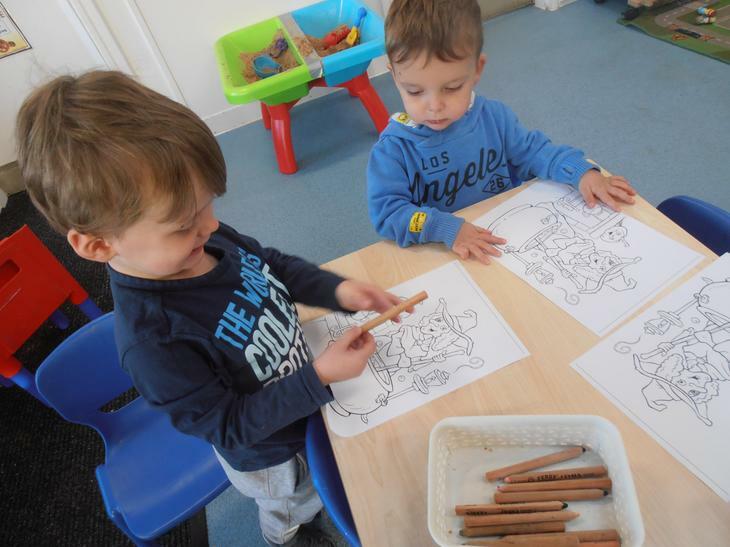 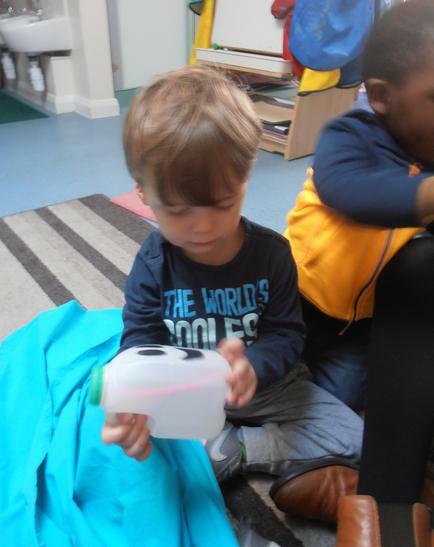 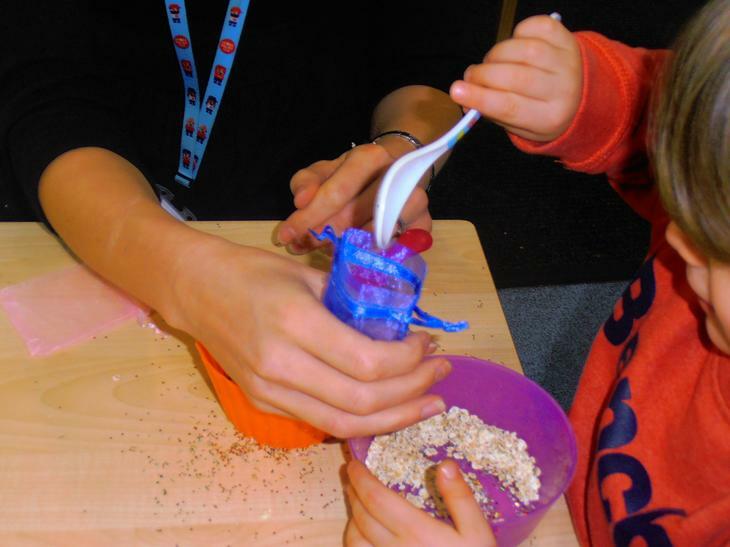 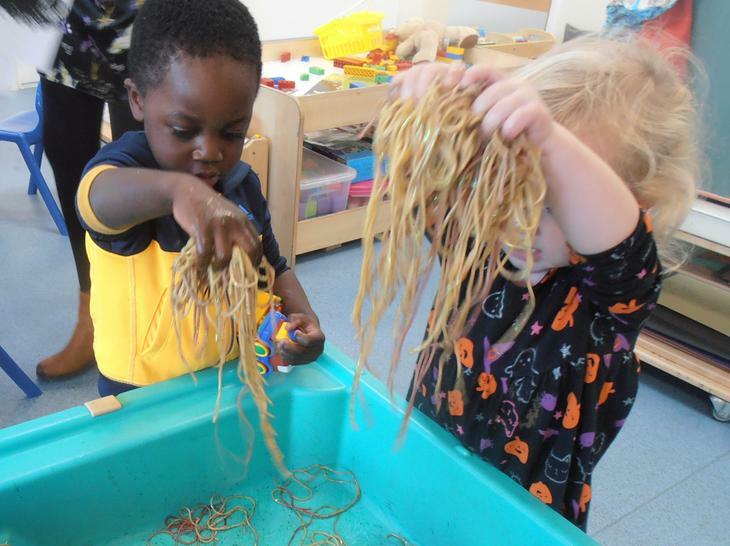 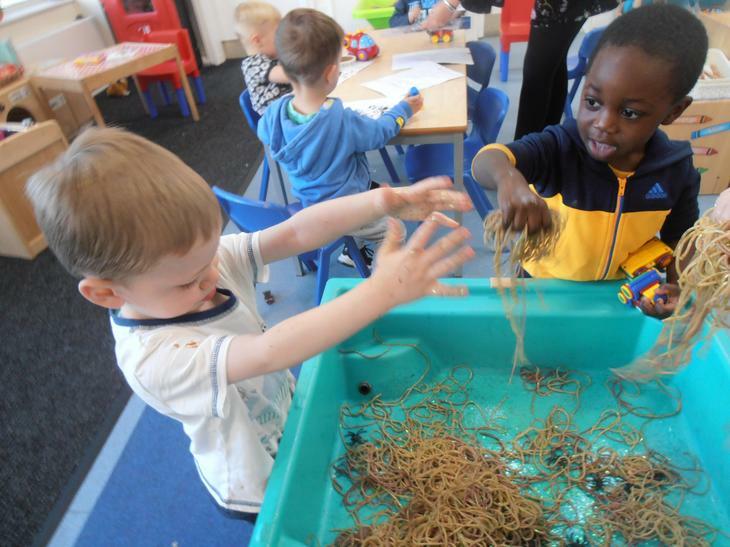 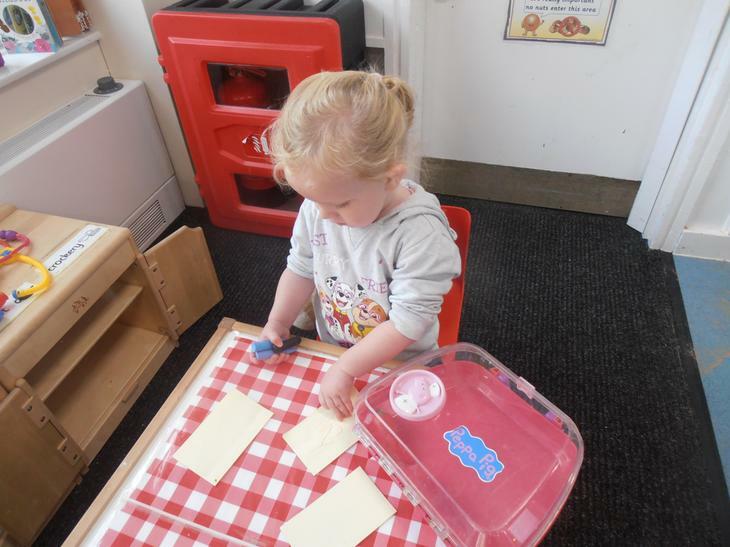 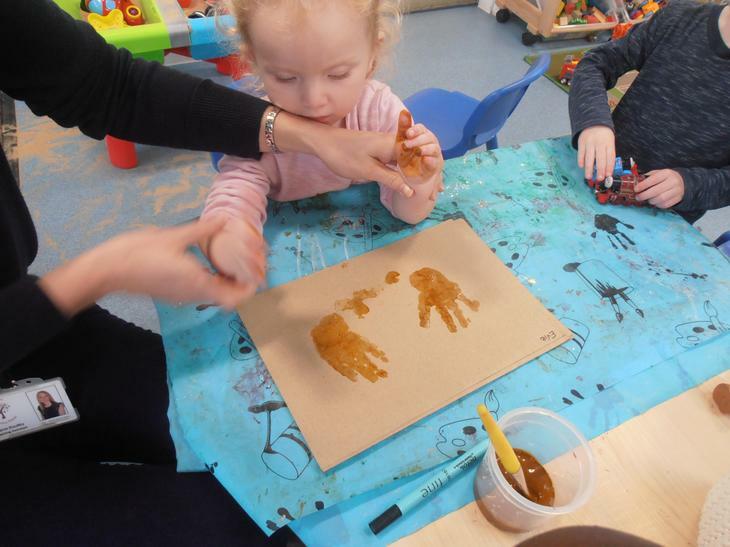 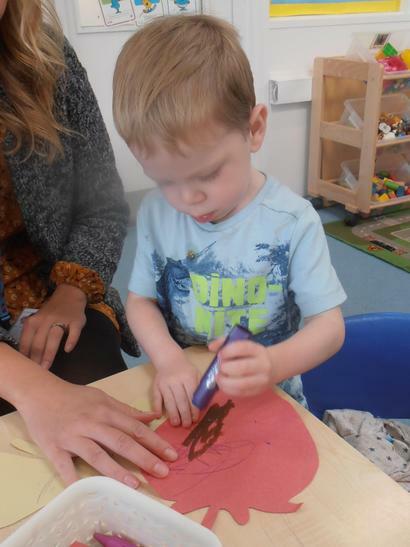 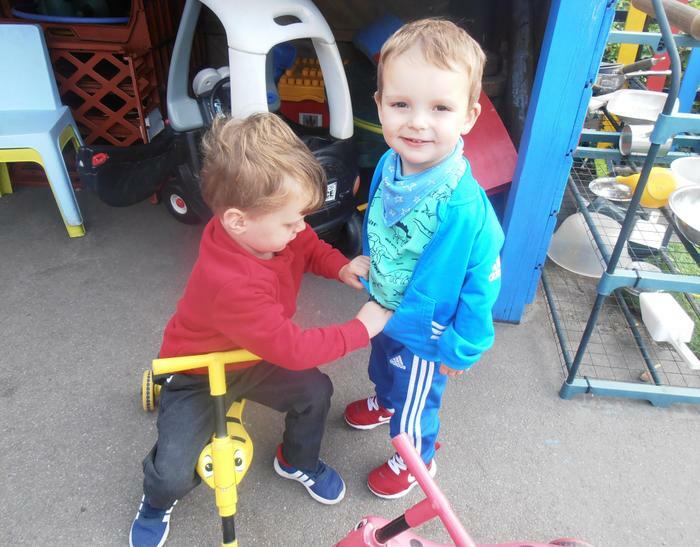 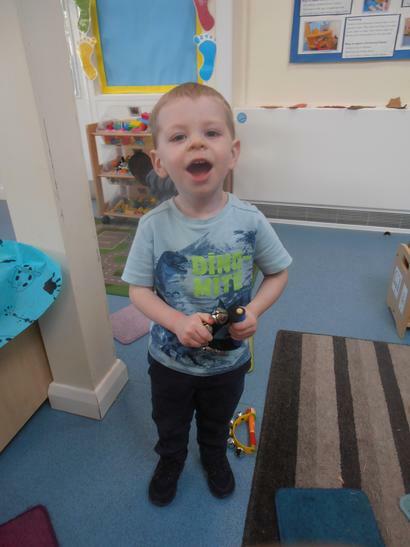 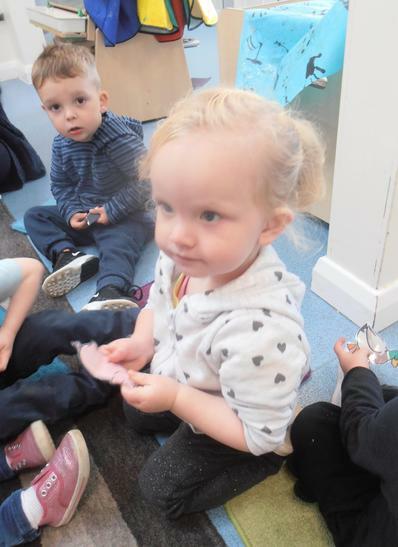 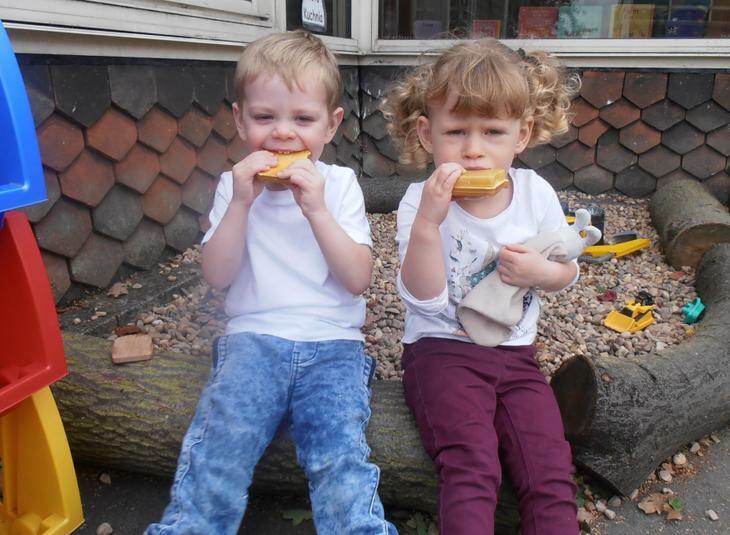 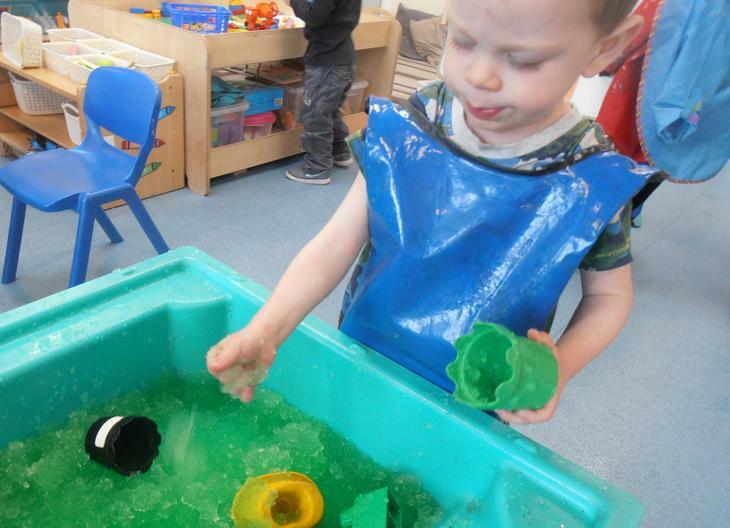 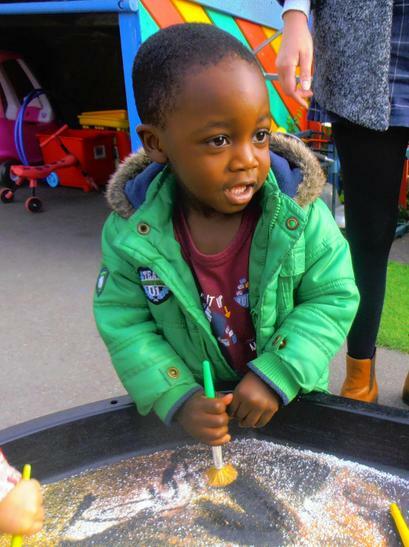 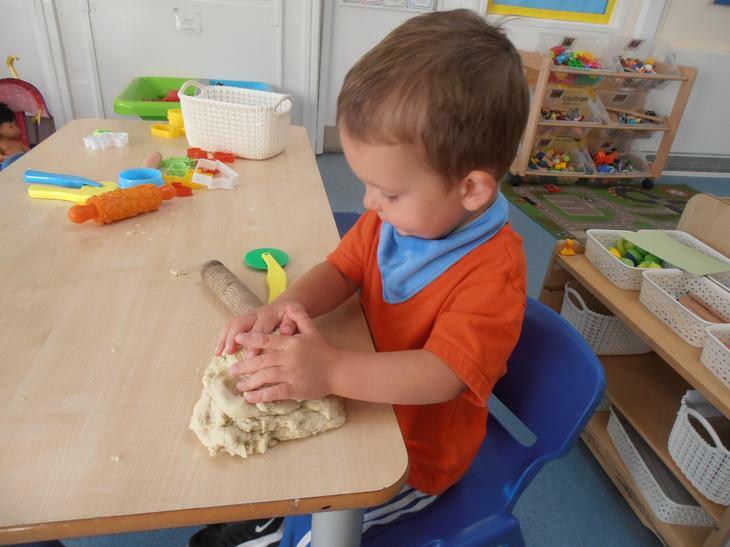 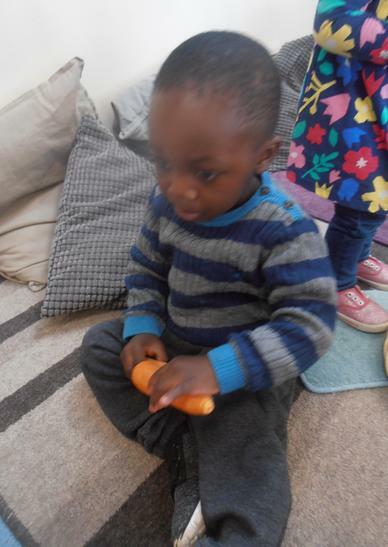 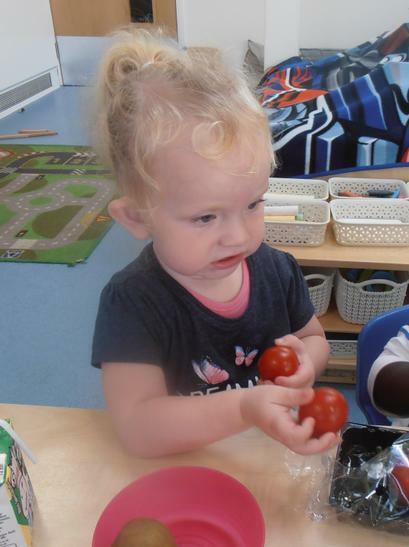 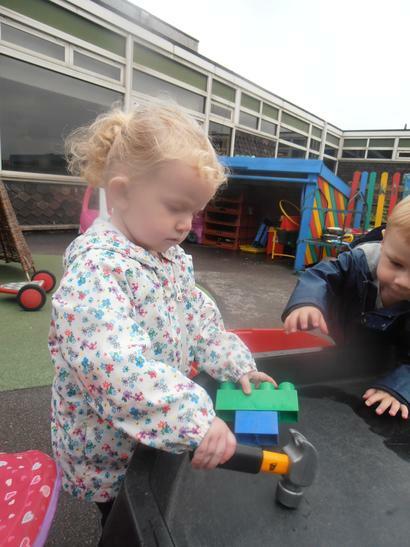 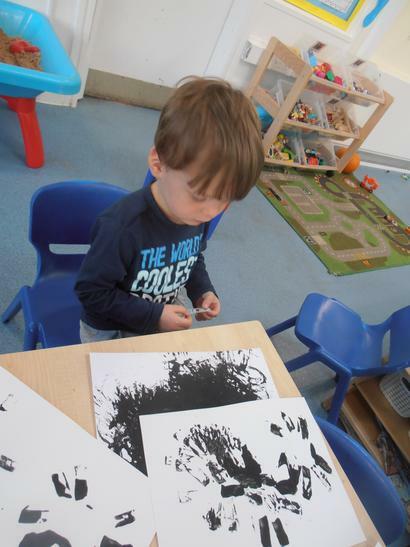 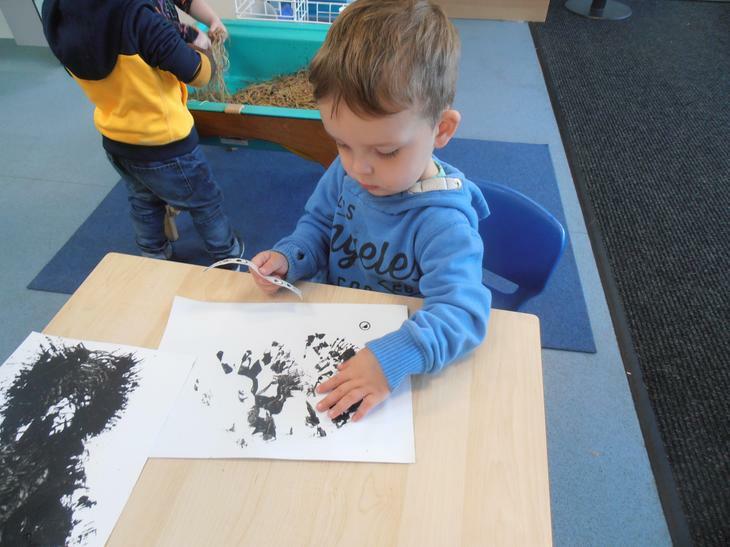 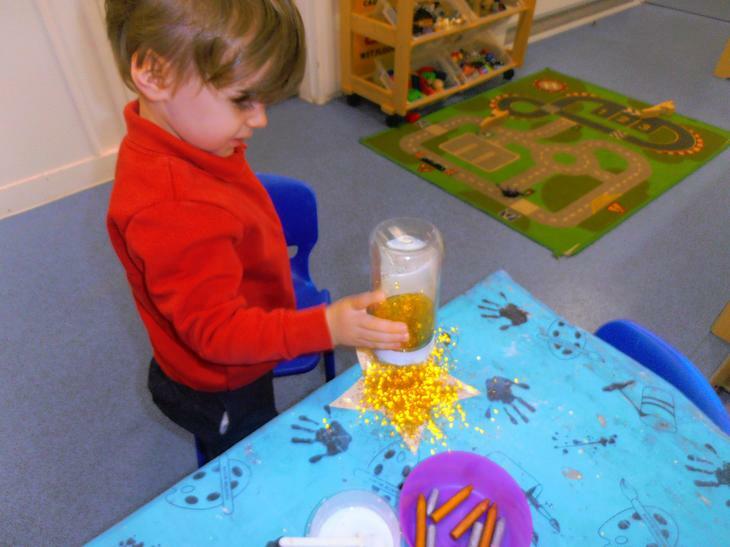 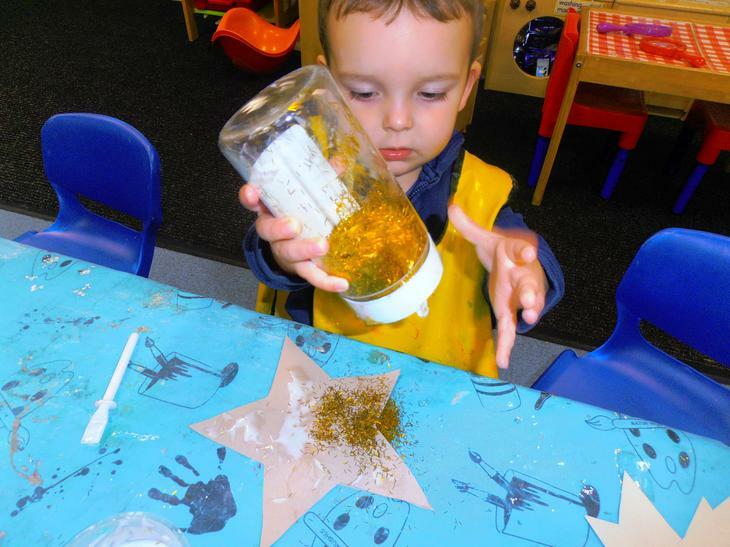 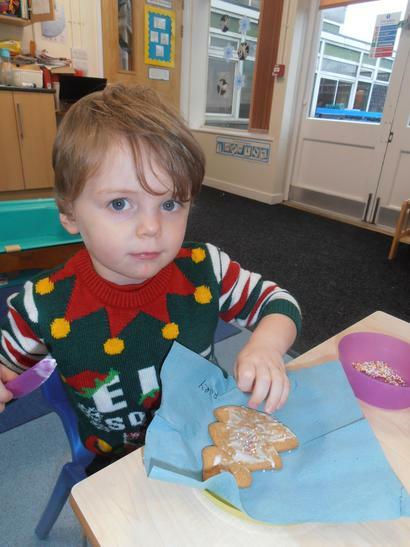 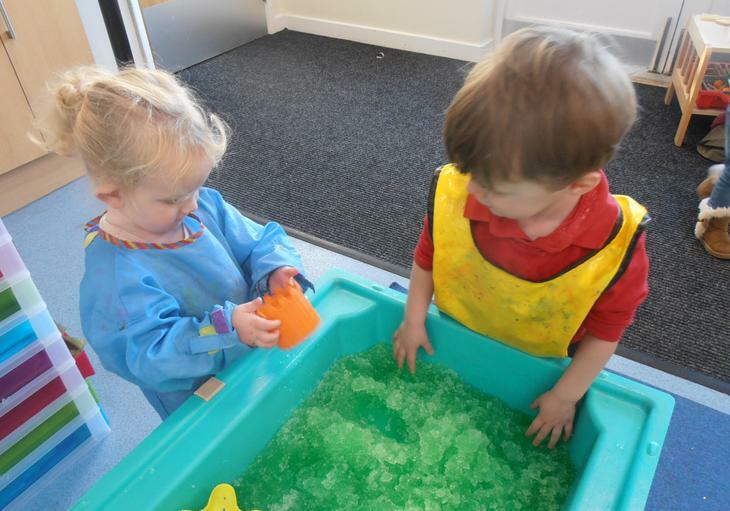 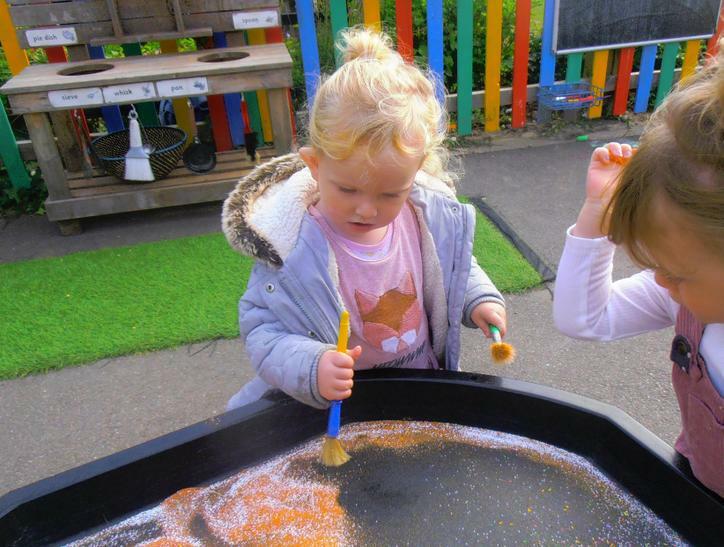 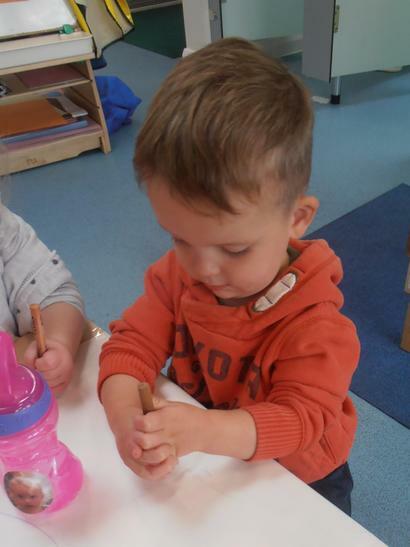 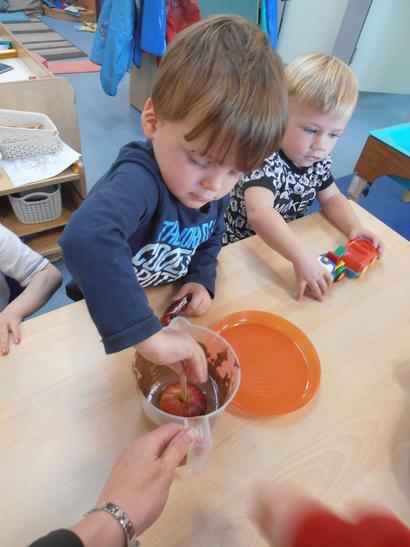 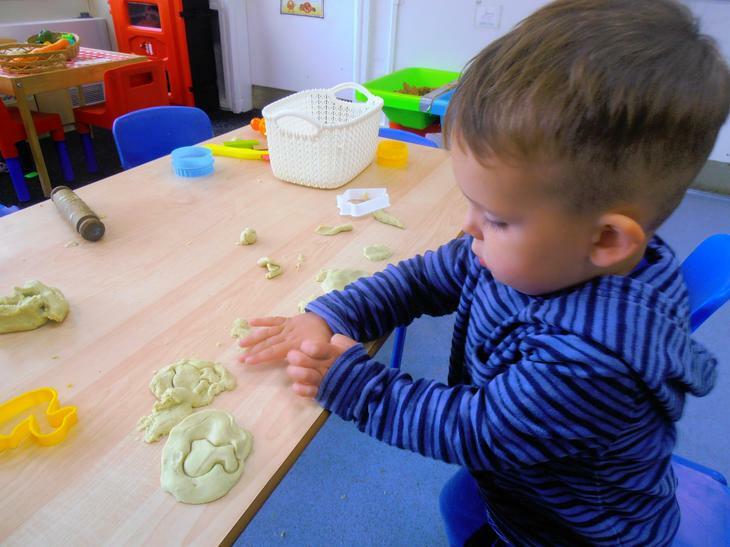 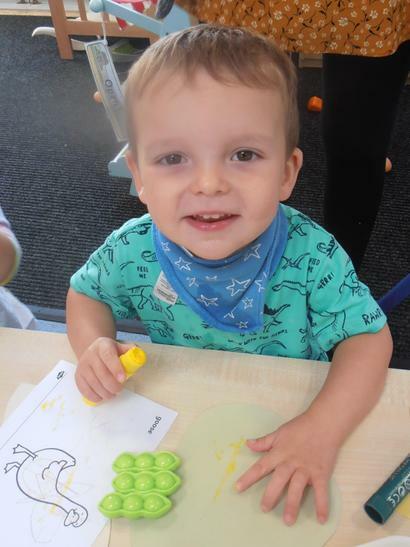 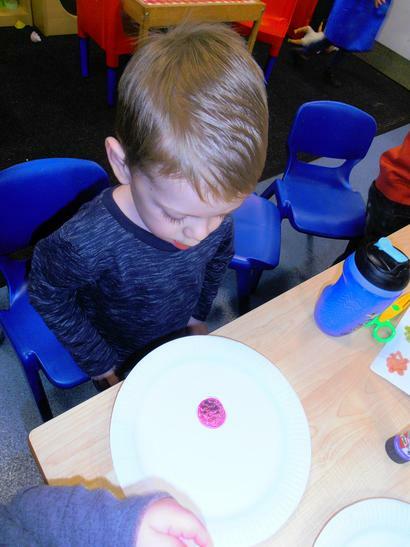 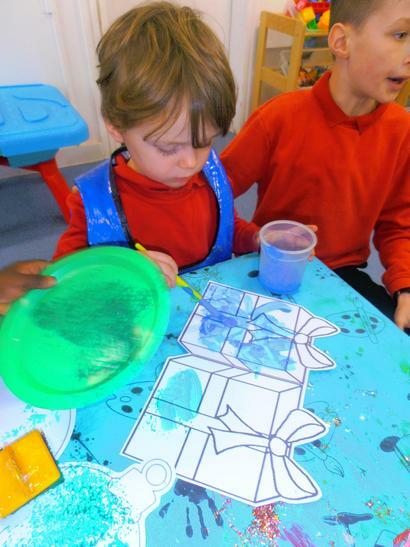 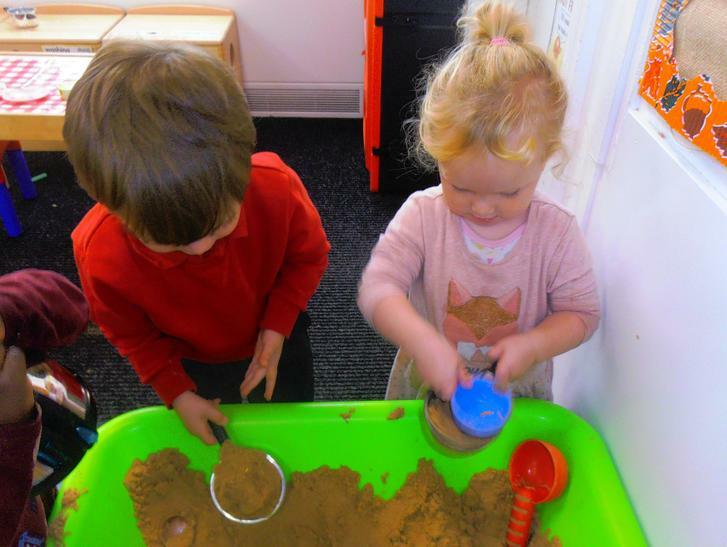 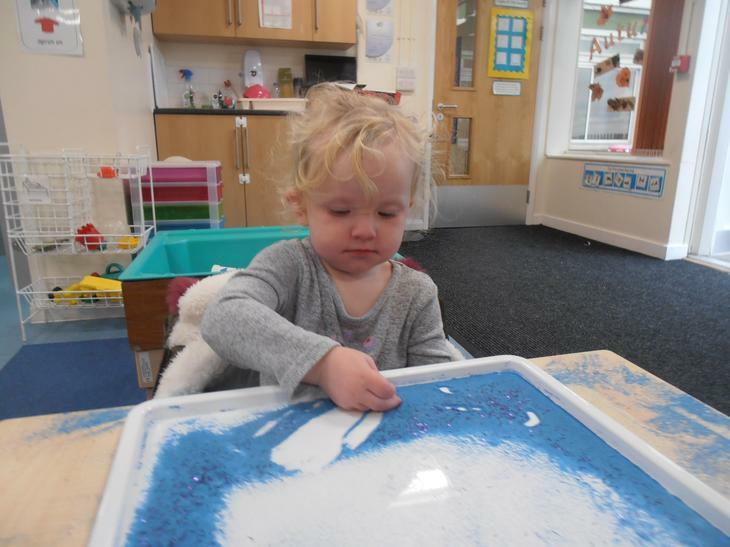 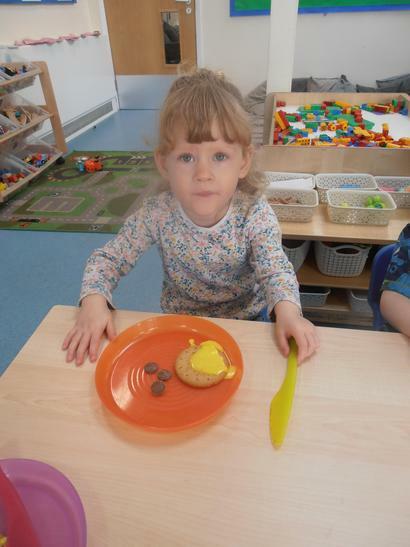 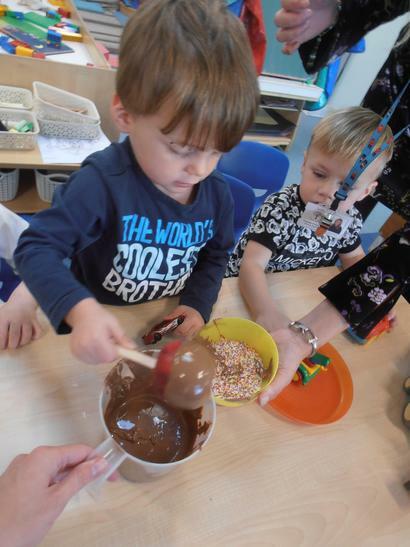 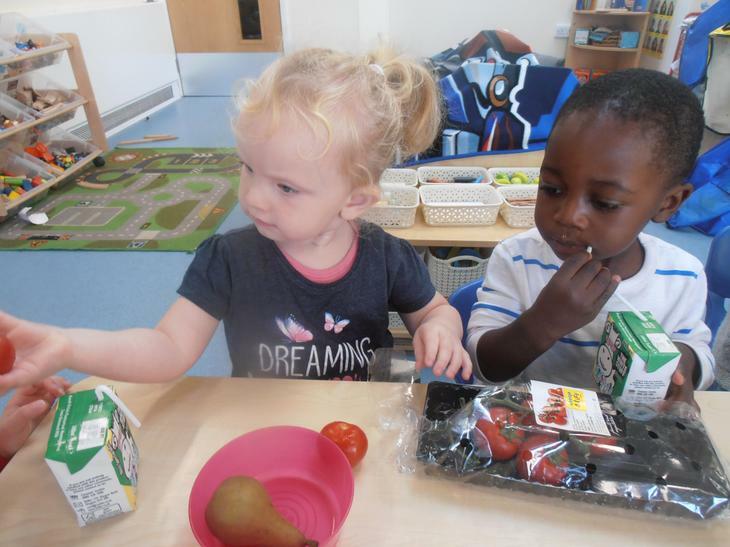 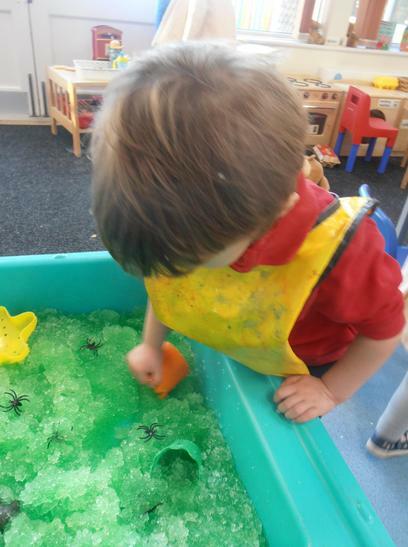 We take part in lots of fun activities such as playdough, painting, building, sand and water play, all the time practicing and mastering early skills which will be used throughout school. 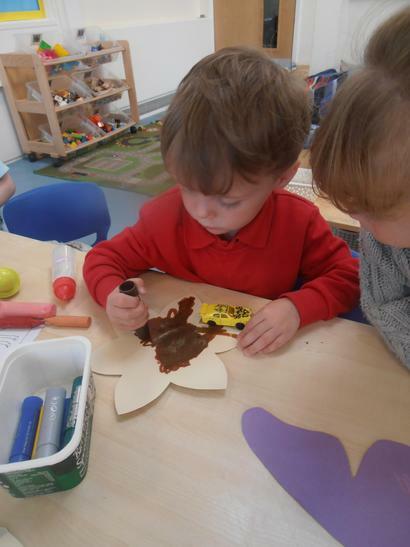 Big Me Week - We did activities about people who help us. 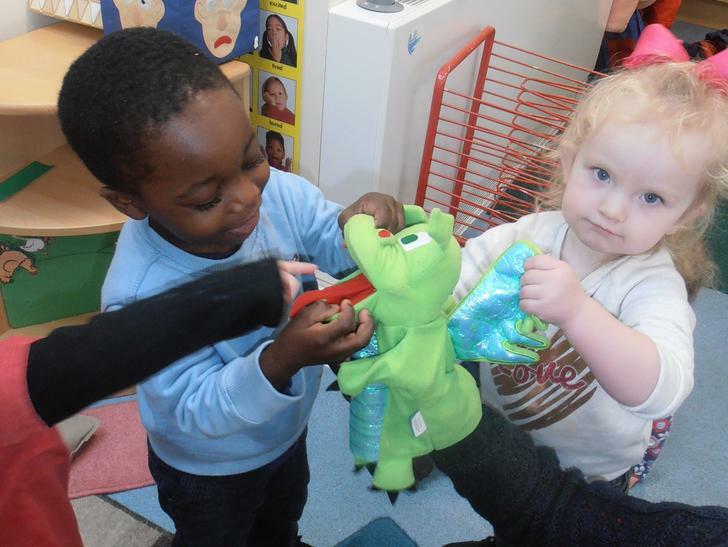 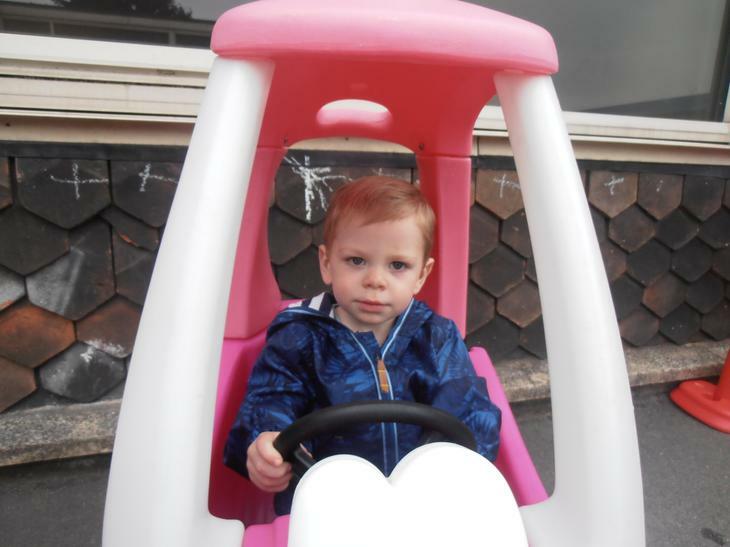 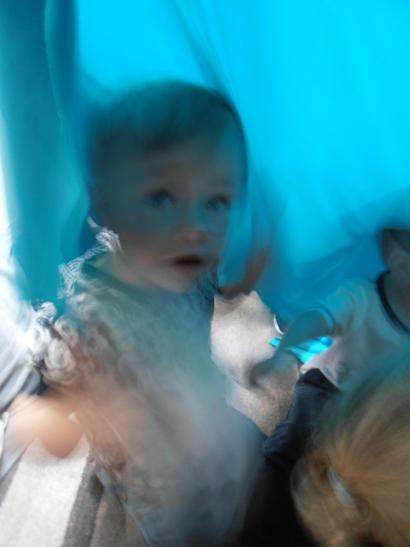 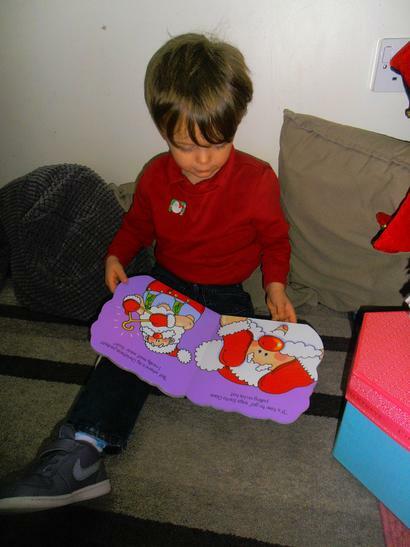 Useful tips to support children's early speech and language development. 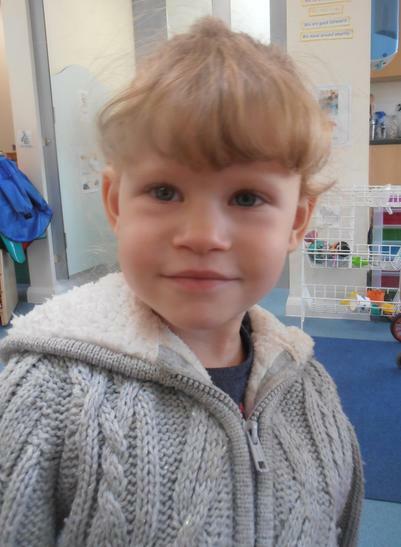 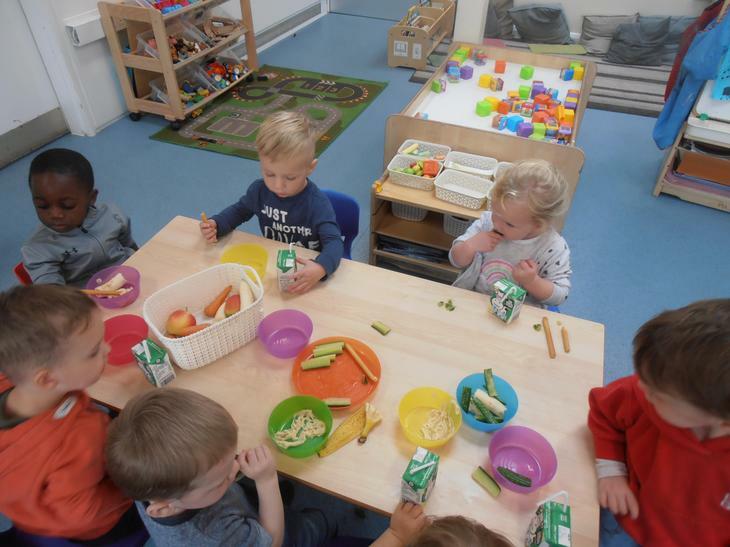 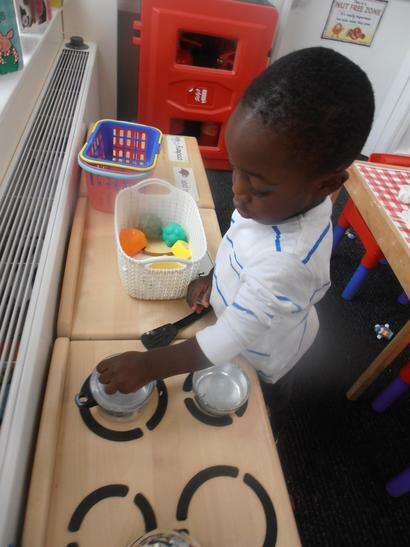 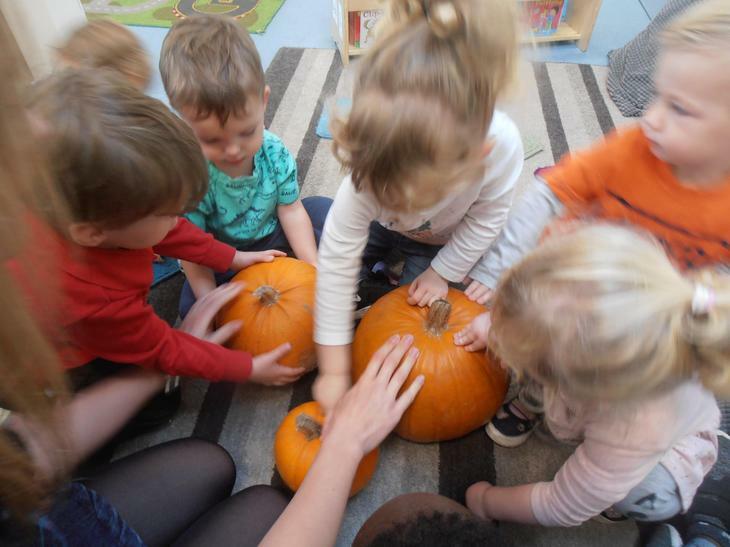 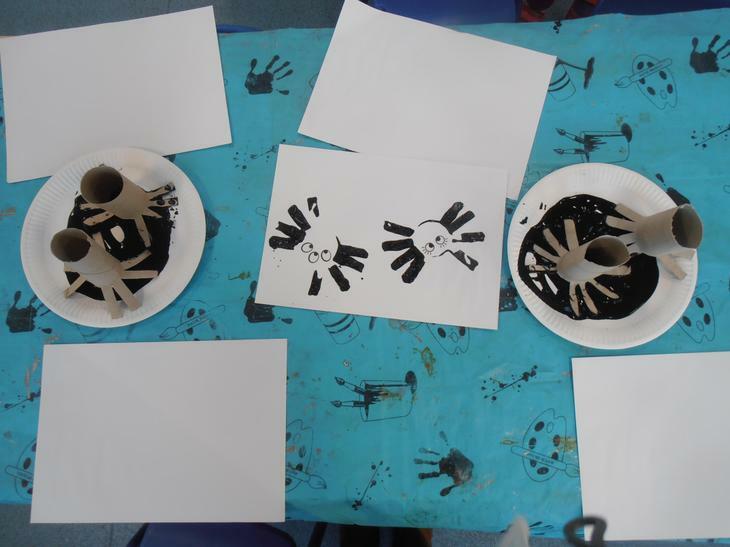 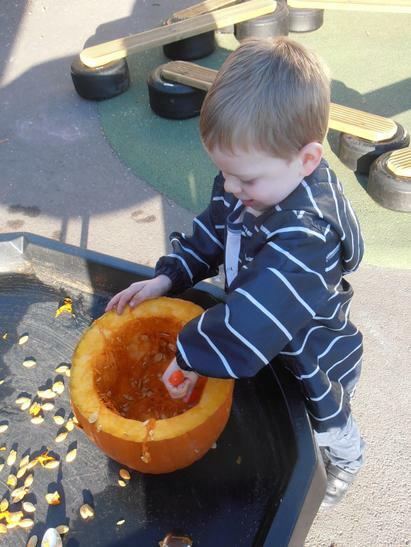 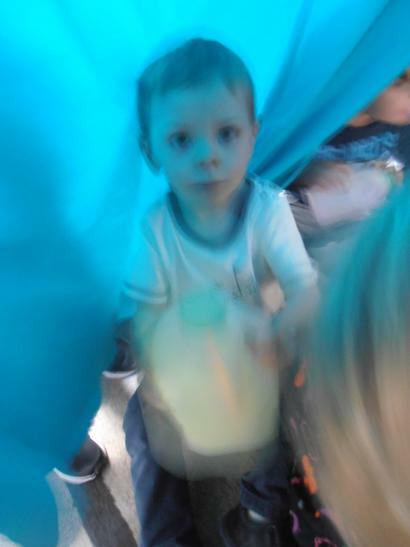 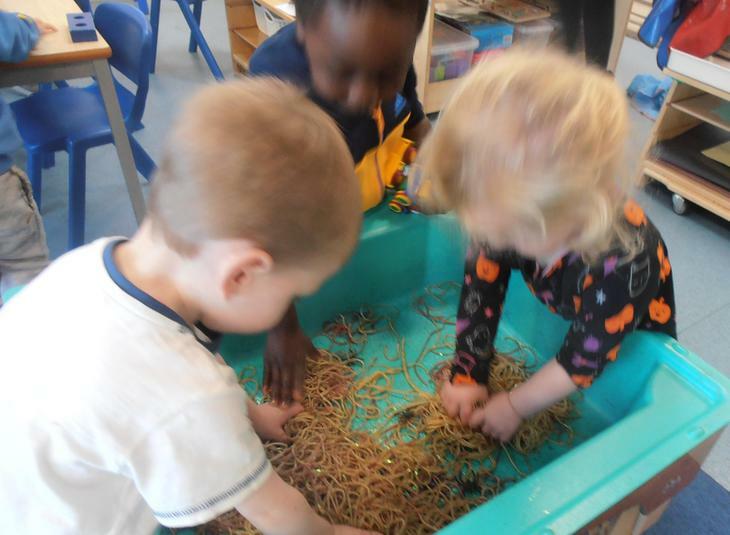 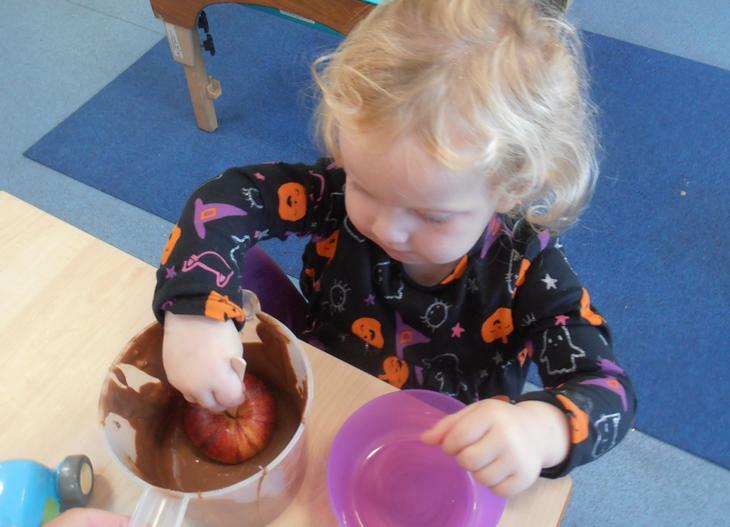 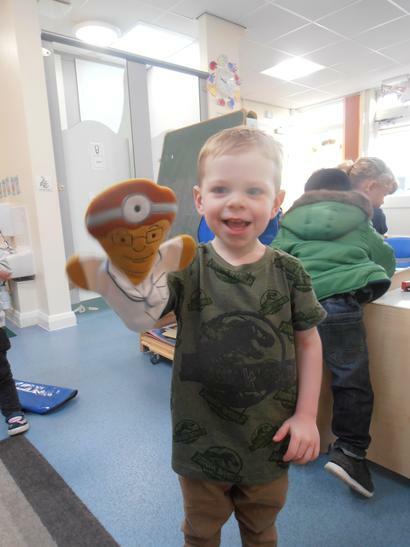 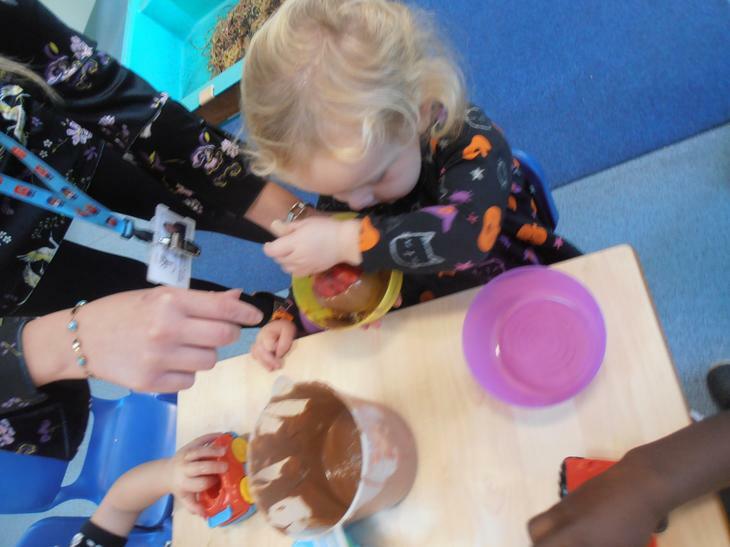 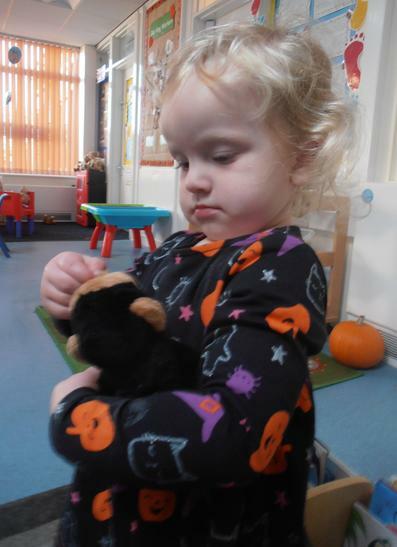 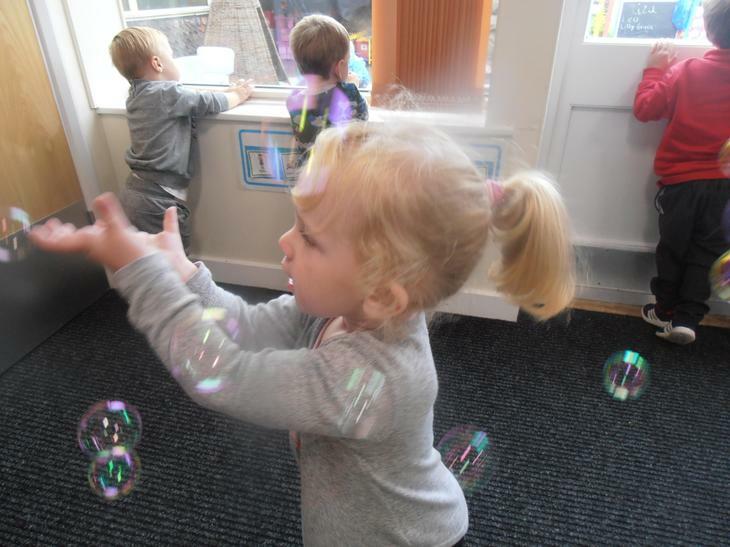 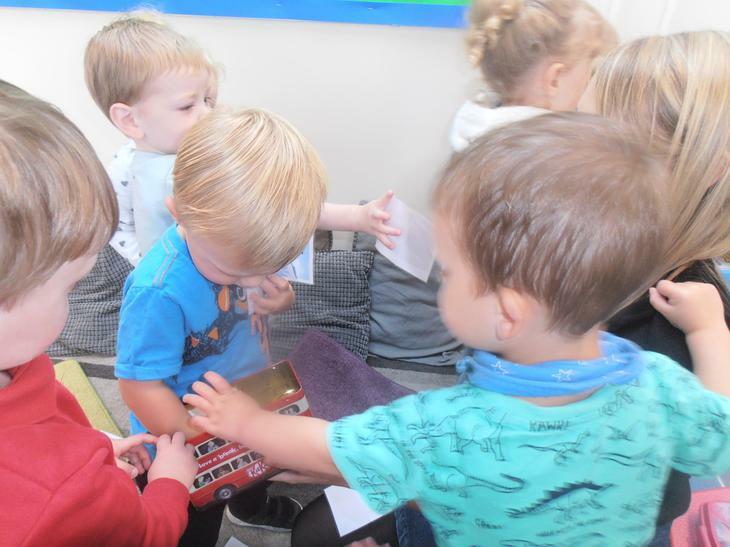 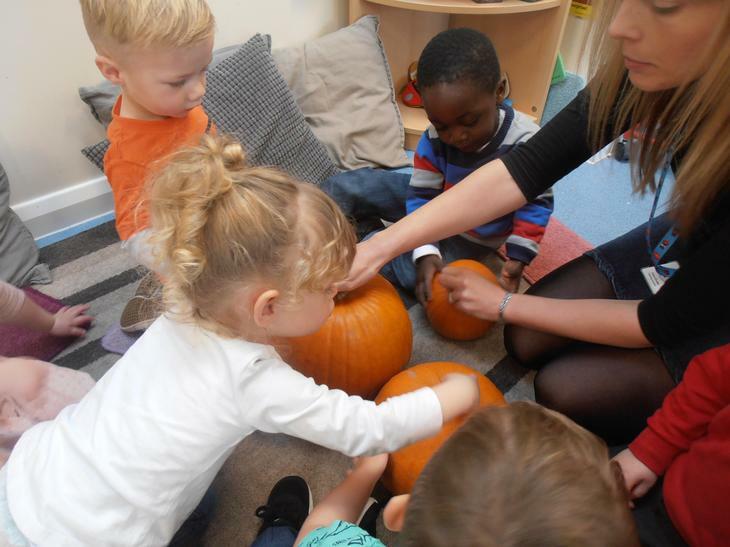 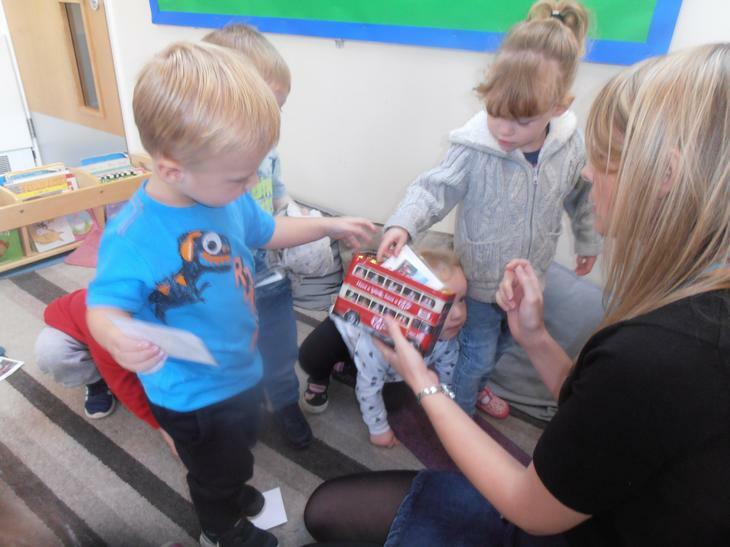 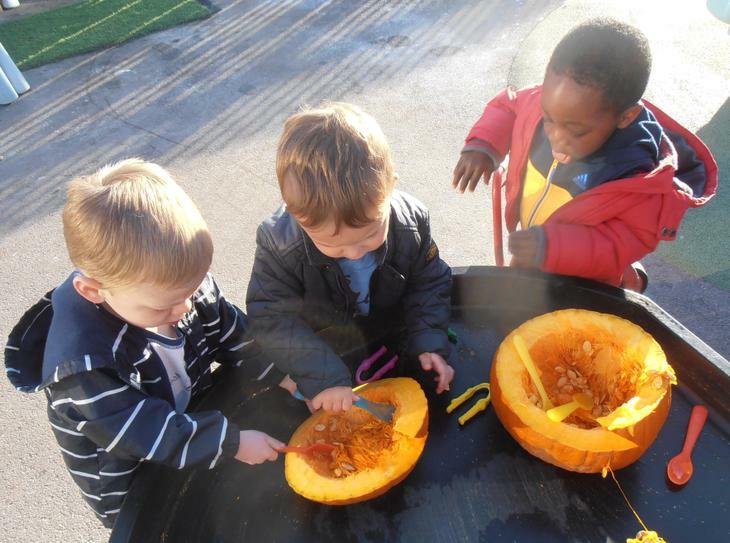 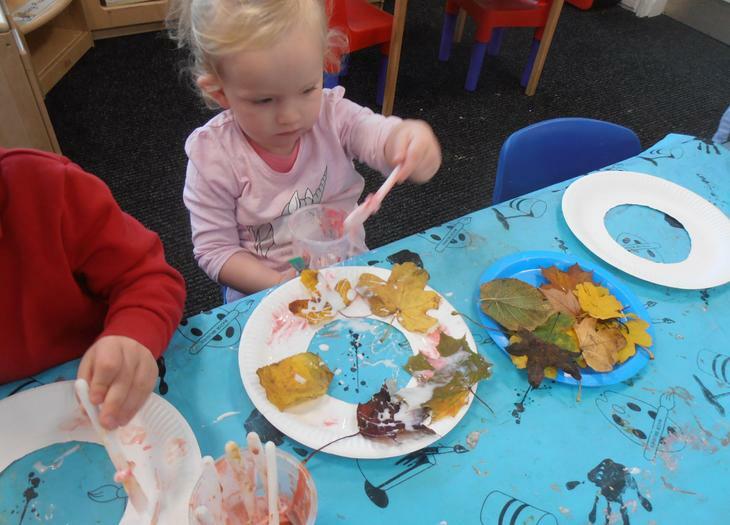 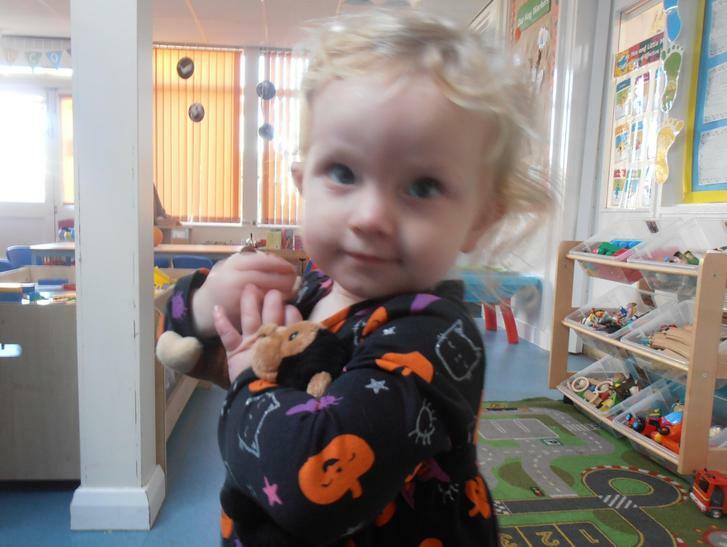 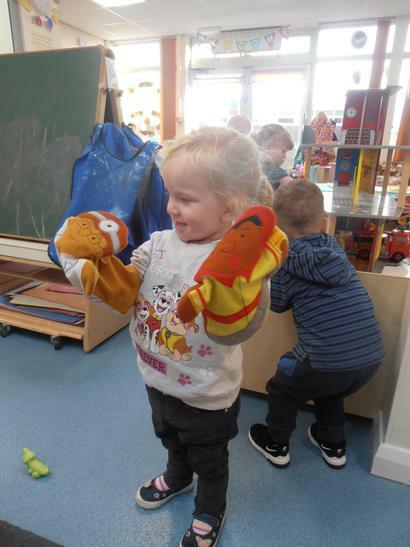 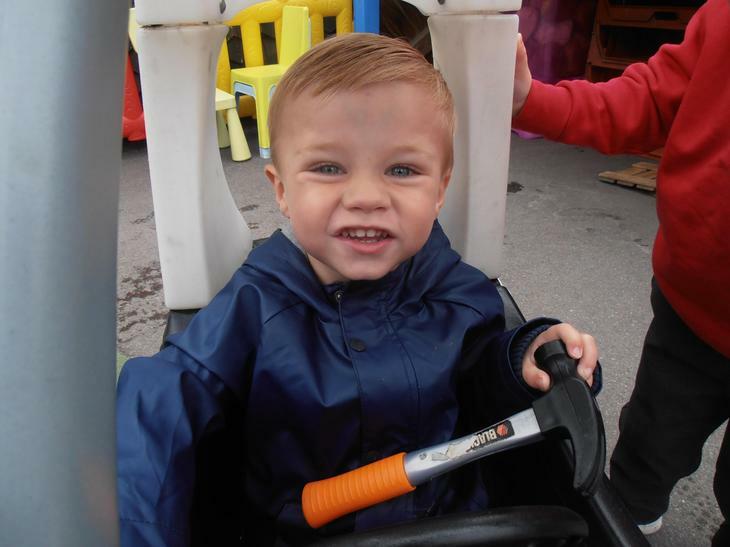 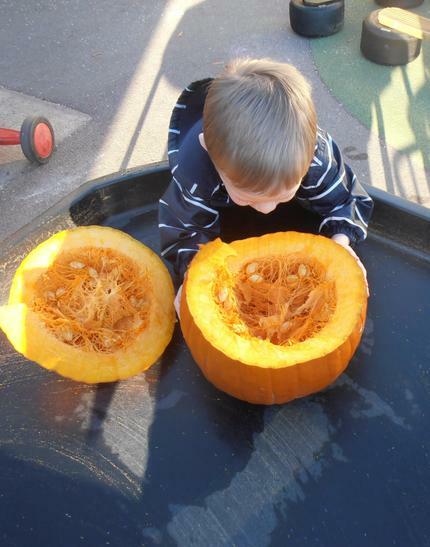 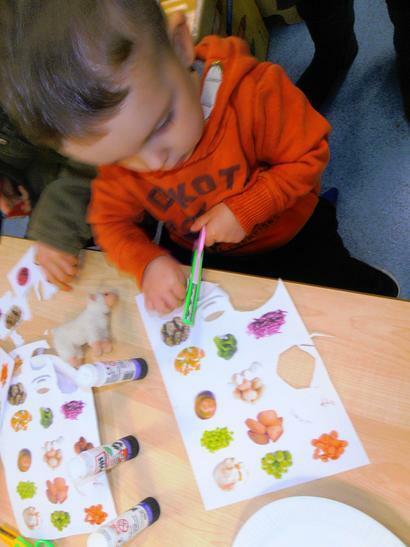 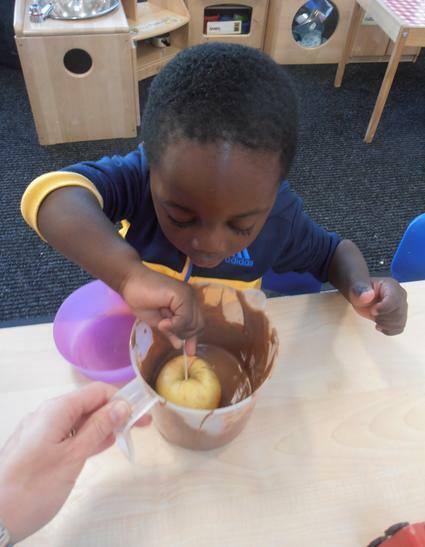 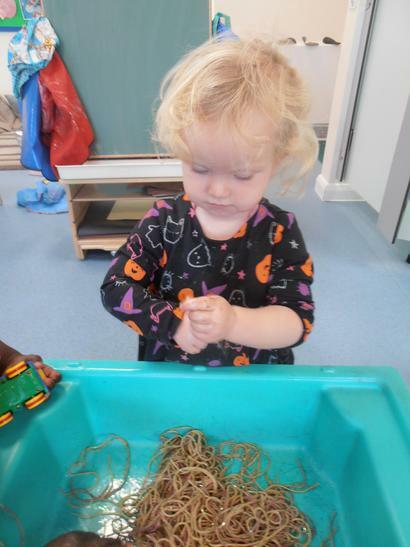 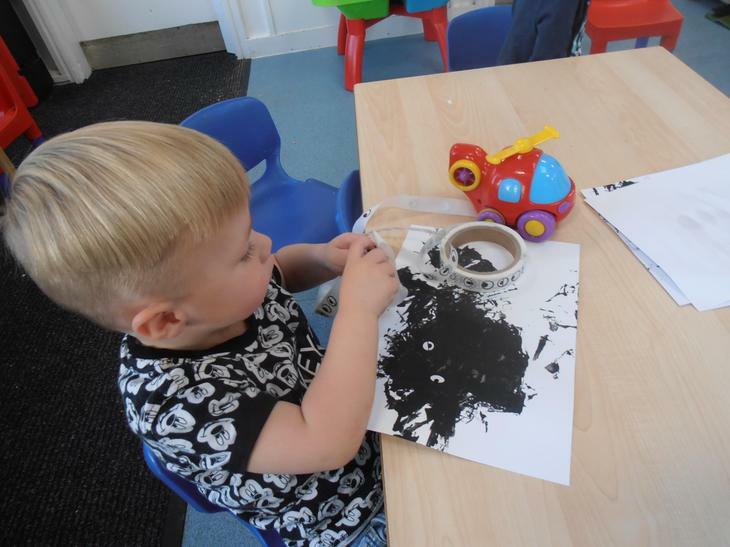 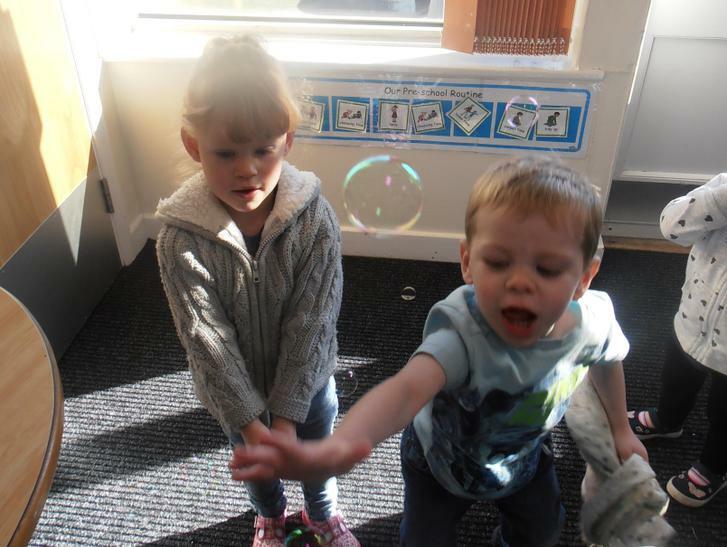 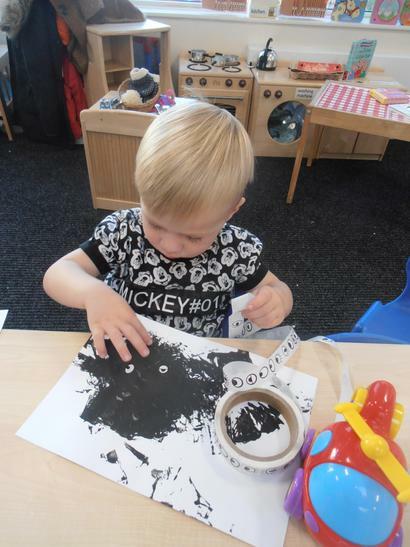 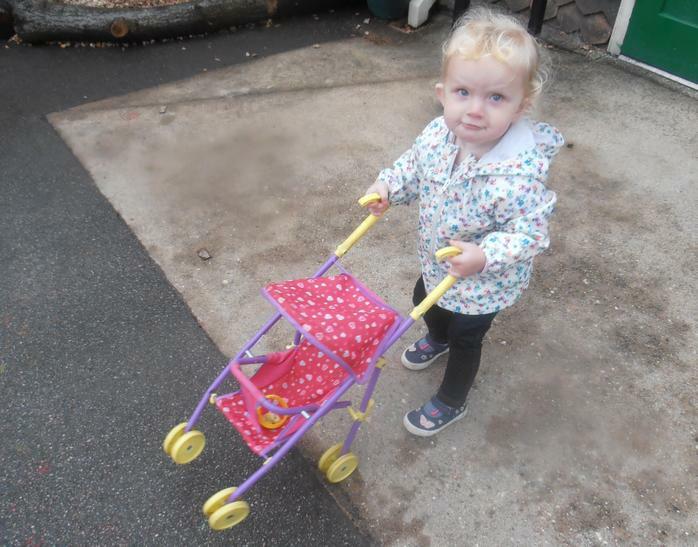 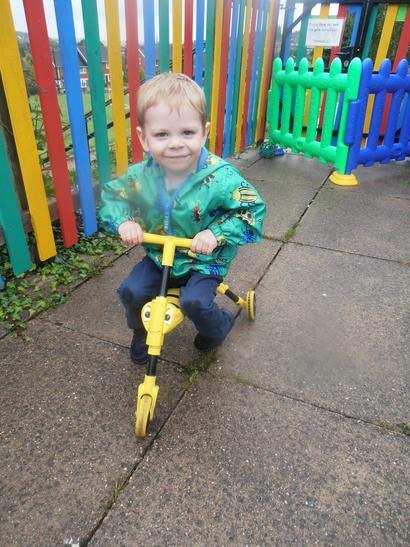 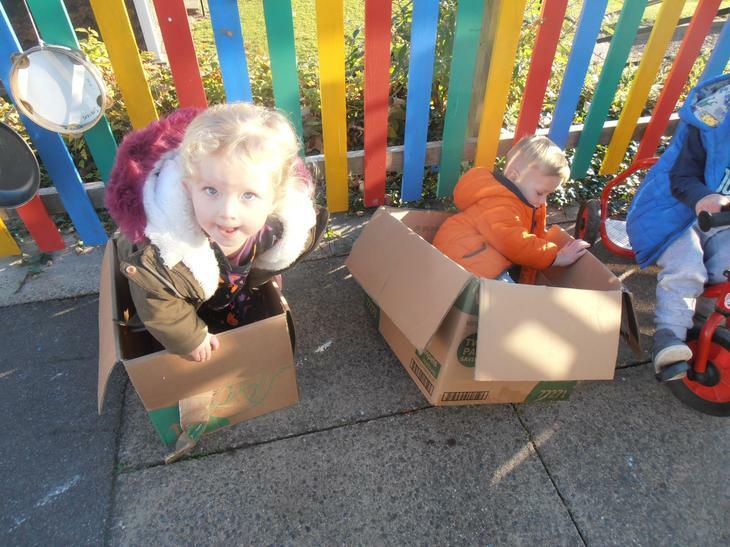 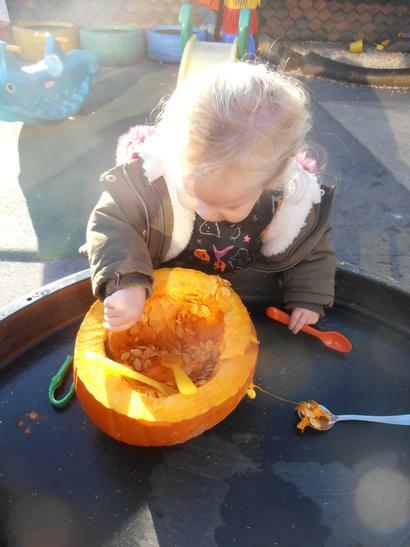 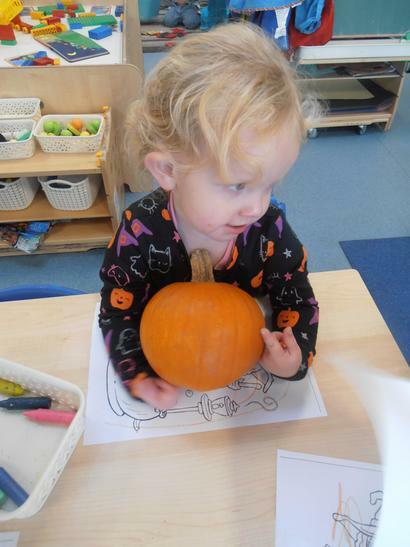 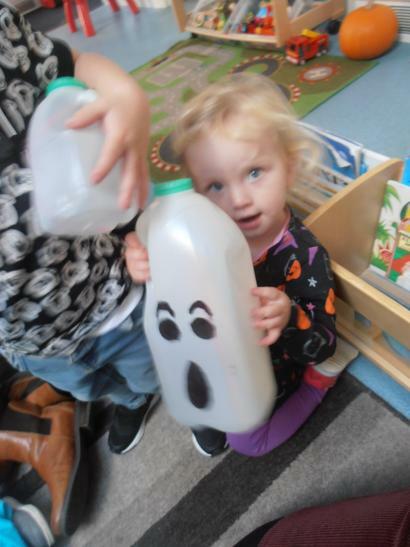 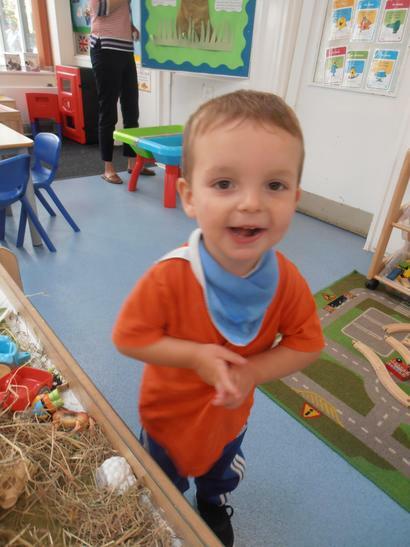 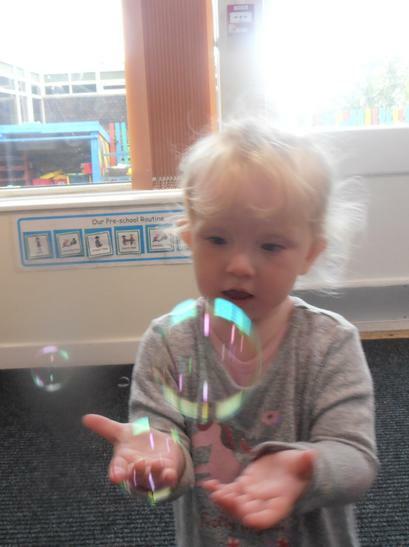 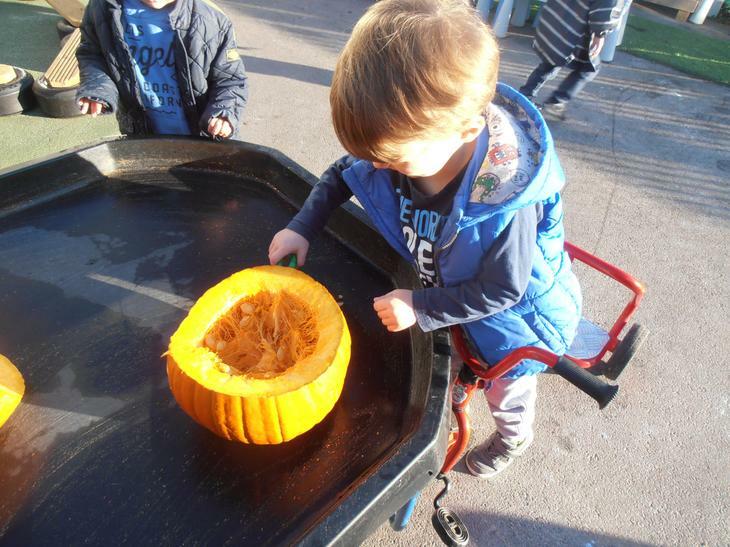 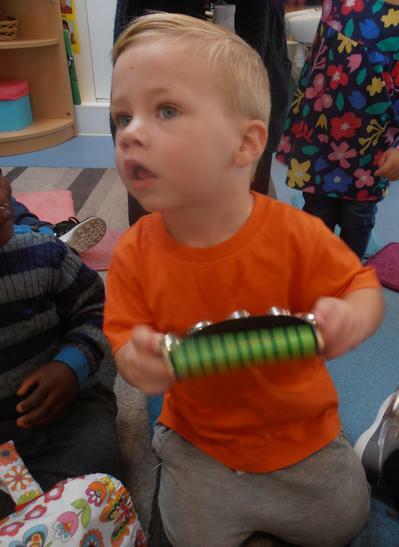 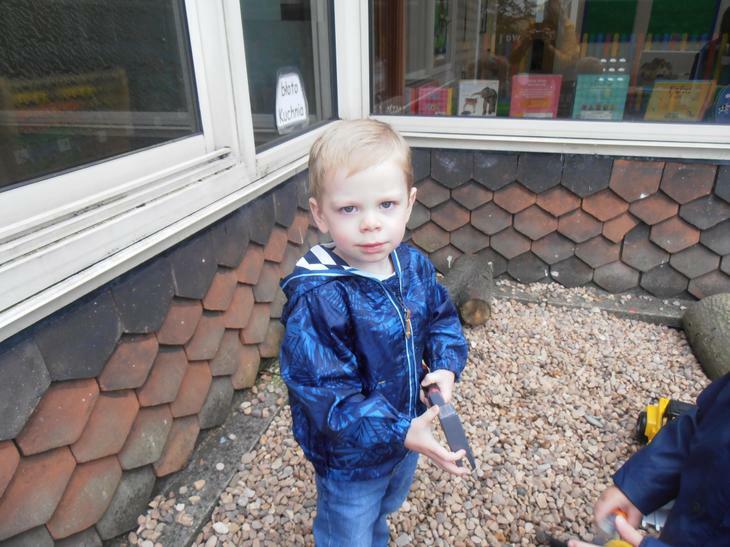 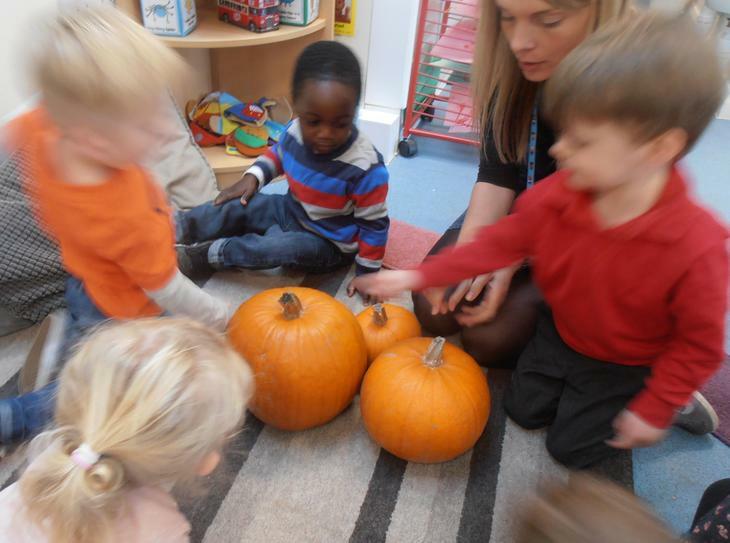 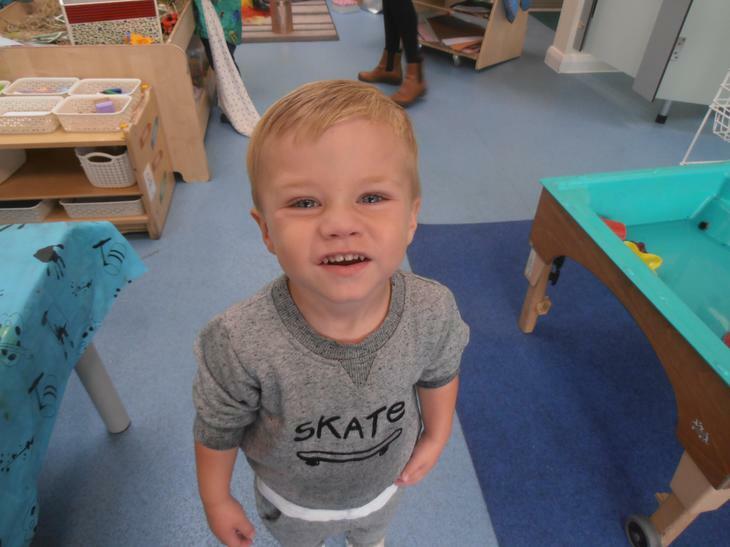 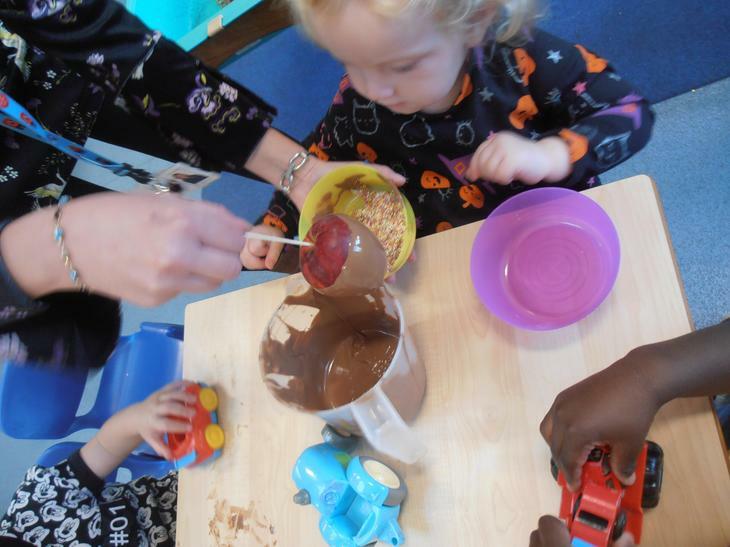 Hello October - another busy week at Pre-school! 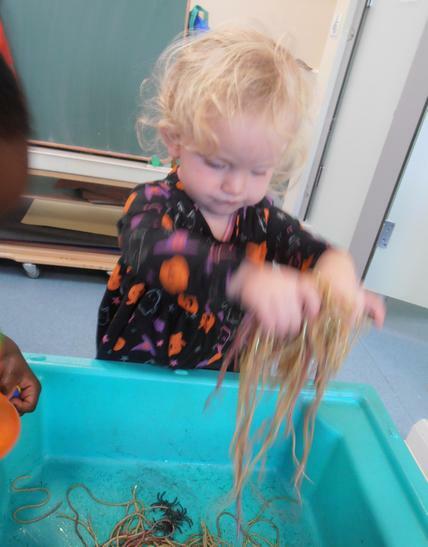 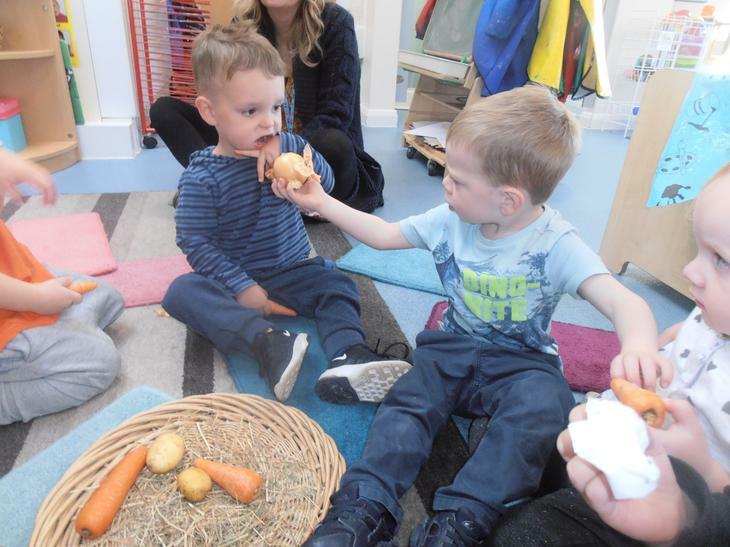 Harvest - Using our senses to learn about different vegetables. 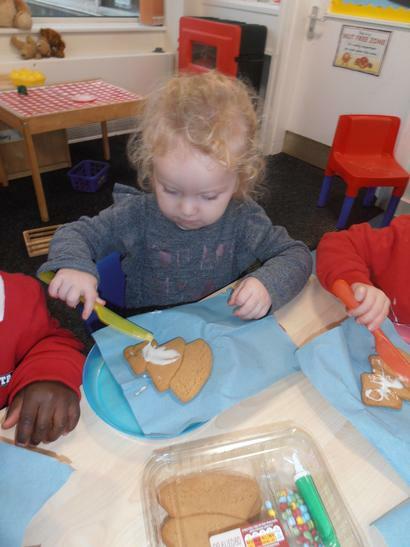 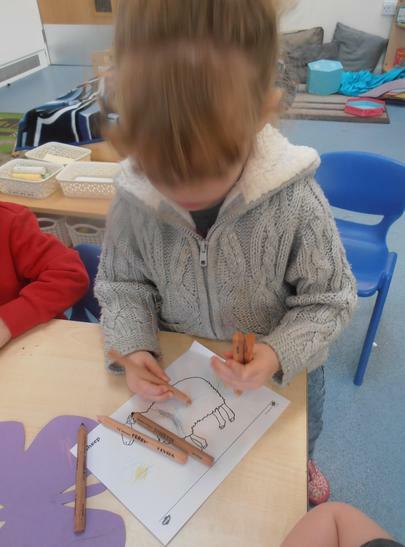 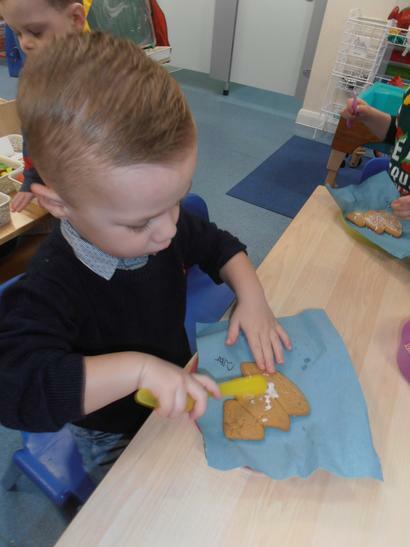 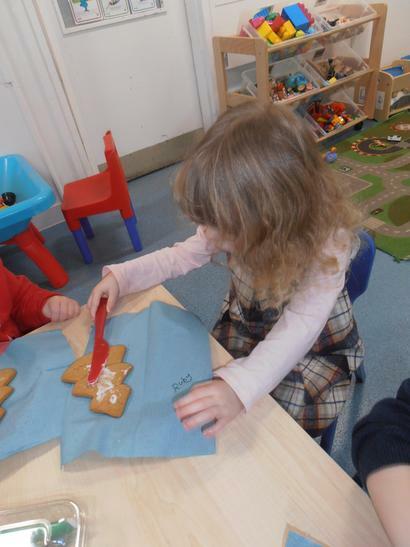 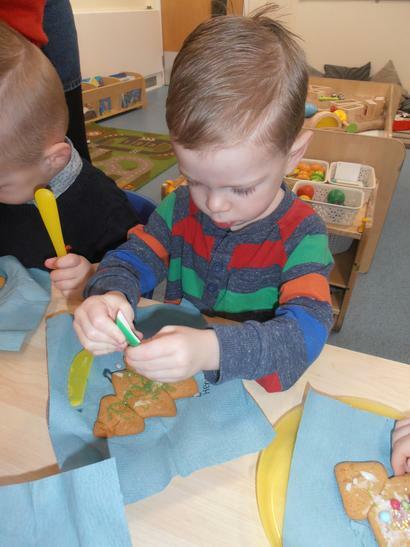 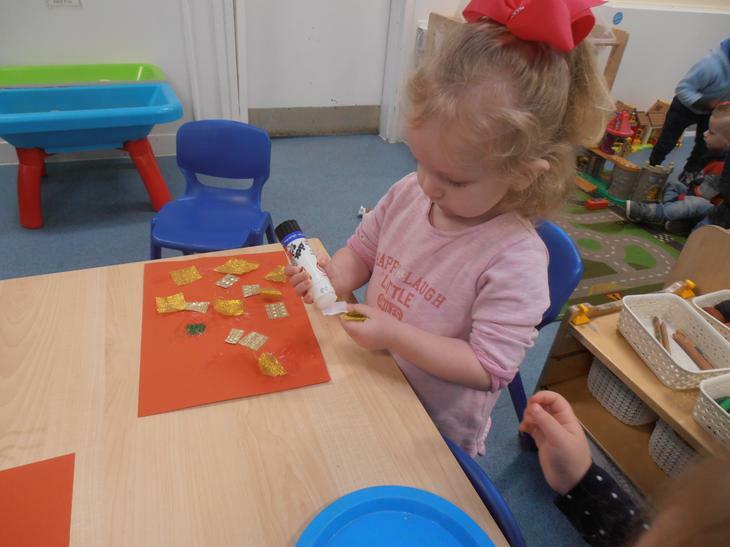 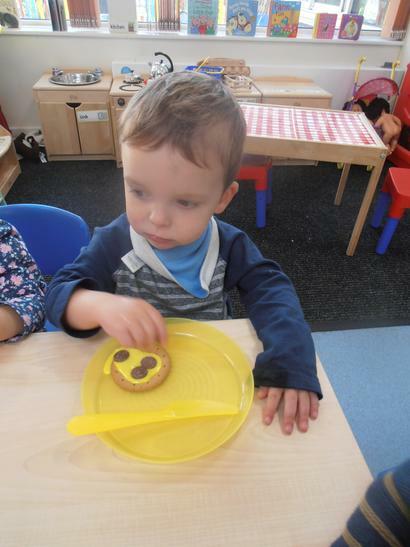 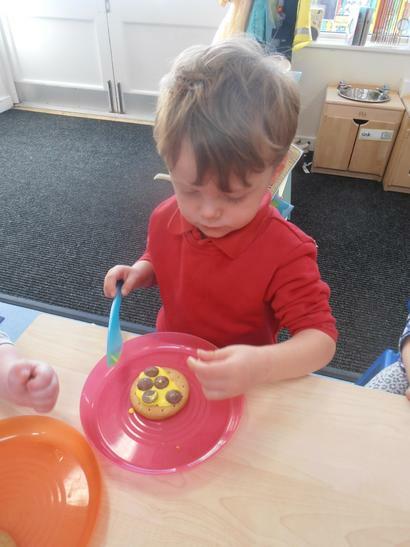 Golden time - decorating biscuits and developing our fine motor skills! 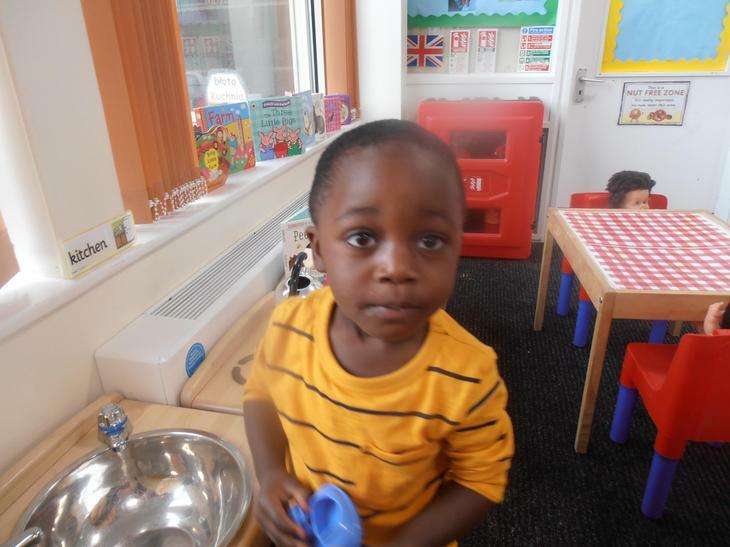 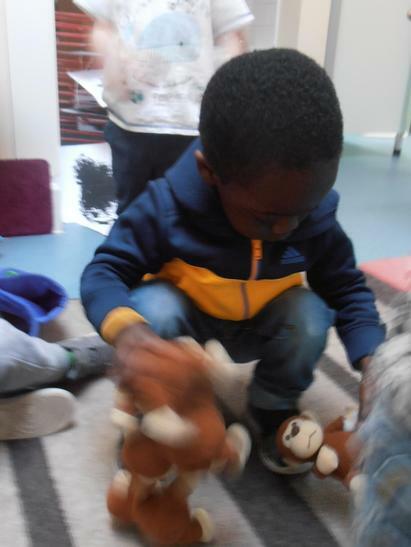 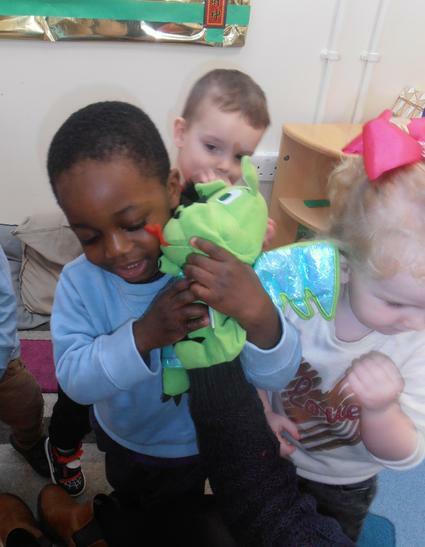 First week at Pre-school - settling in and making new friends!